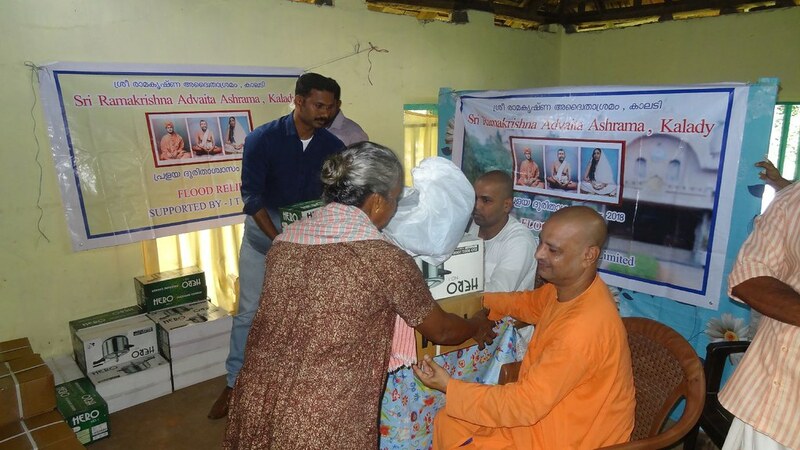 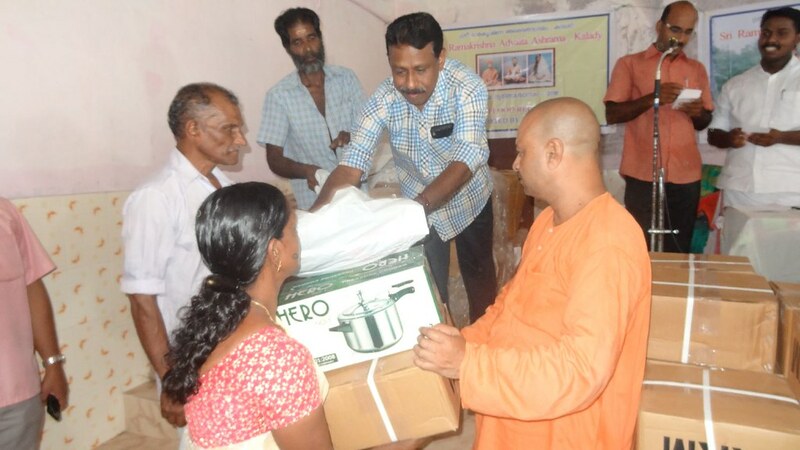 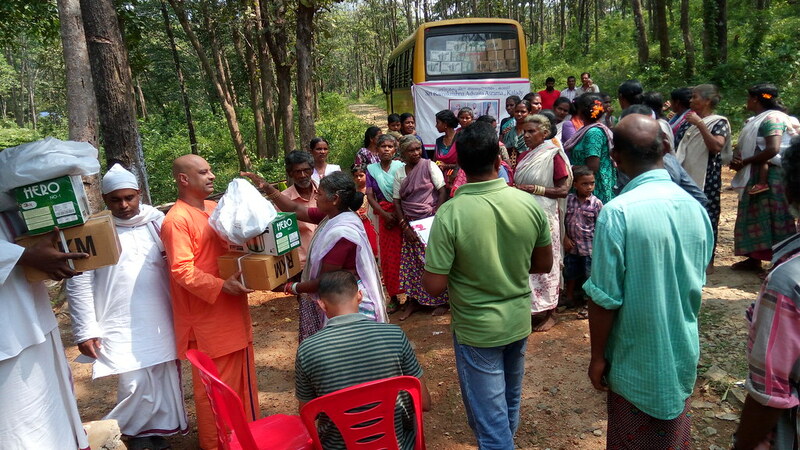 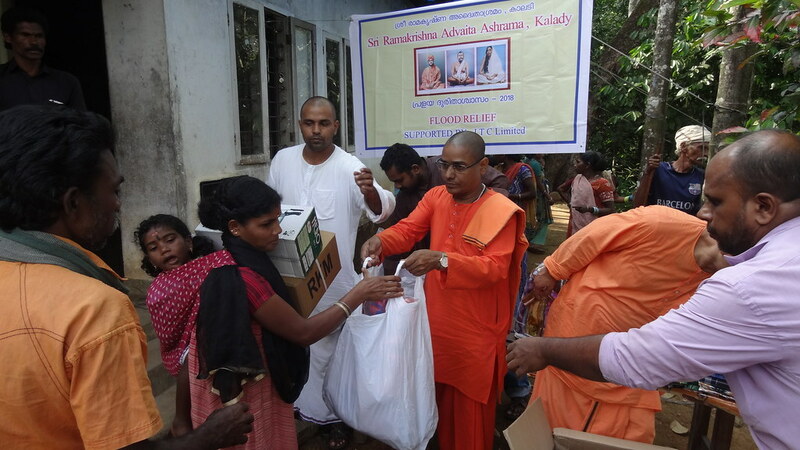 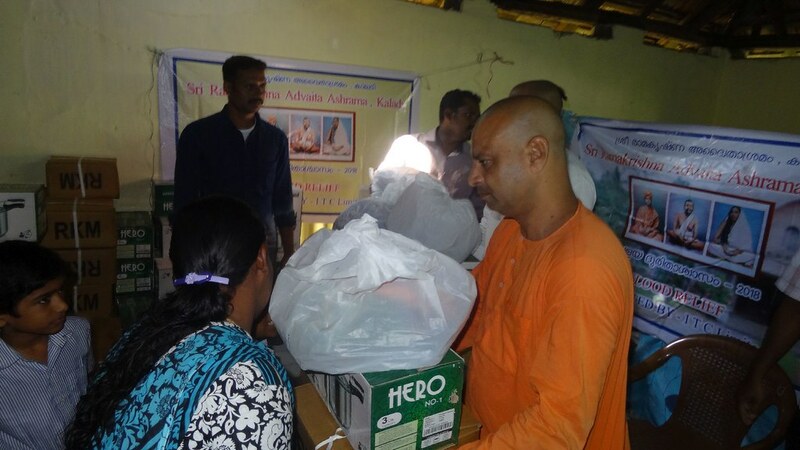 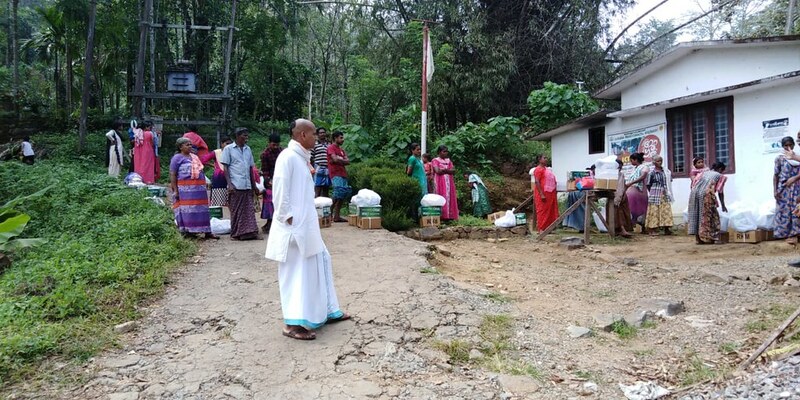 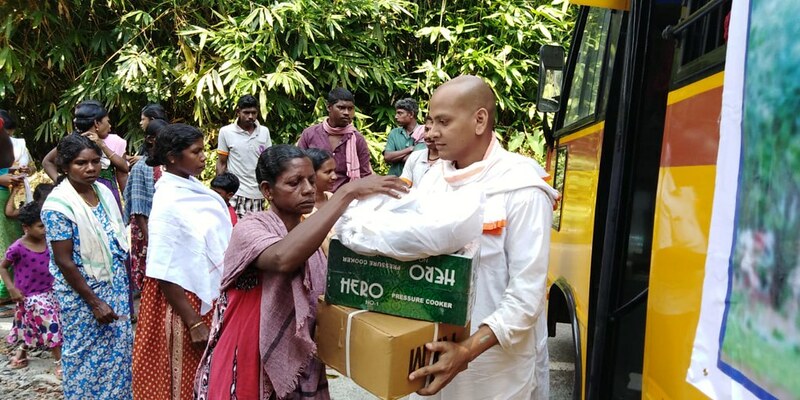 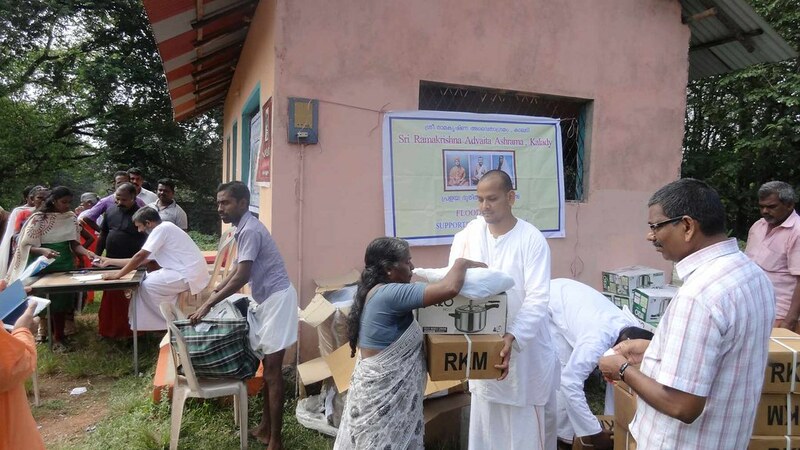 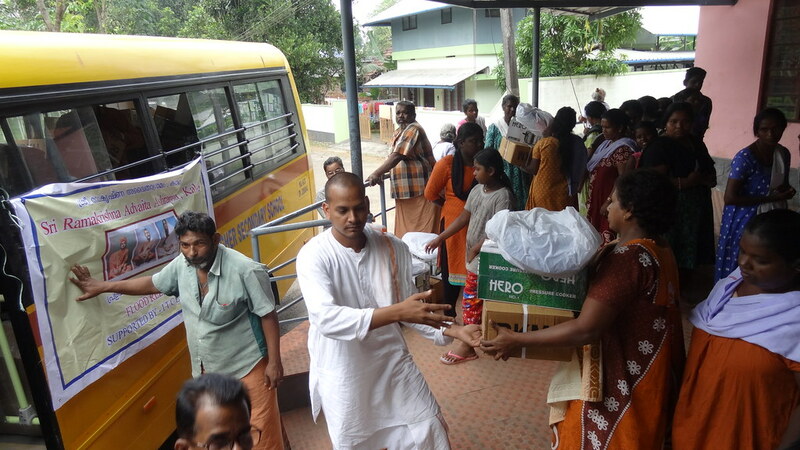 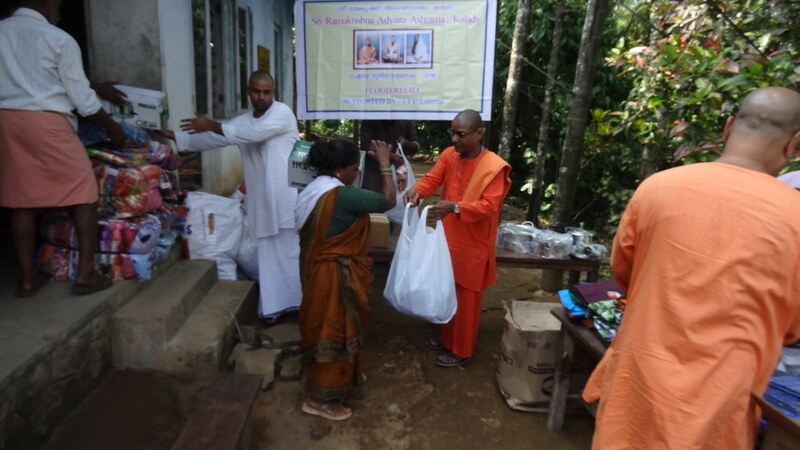 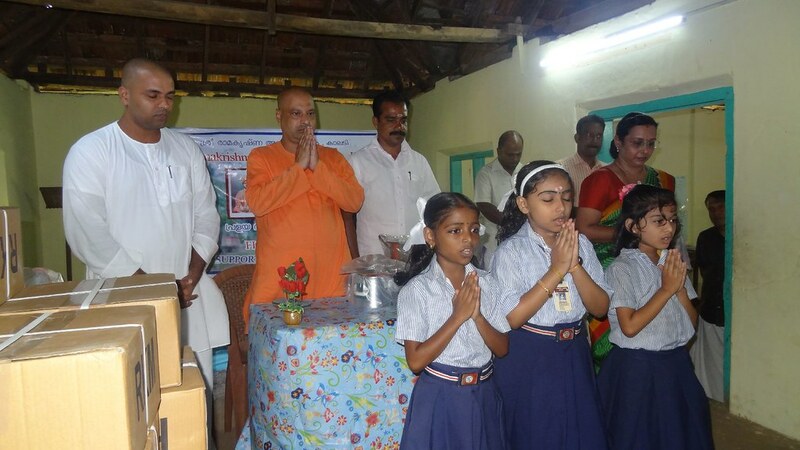 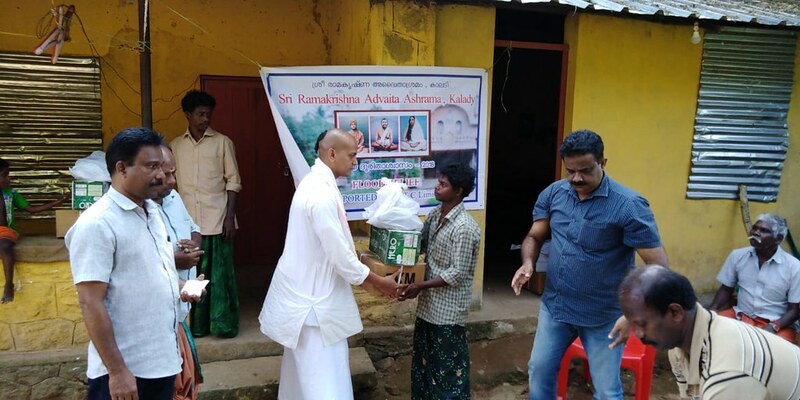 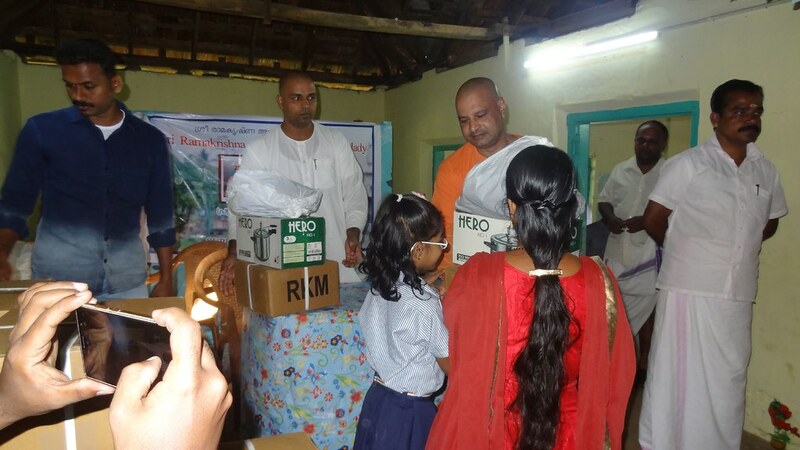 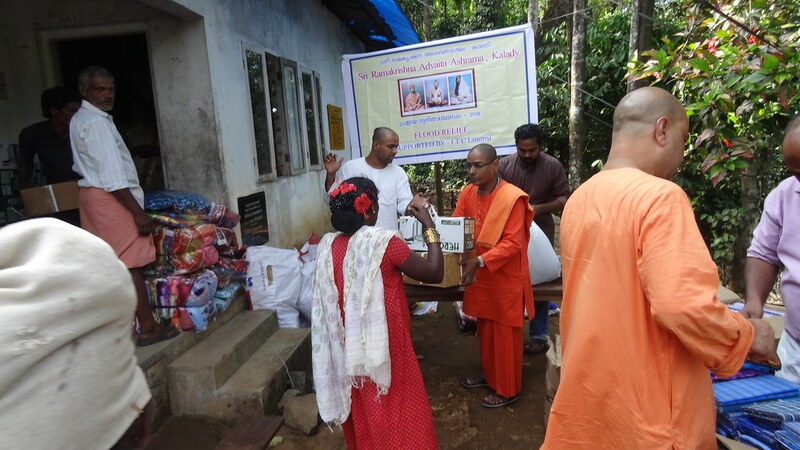 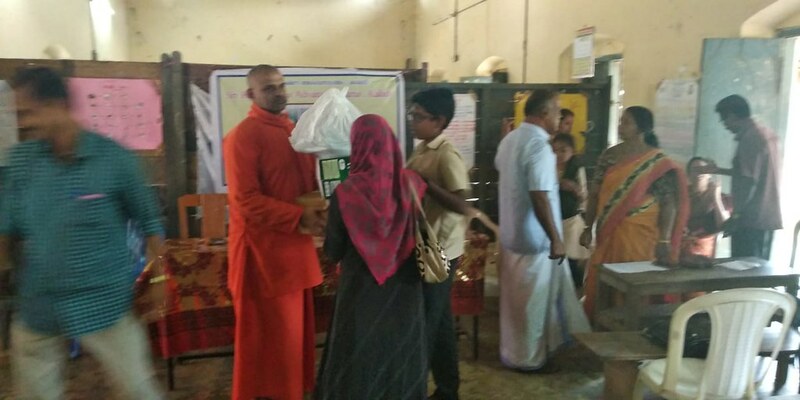 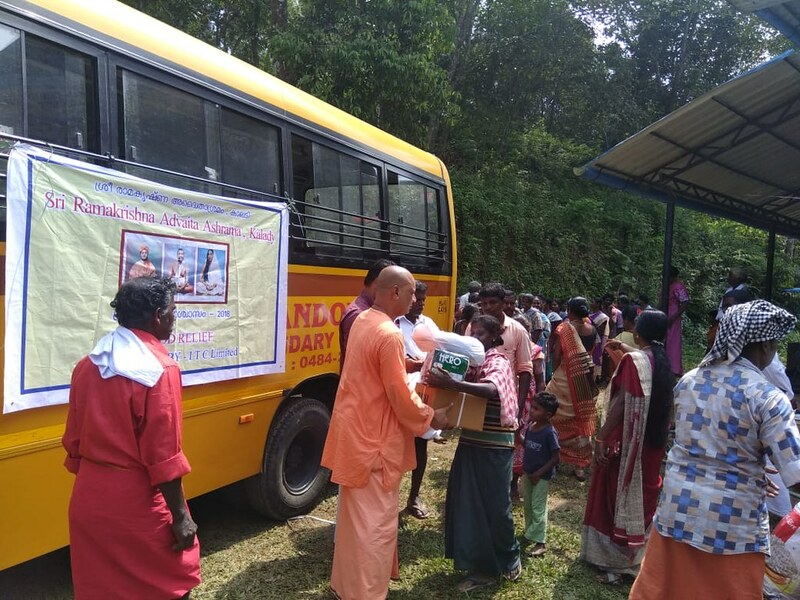 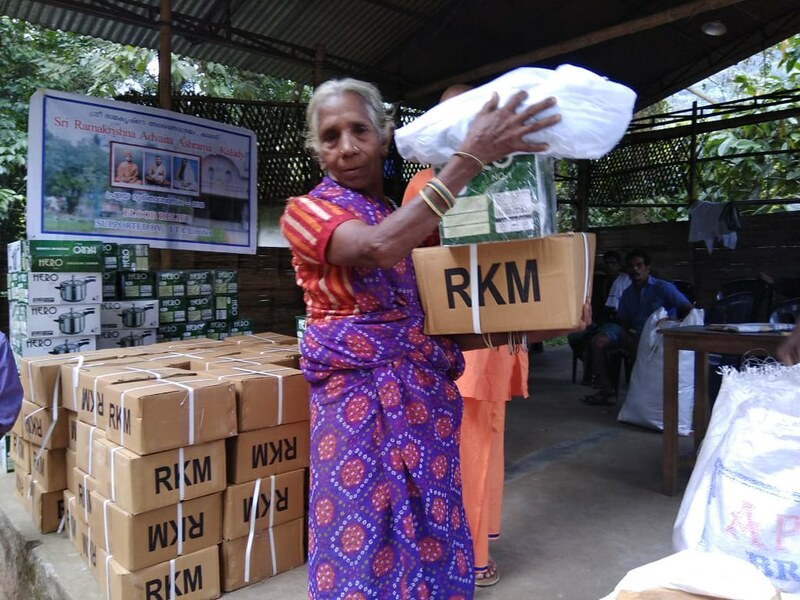 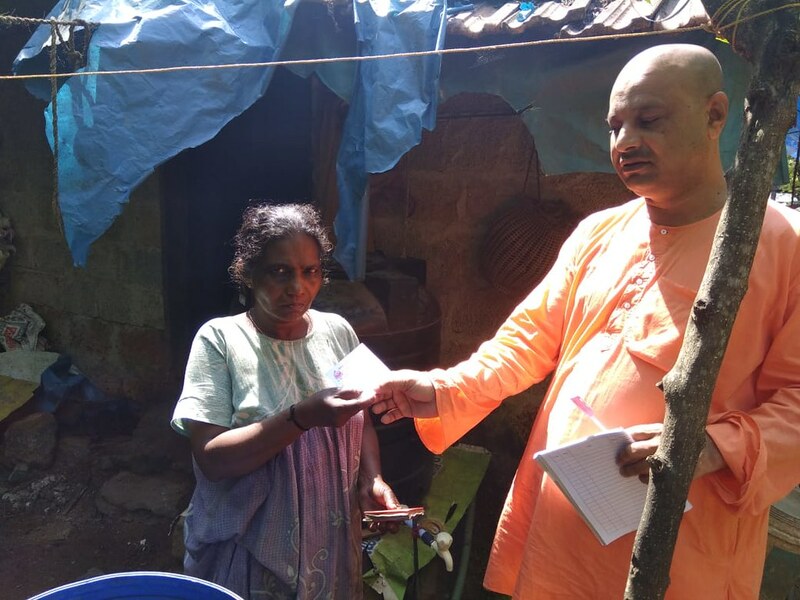 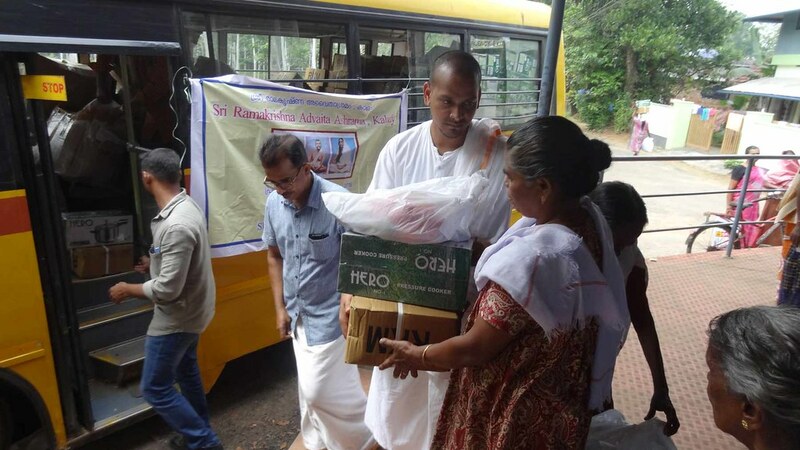 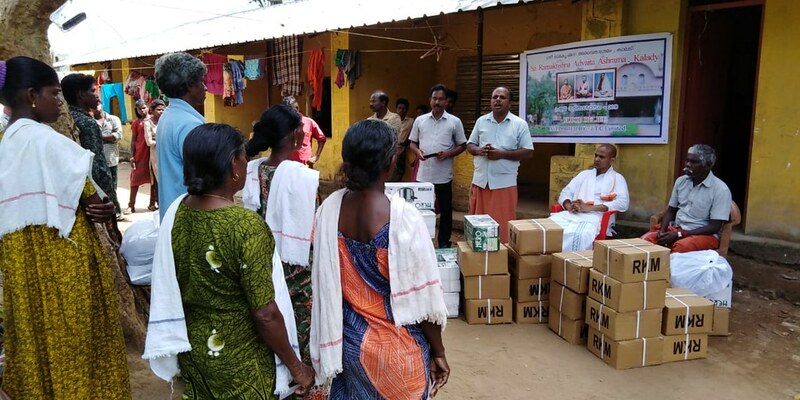 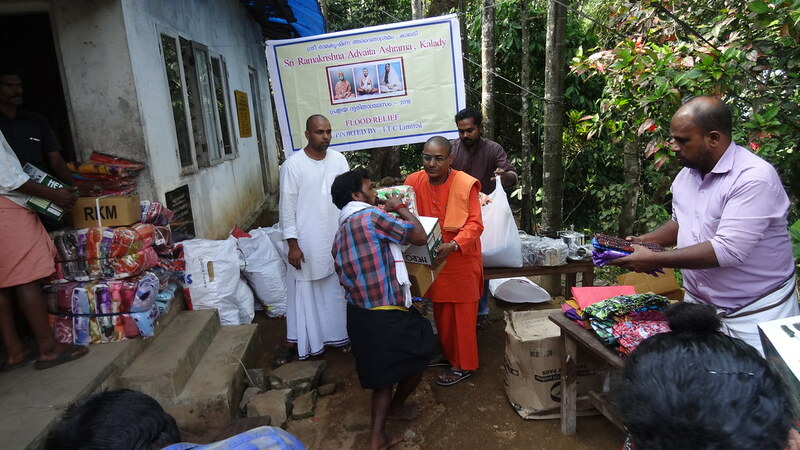 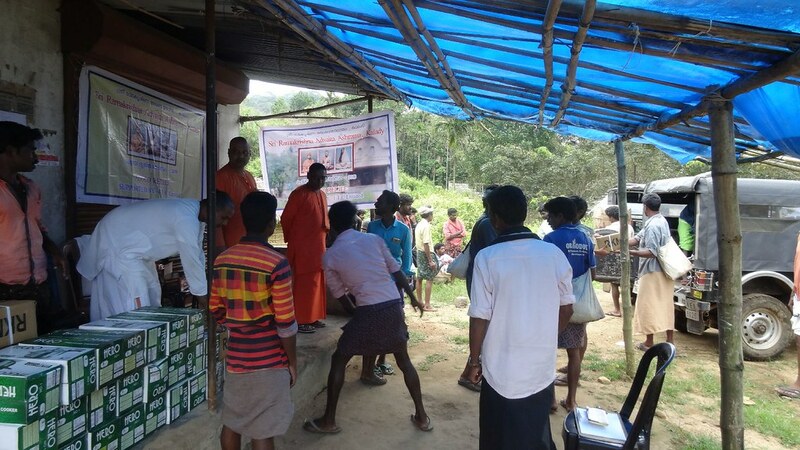 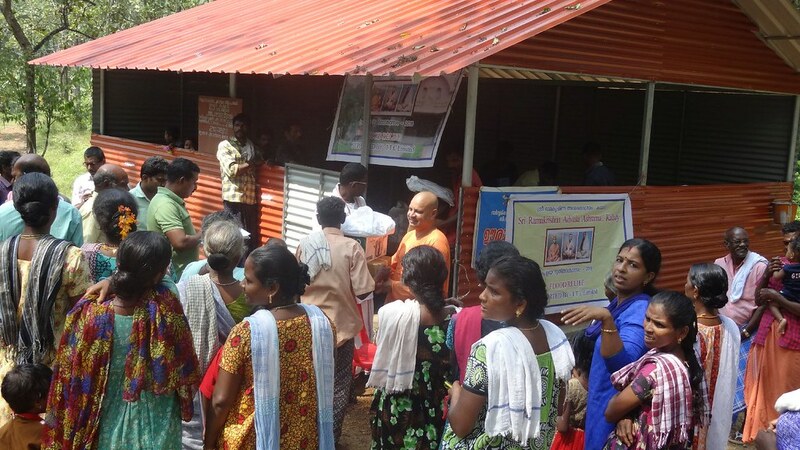 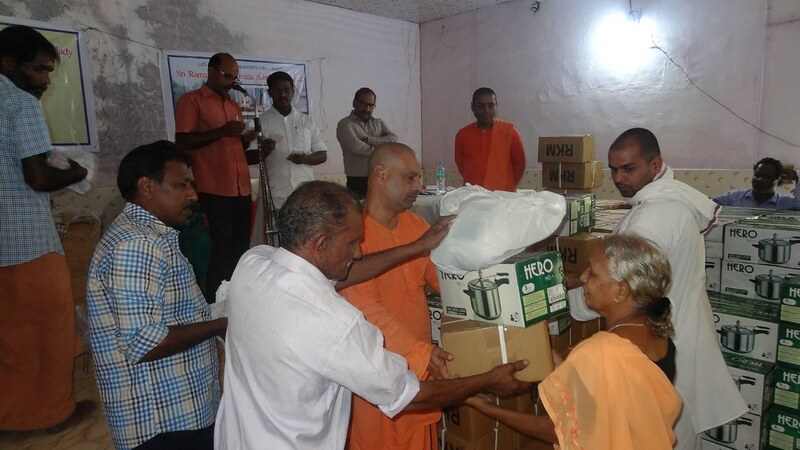 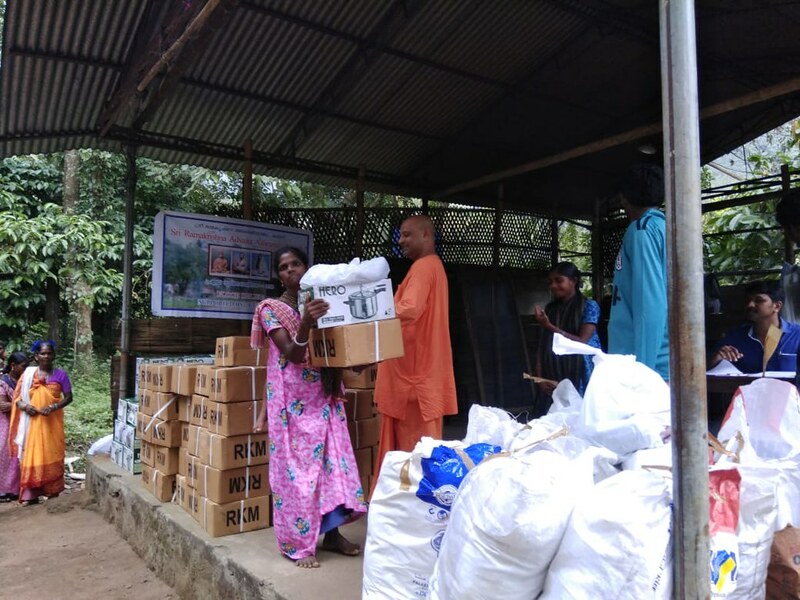 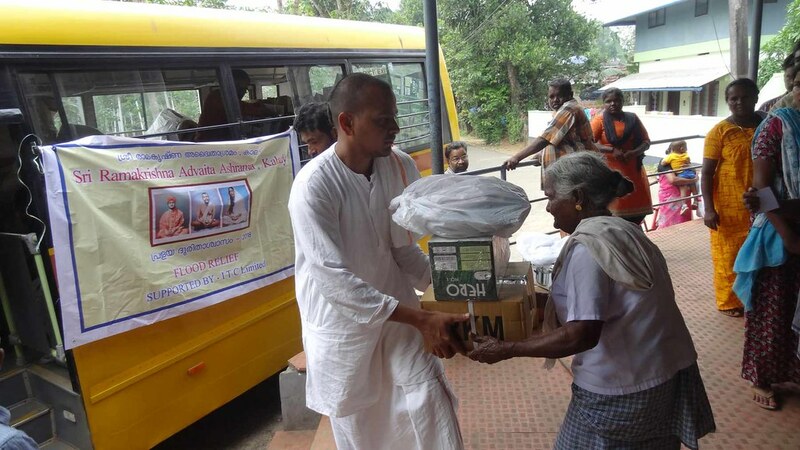 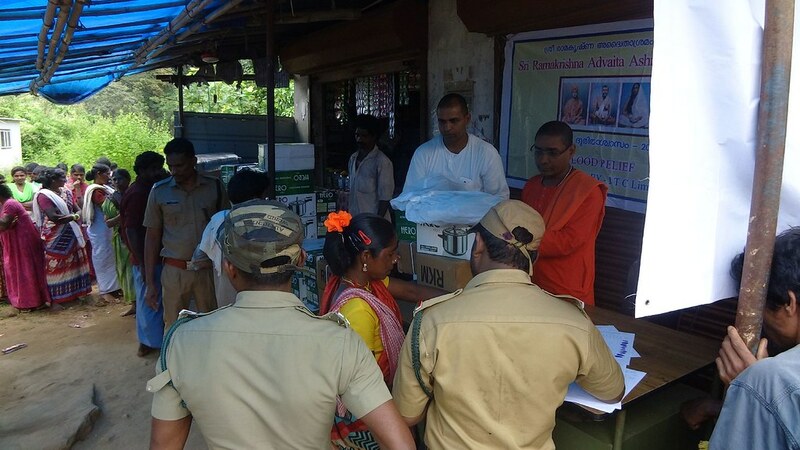 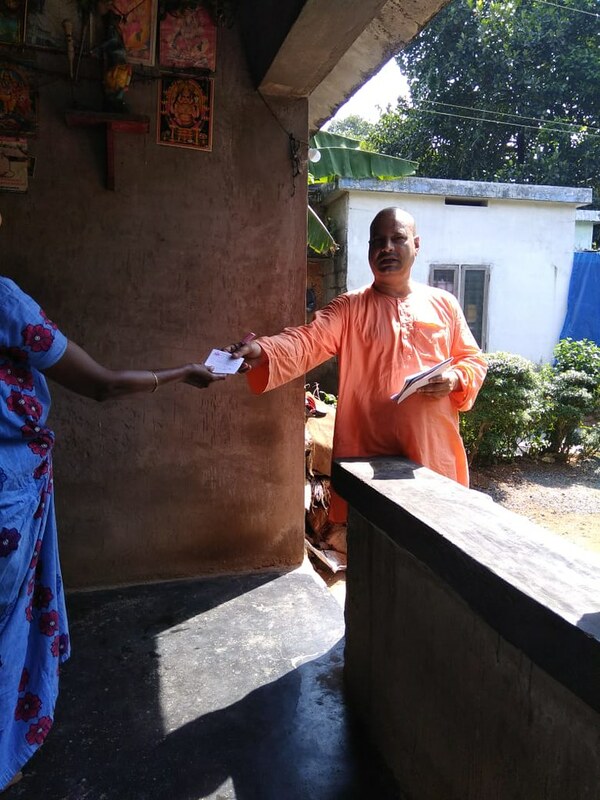 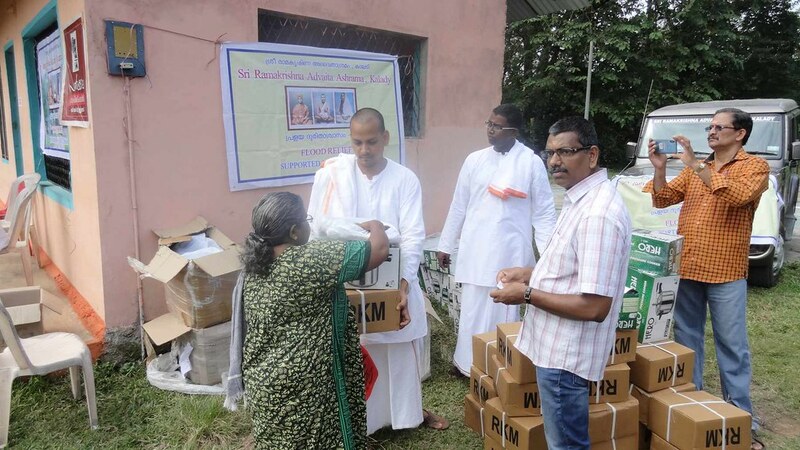 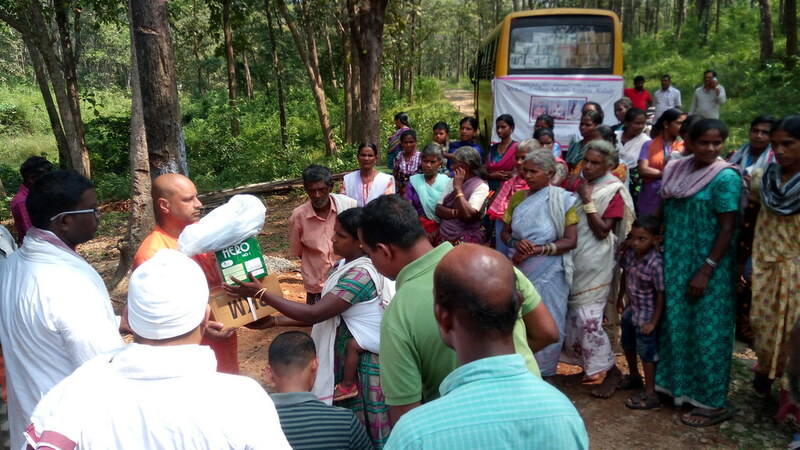 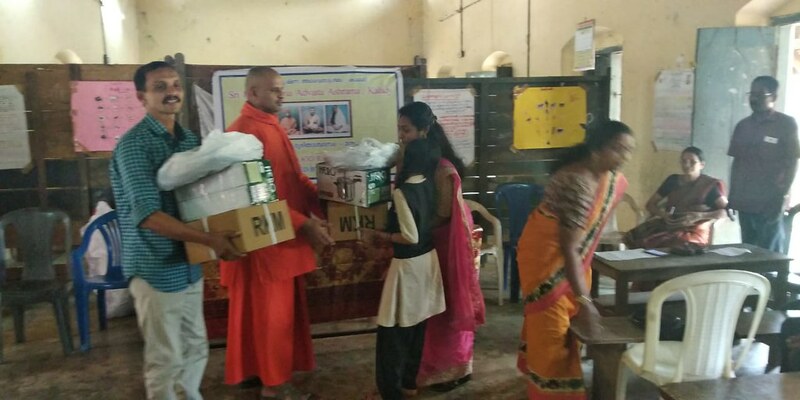 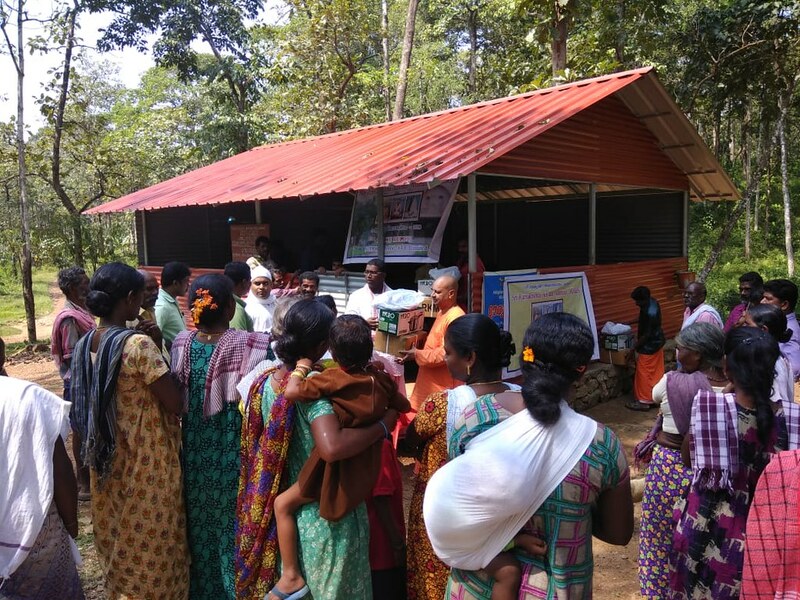 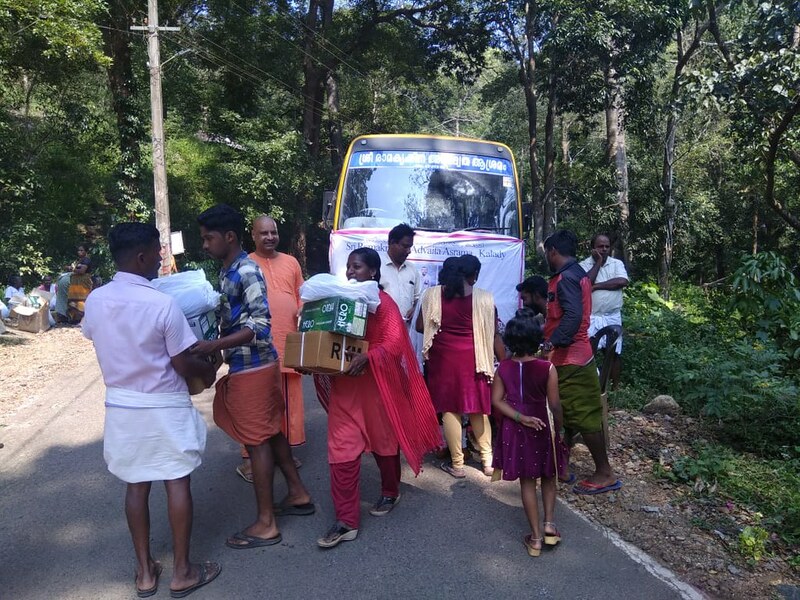 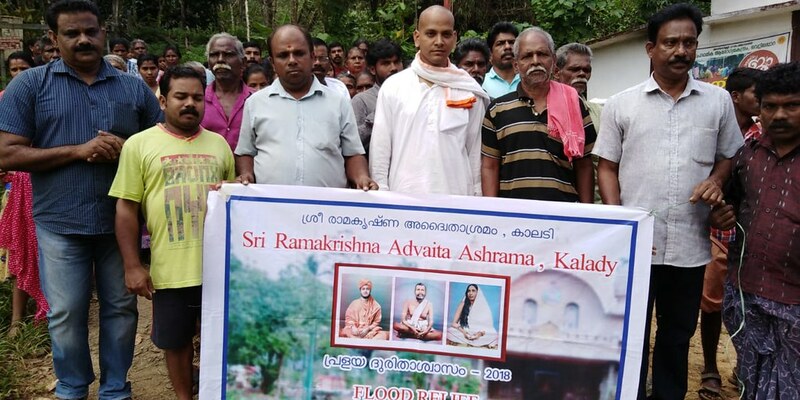 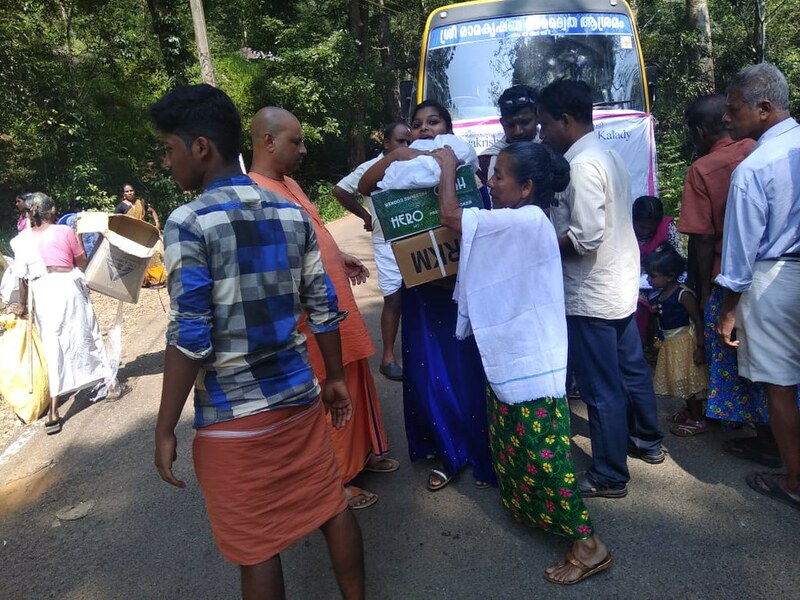 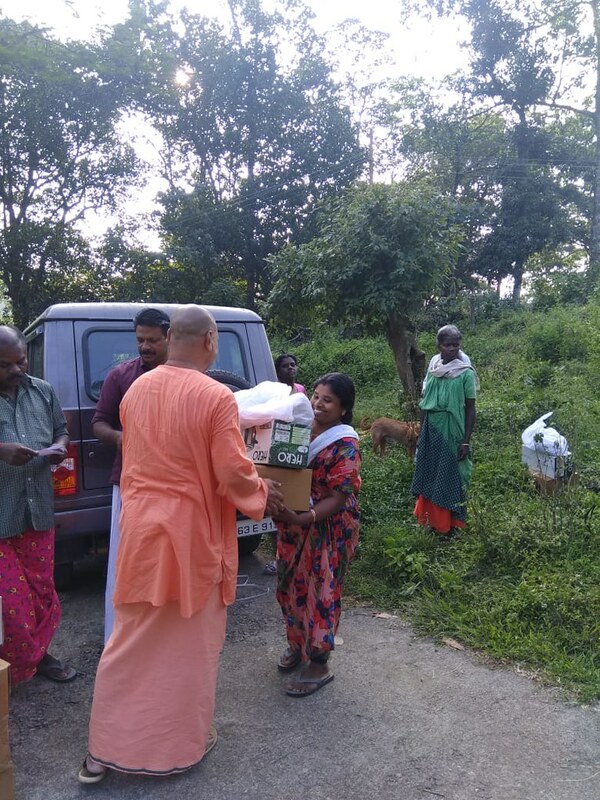 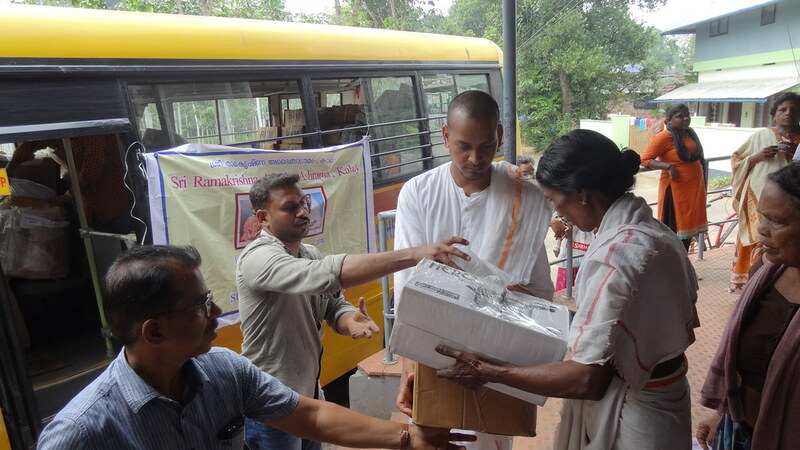 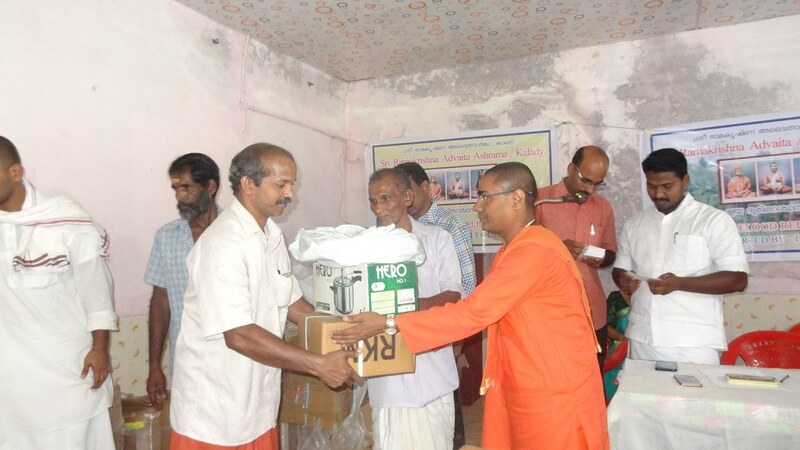 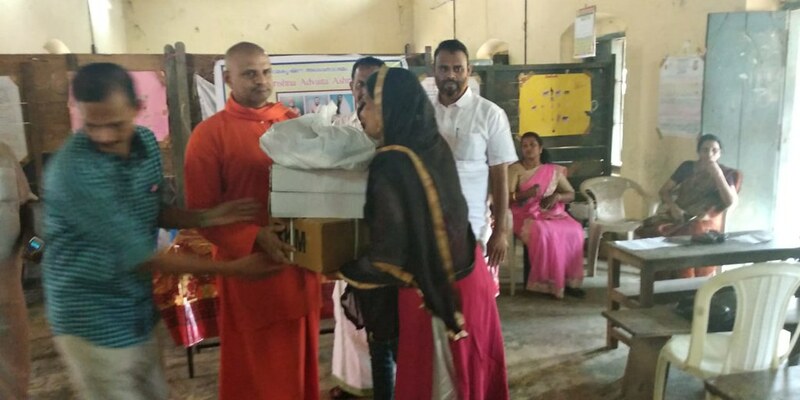 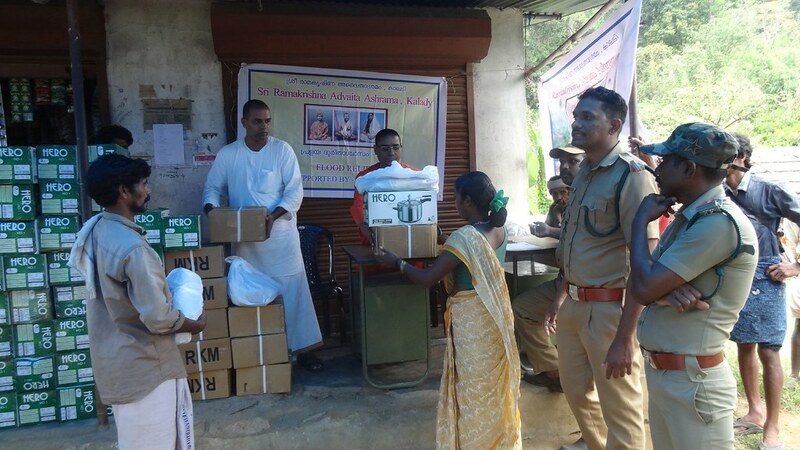 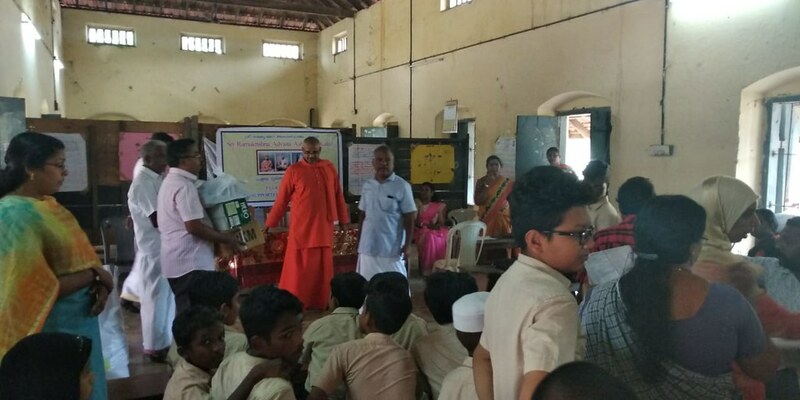 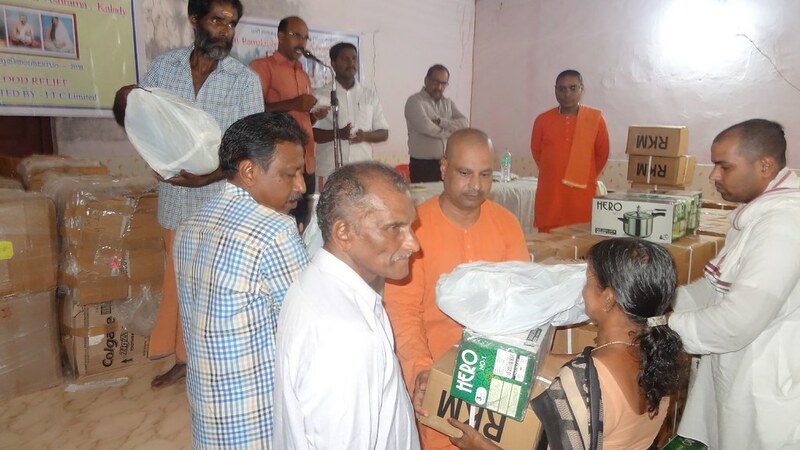 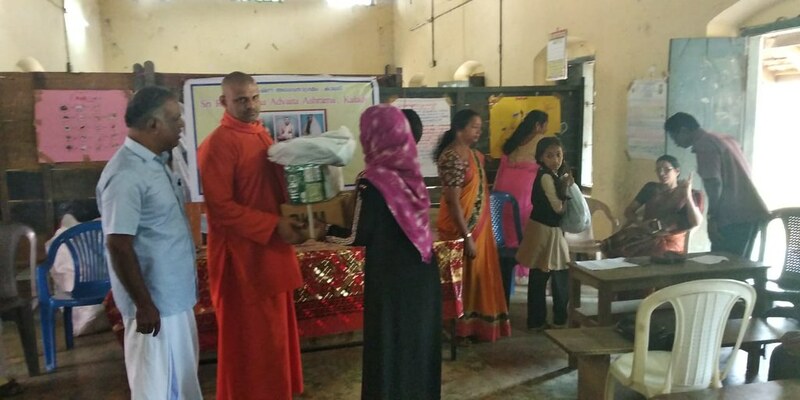 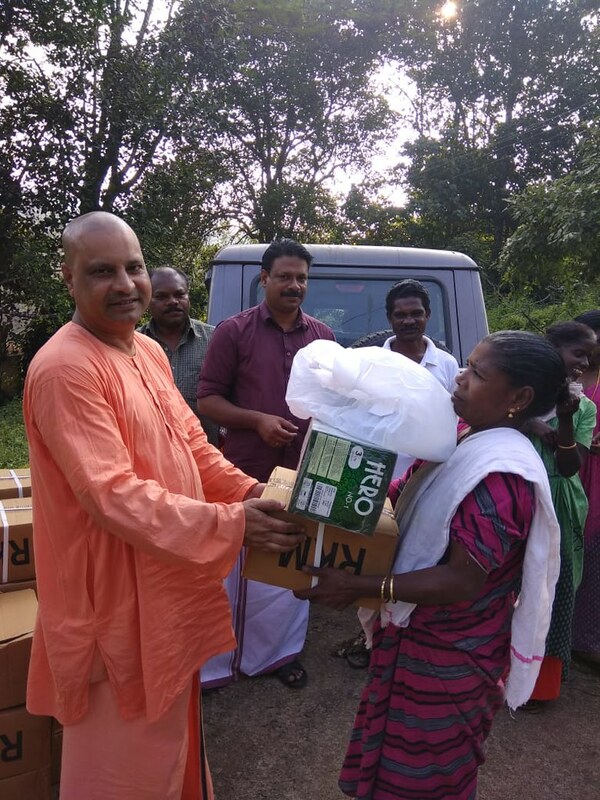 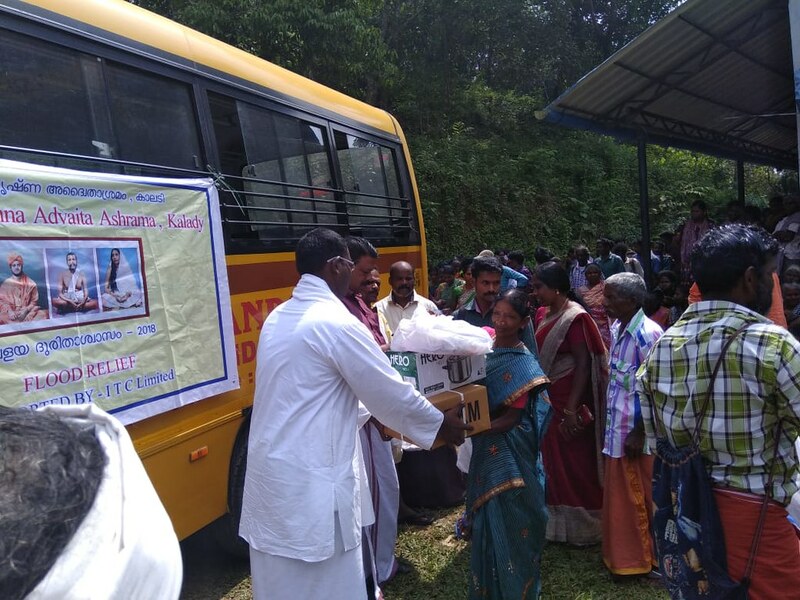 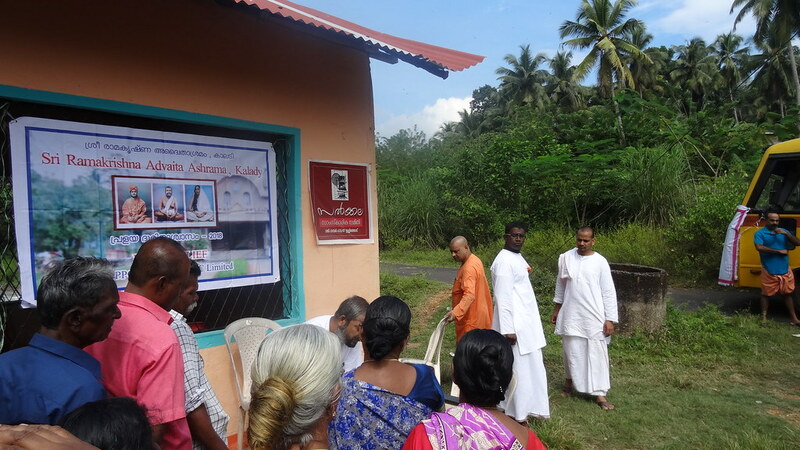 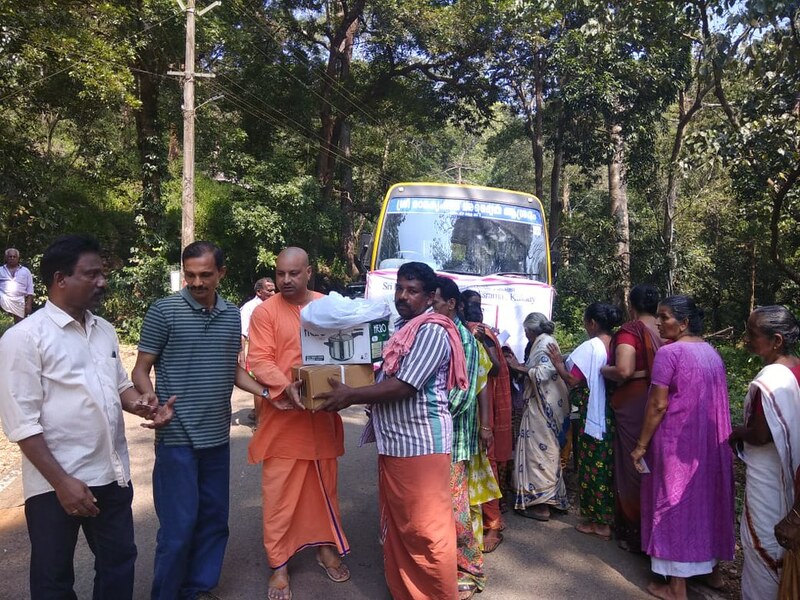 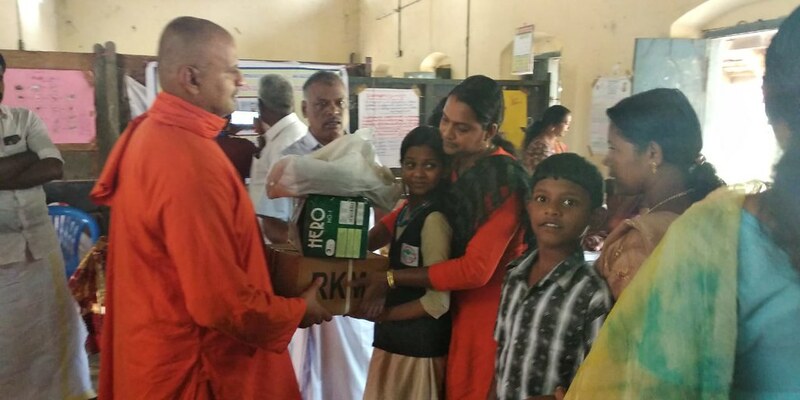 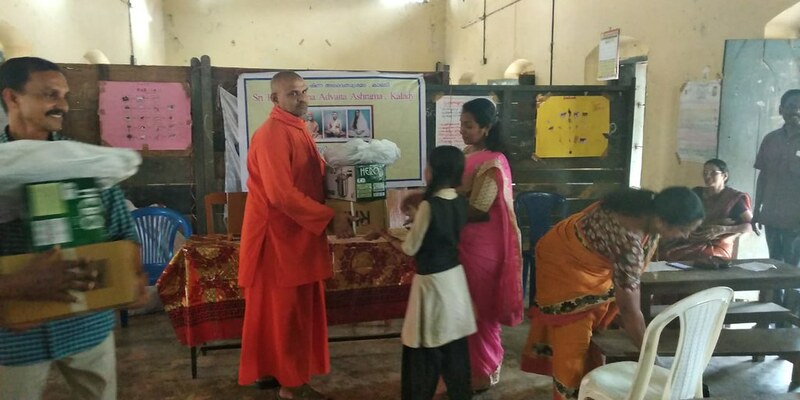 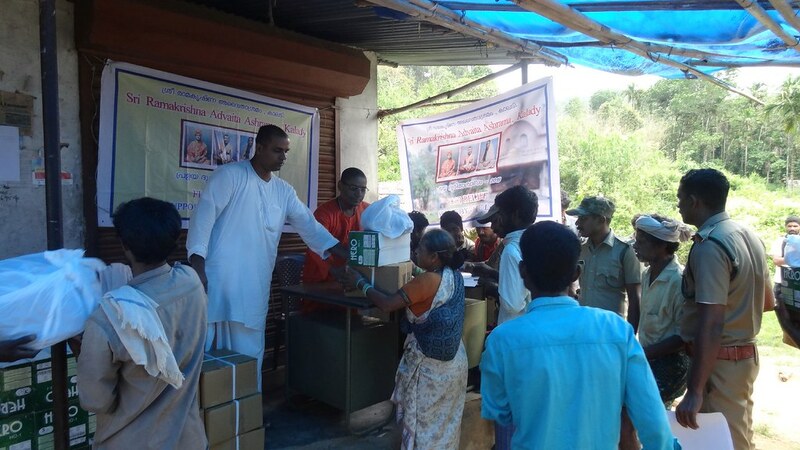 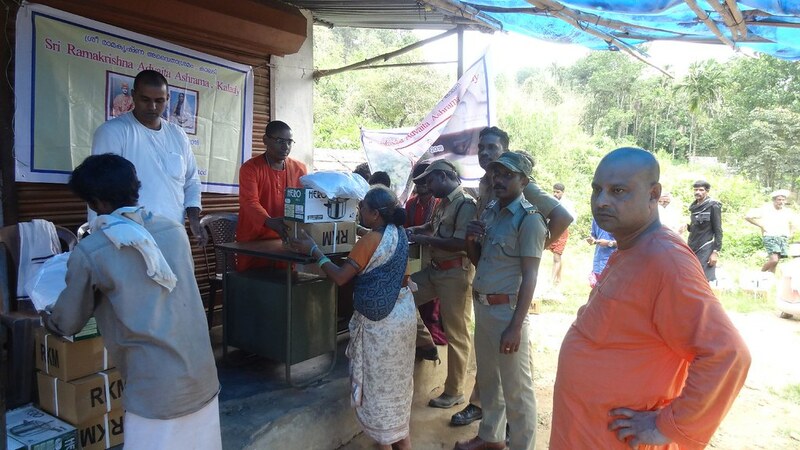 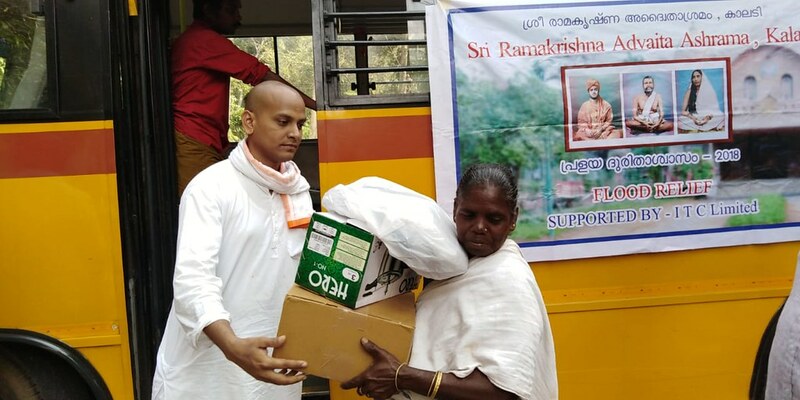 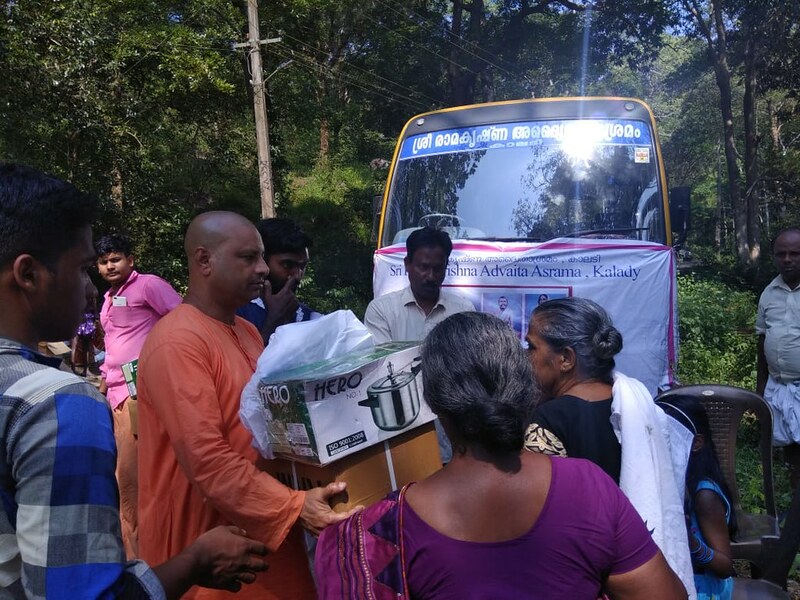 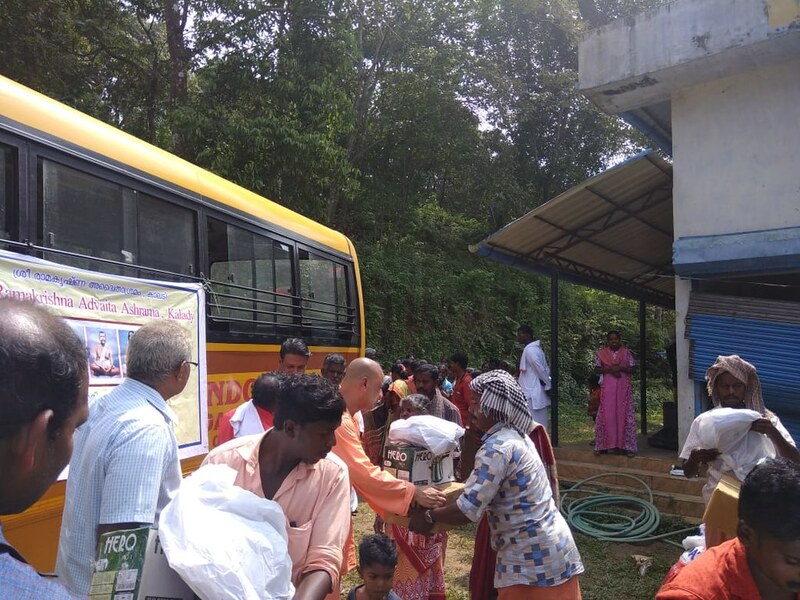 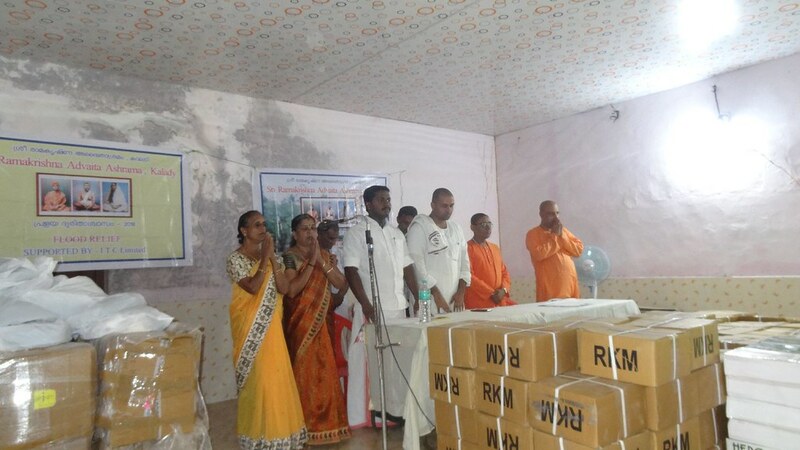 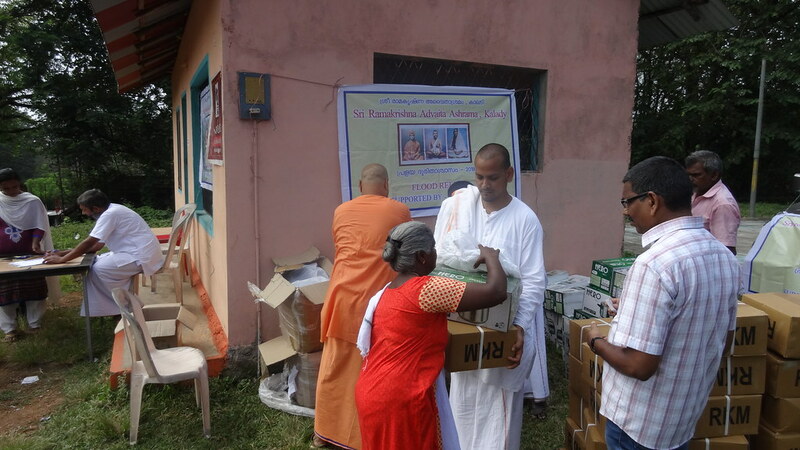 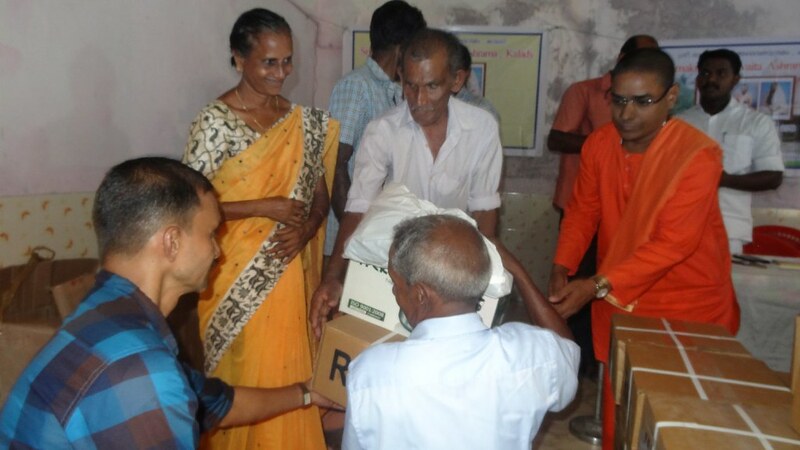 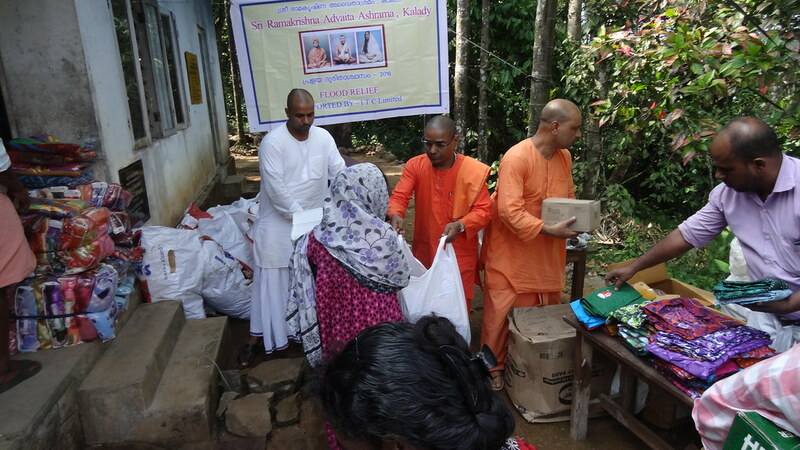 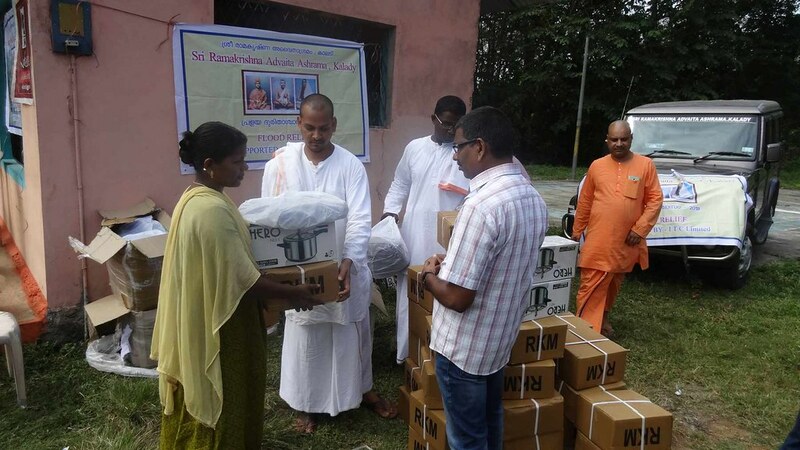 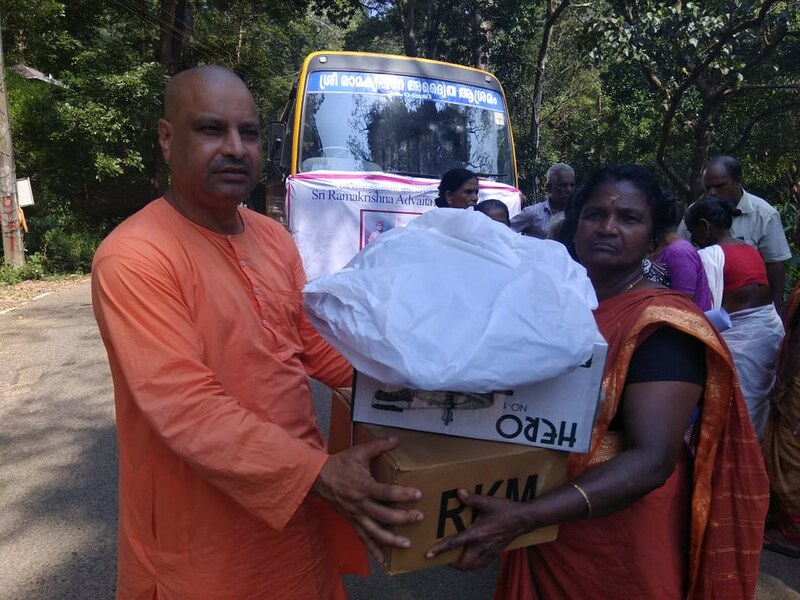 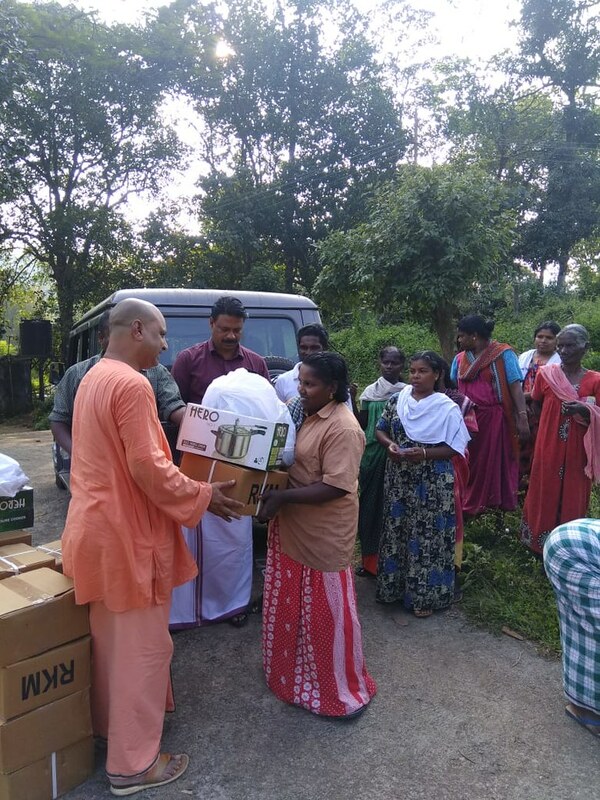 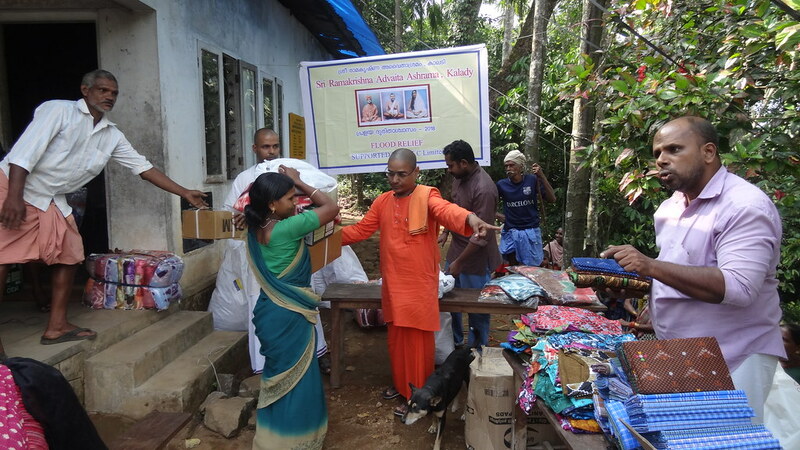 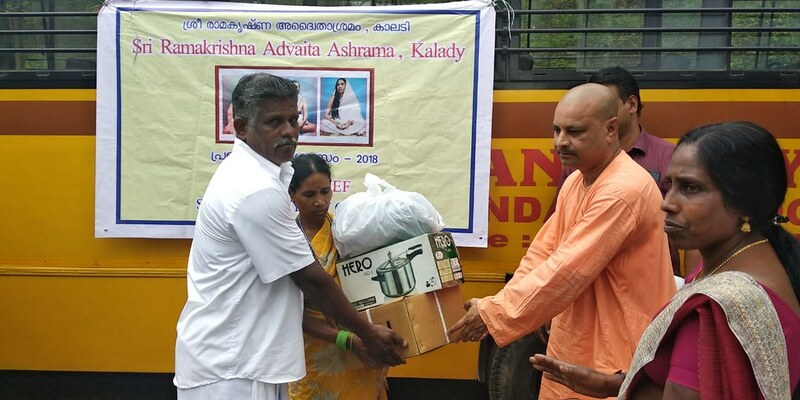 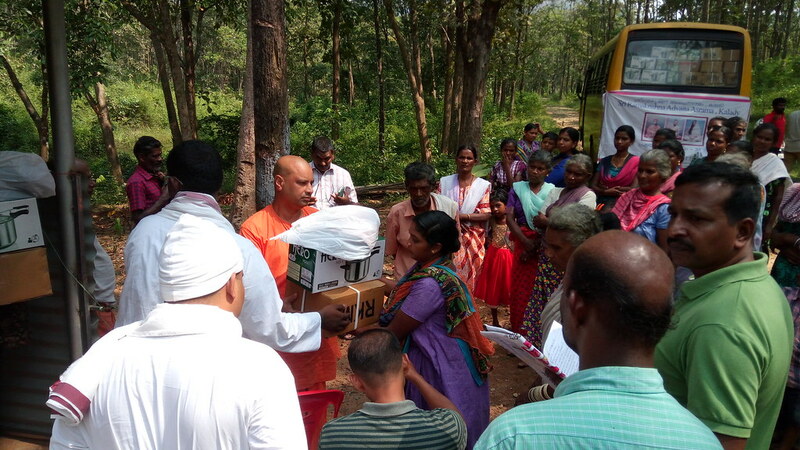 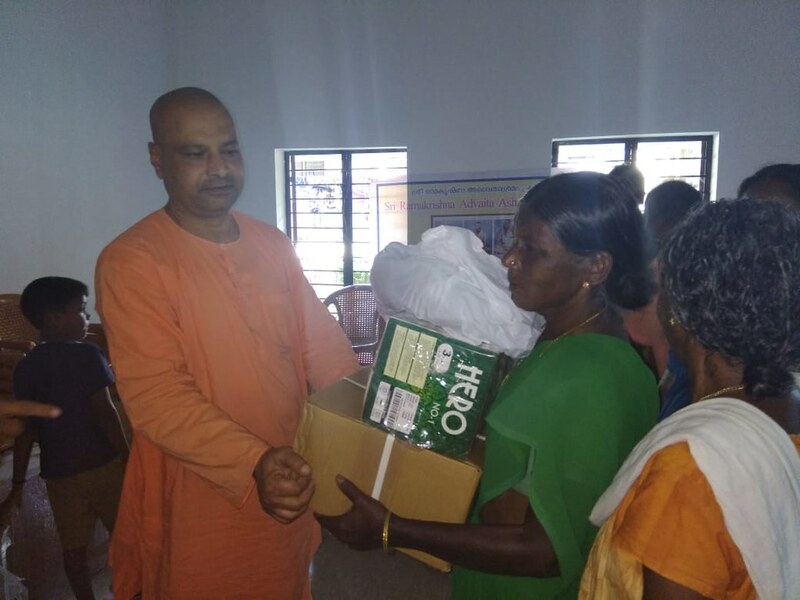 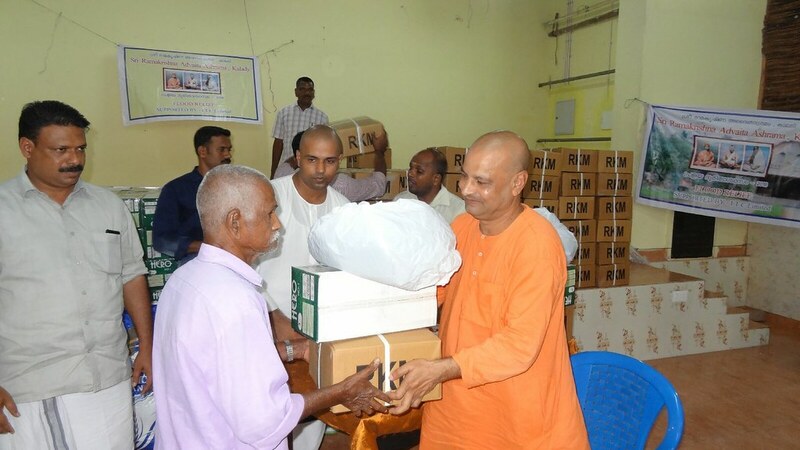 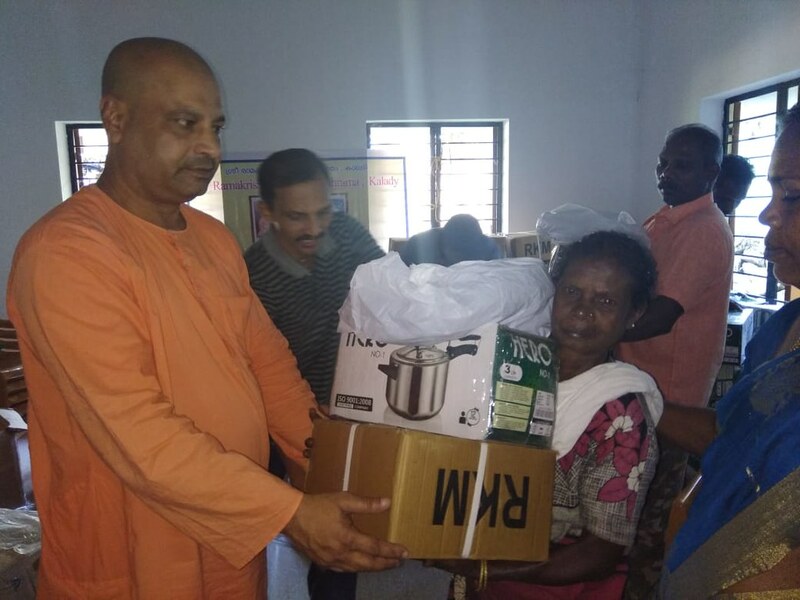 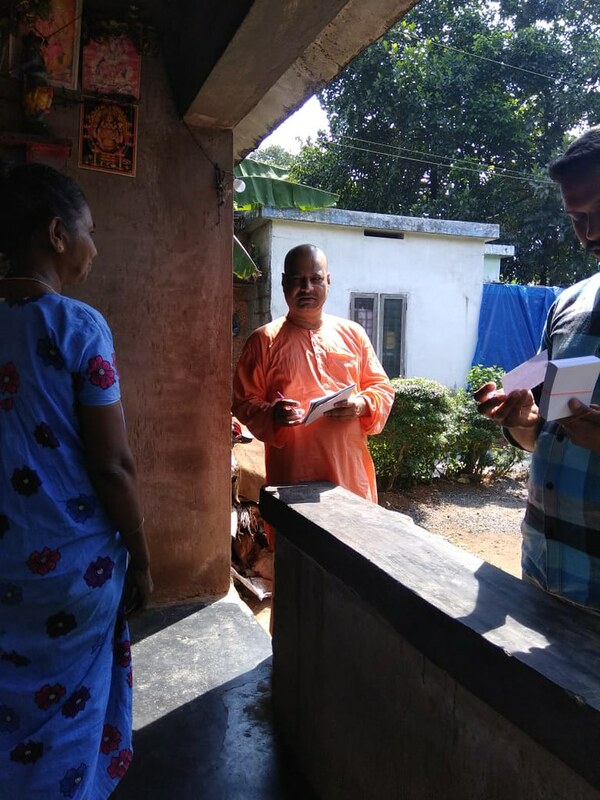 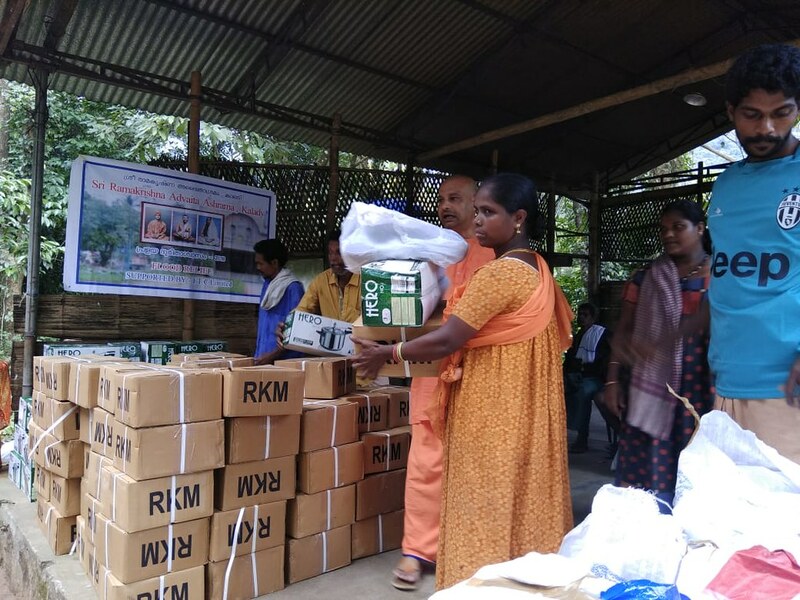 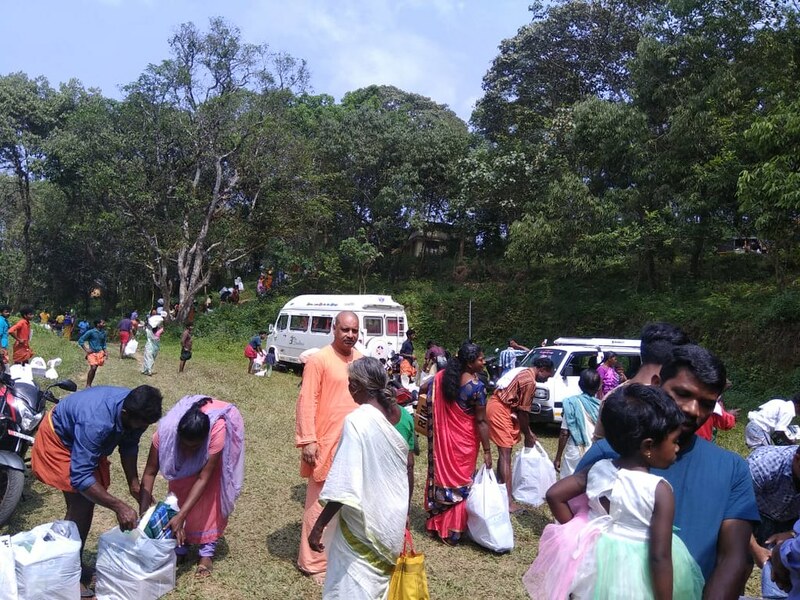 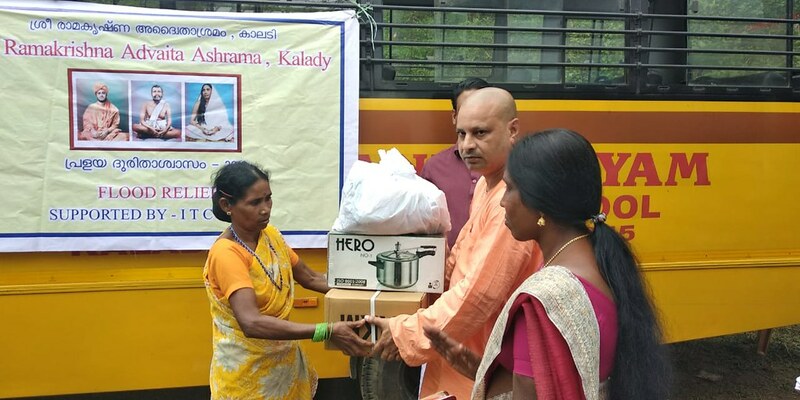 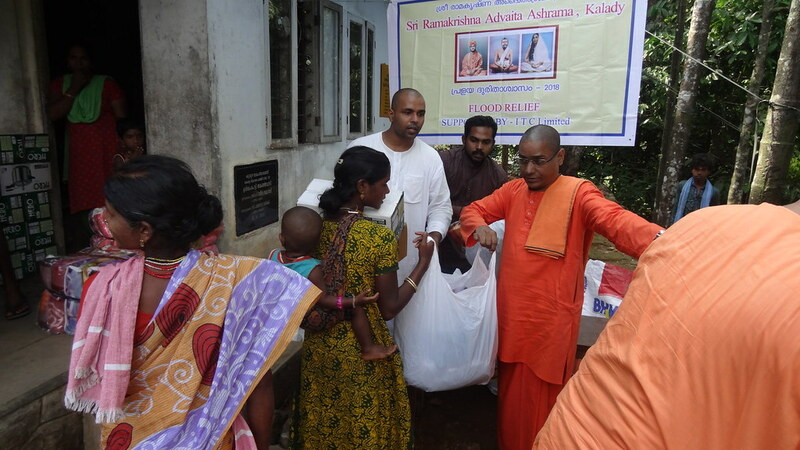 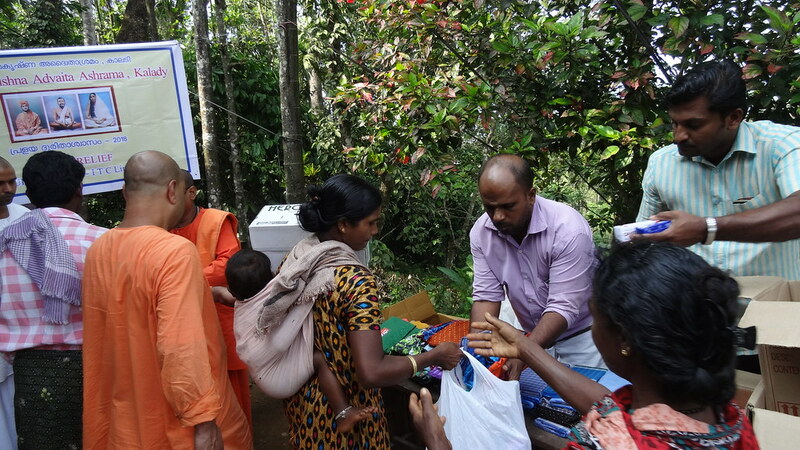 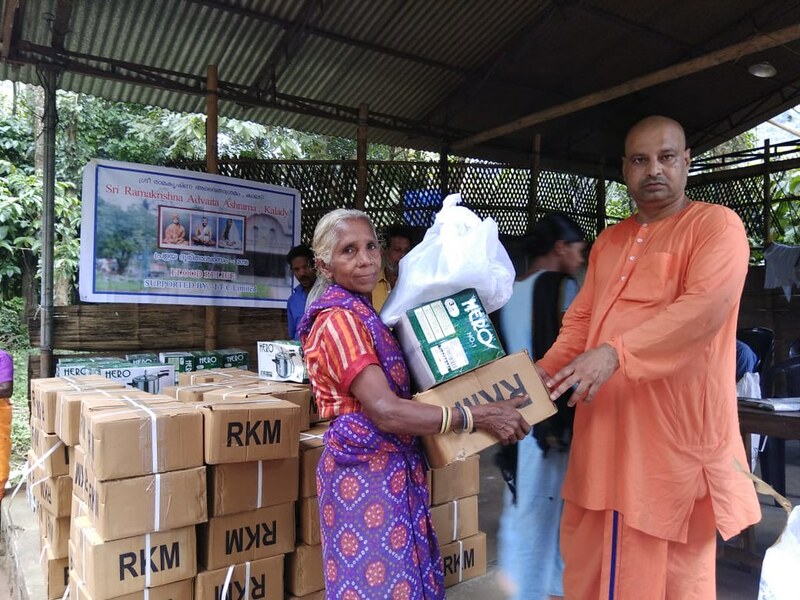 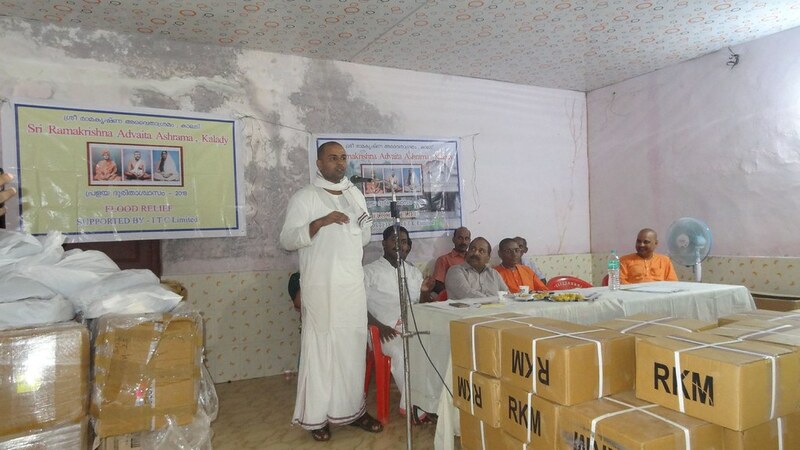 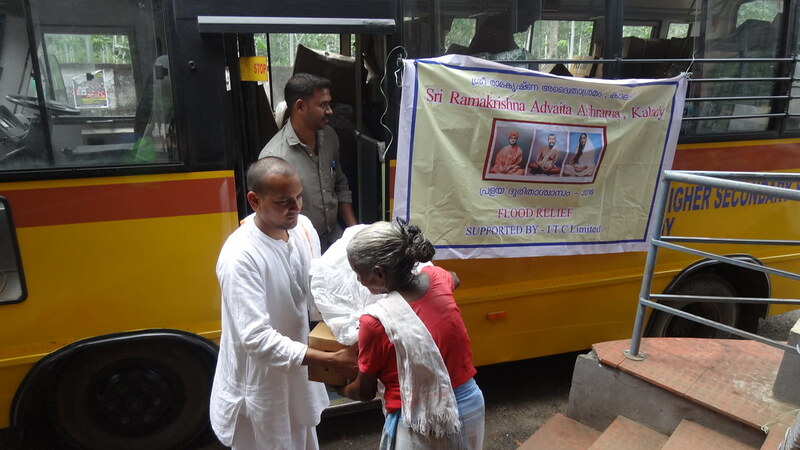 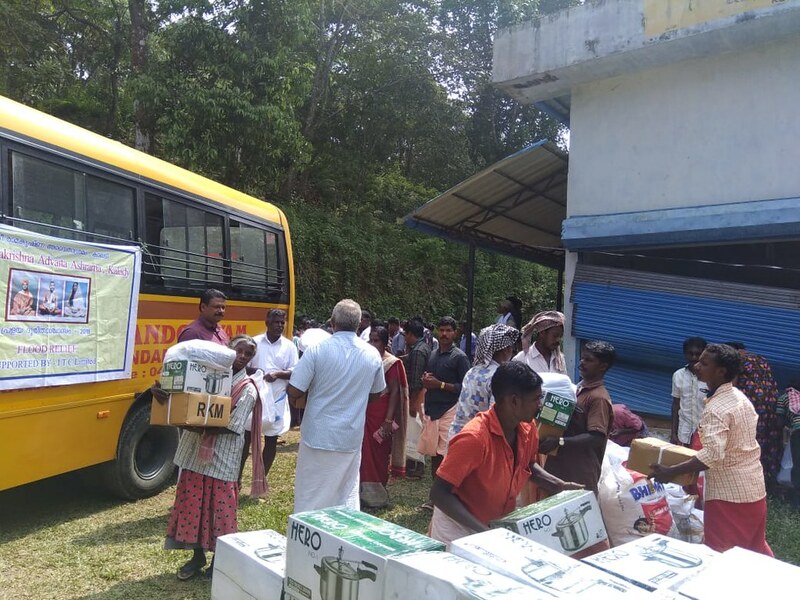 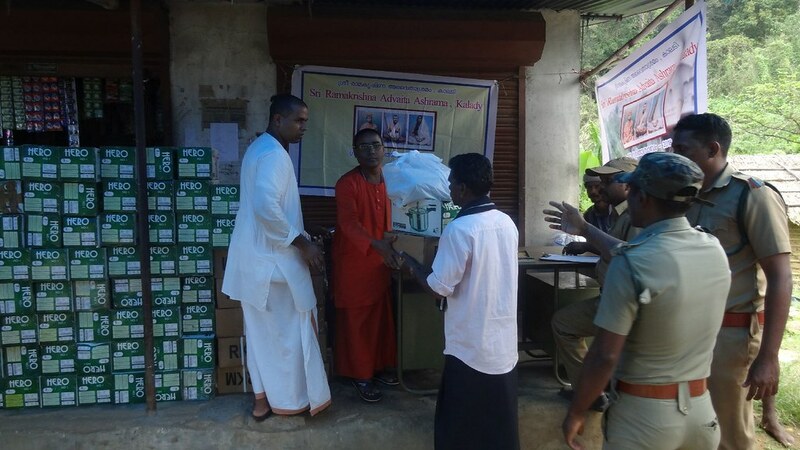 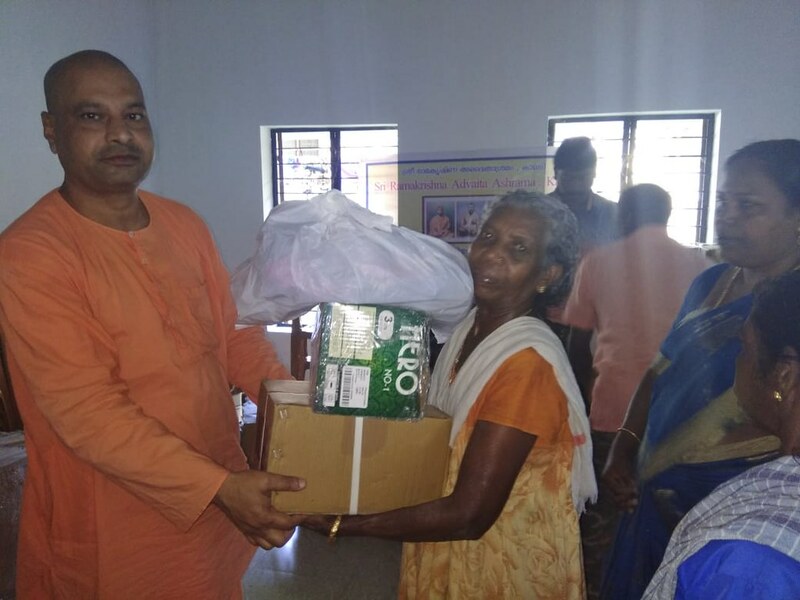 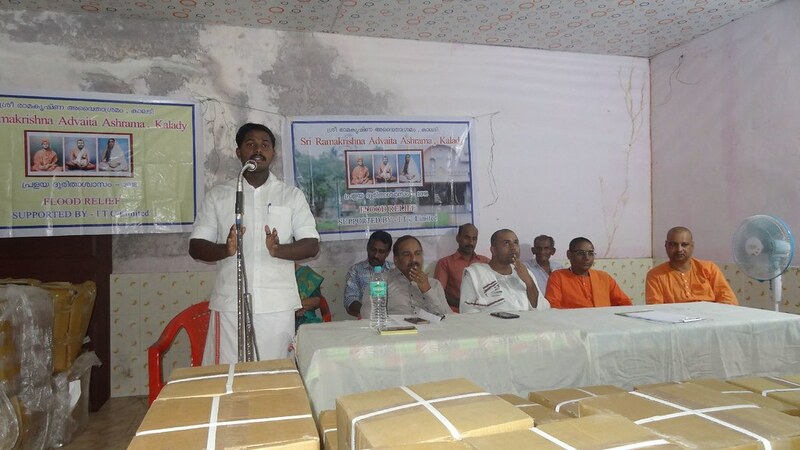 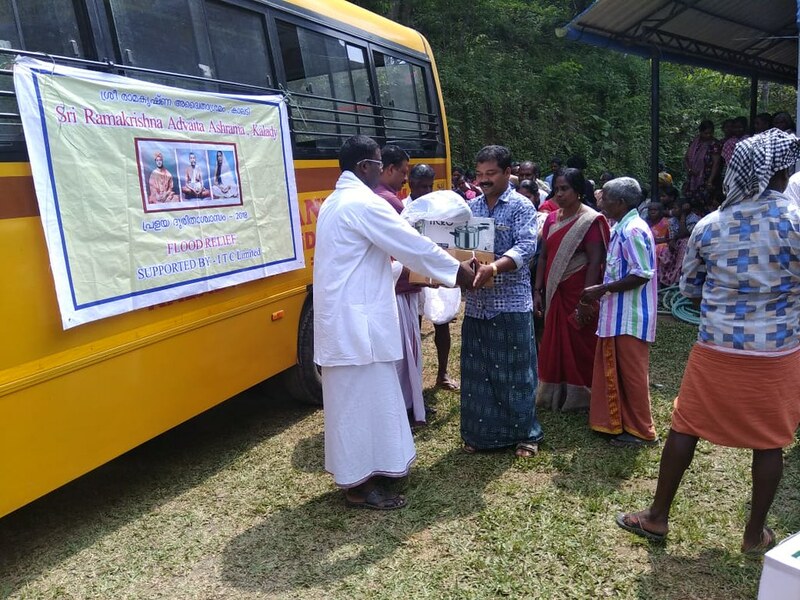 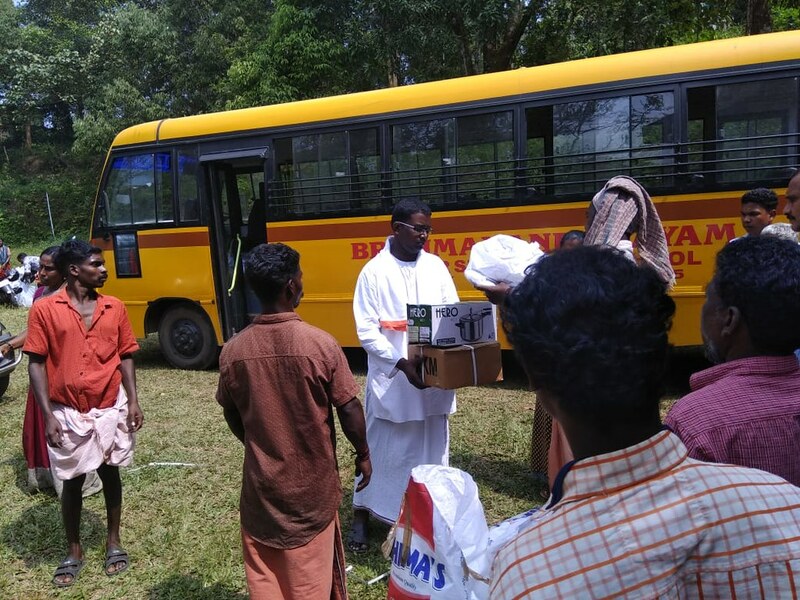 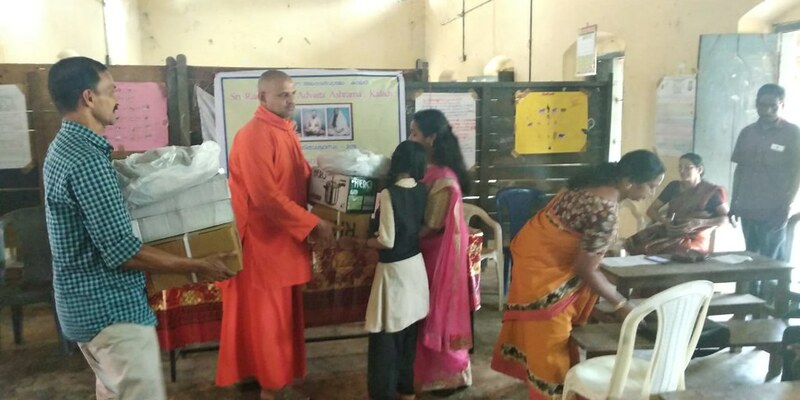 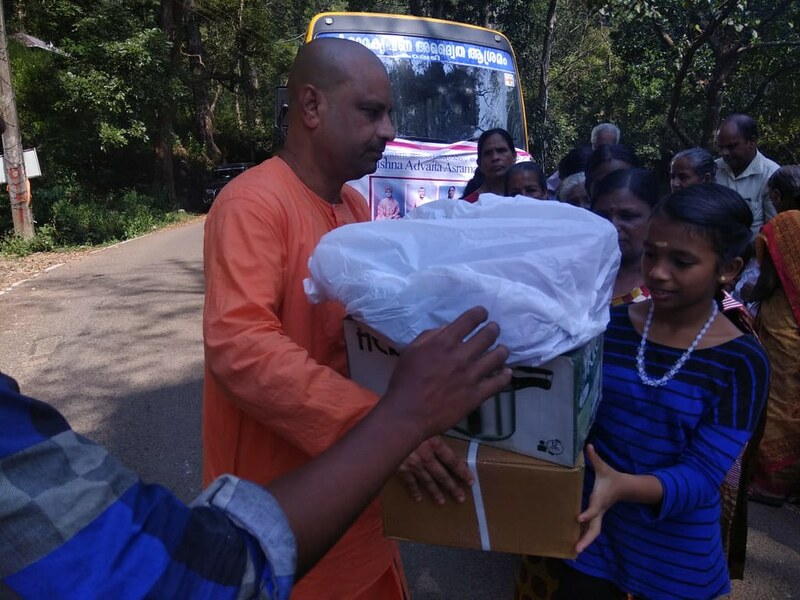 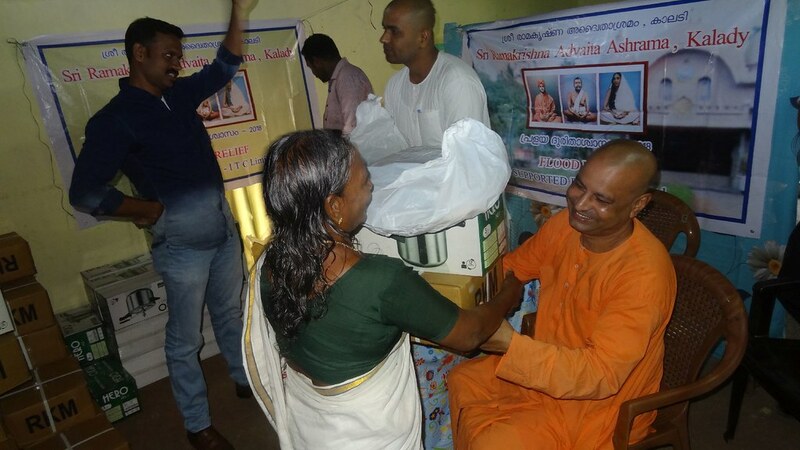 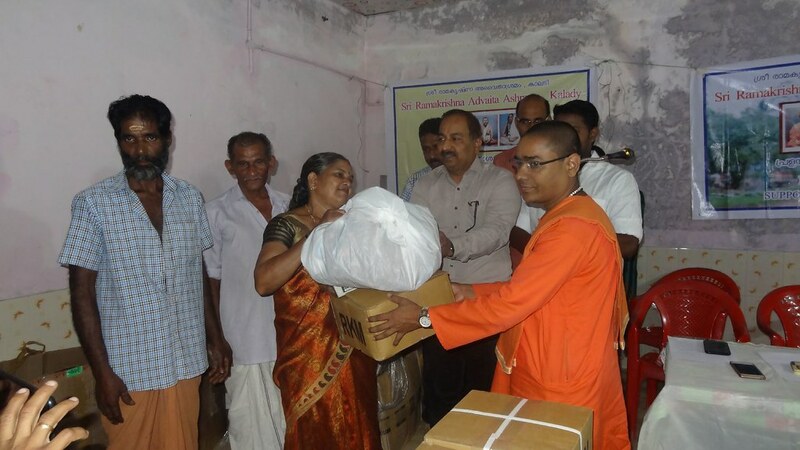 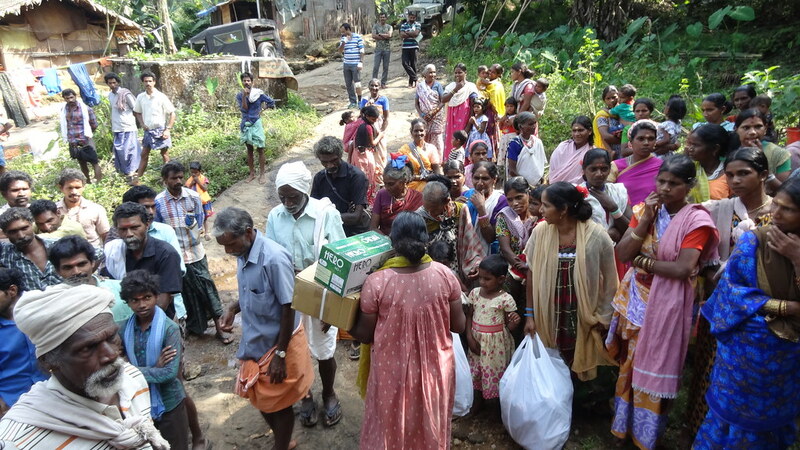 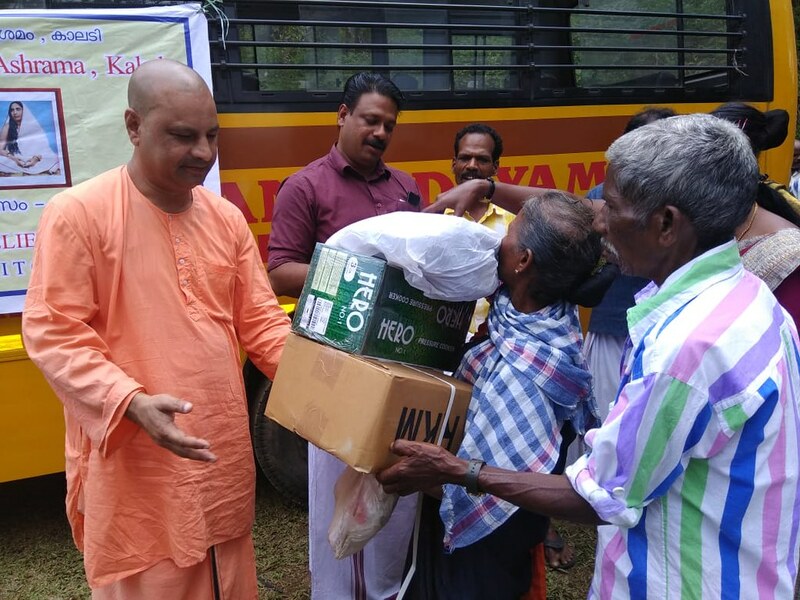 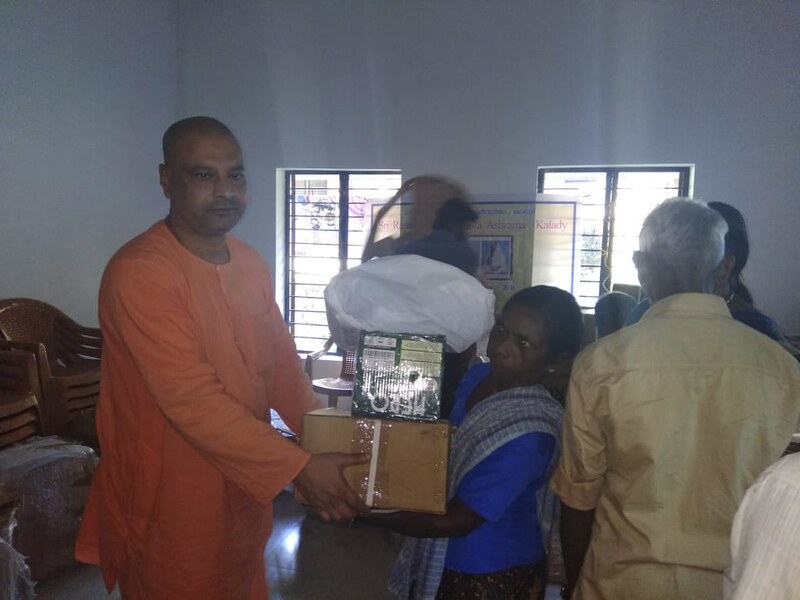 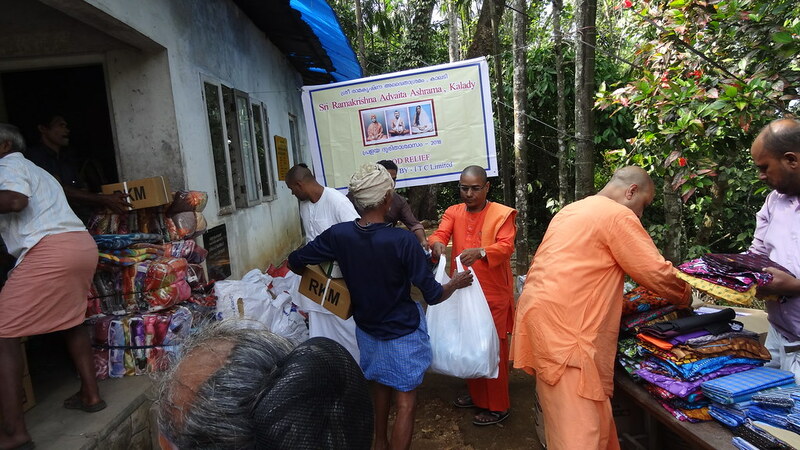 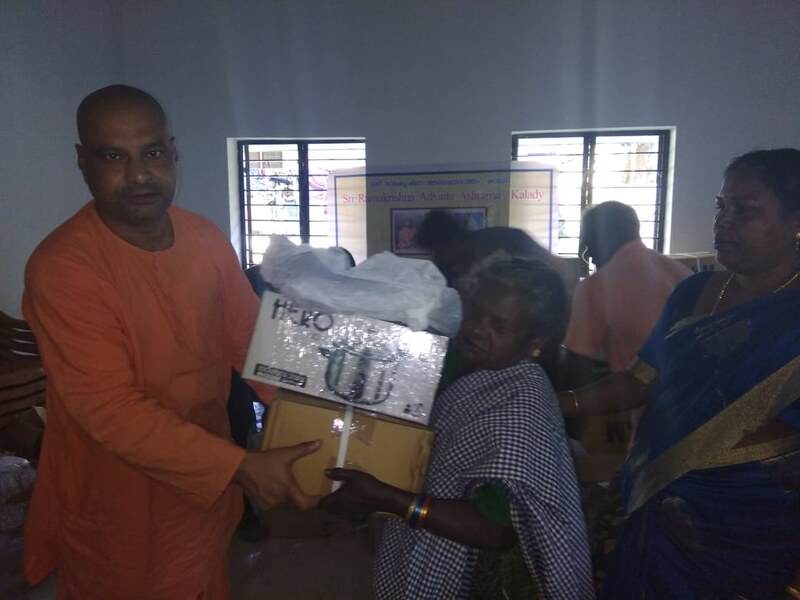 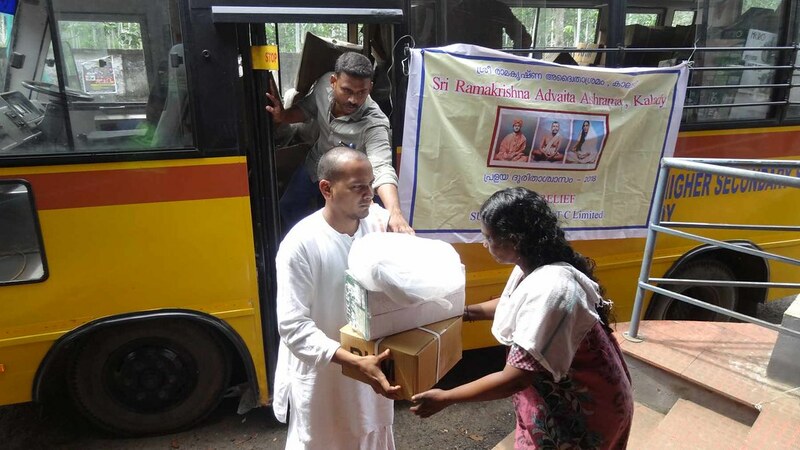 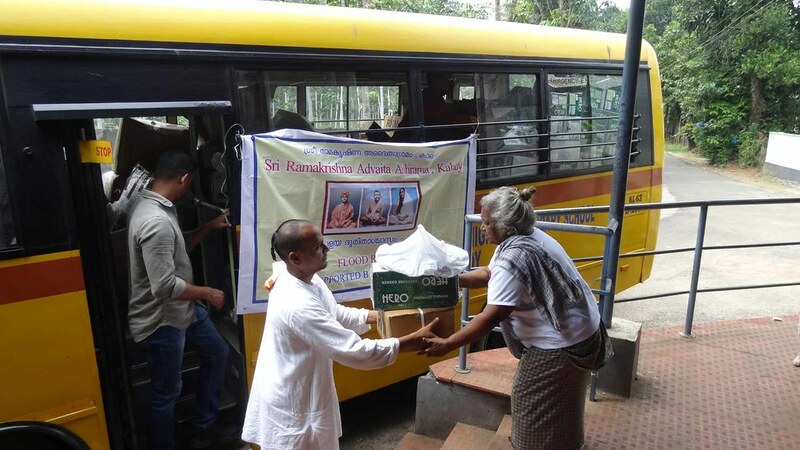 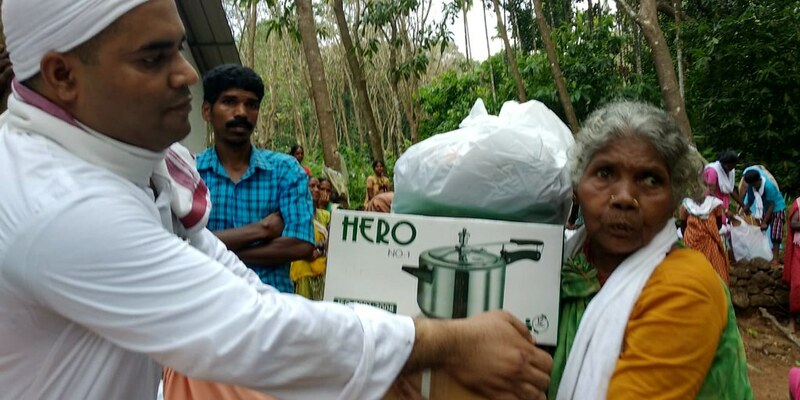 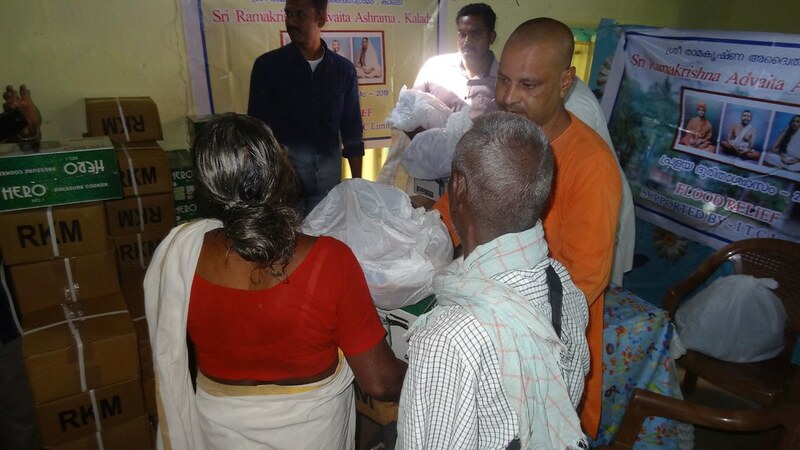 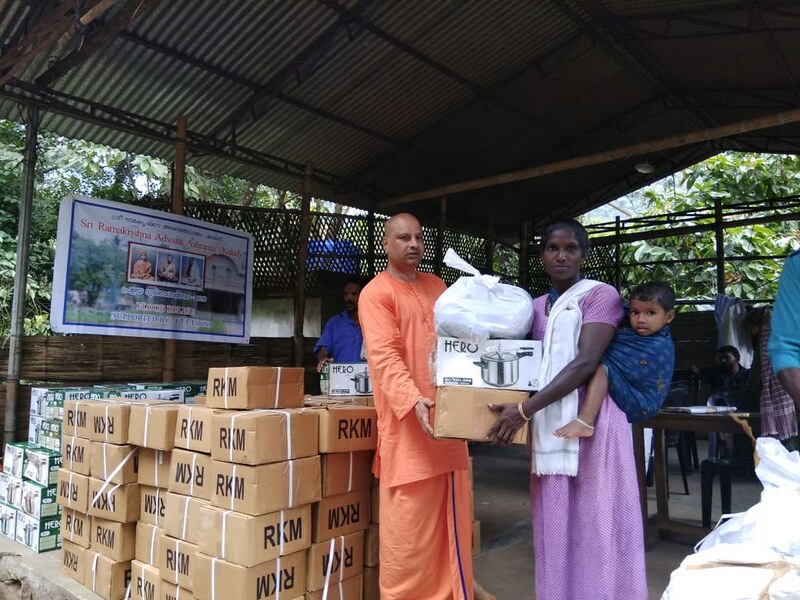 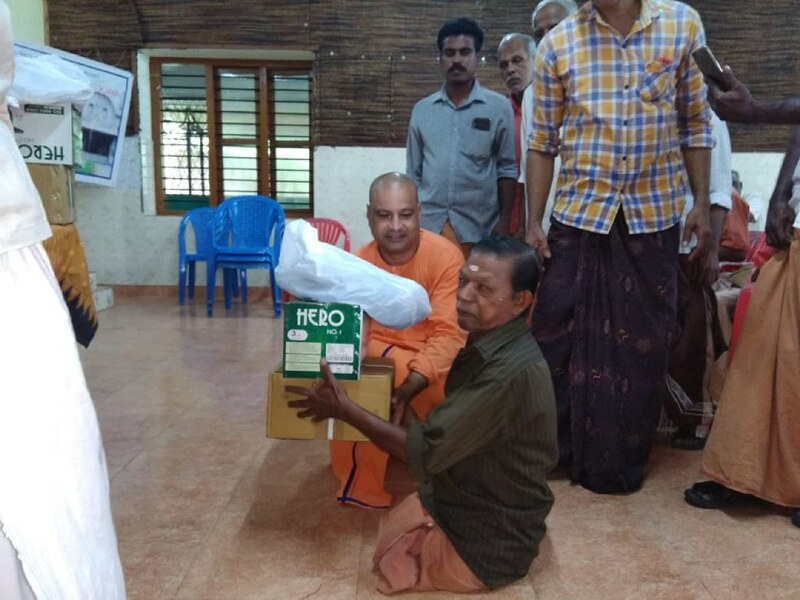 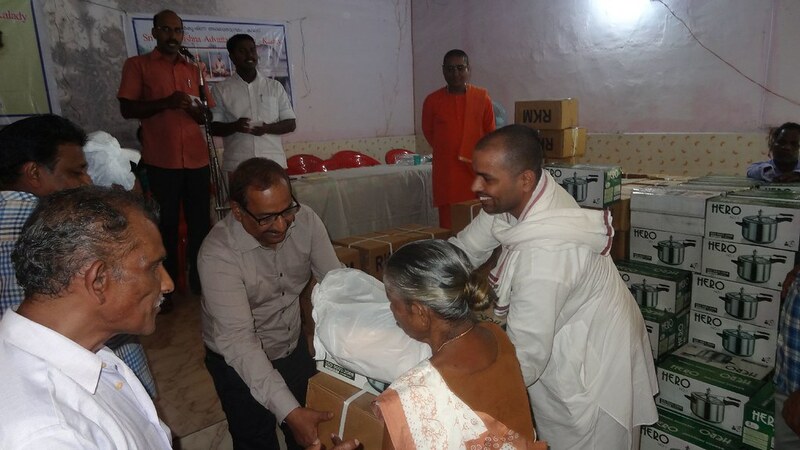 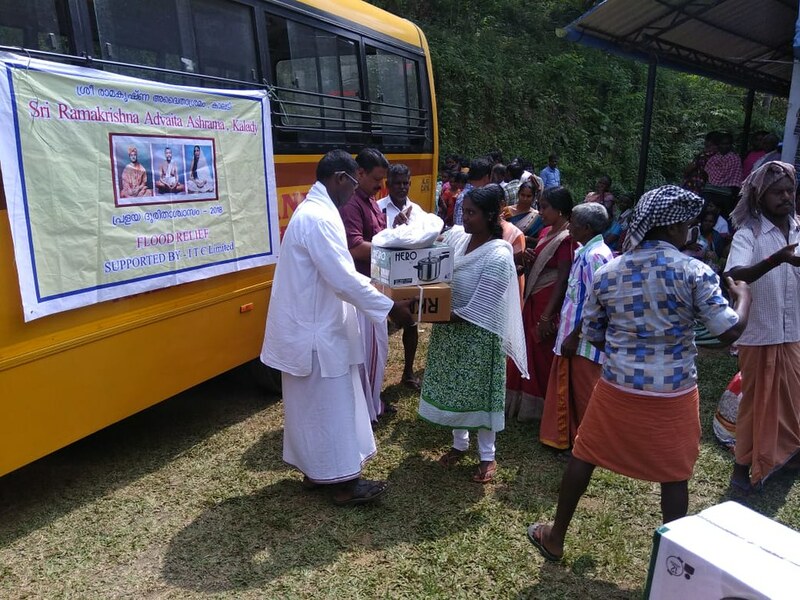 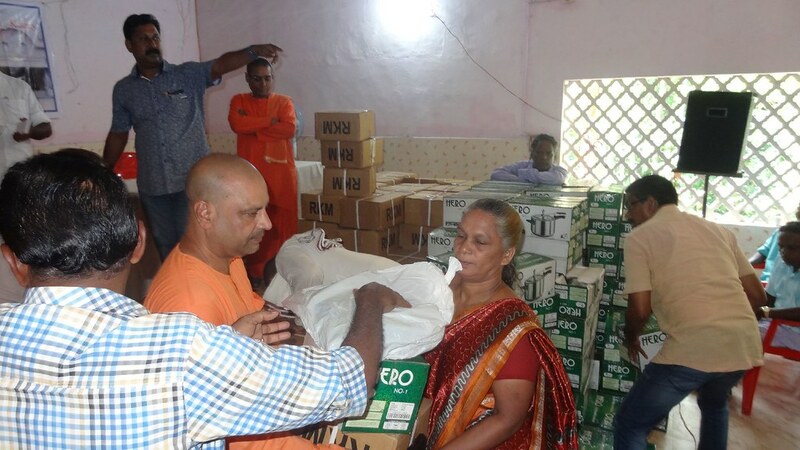 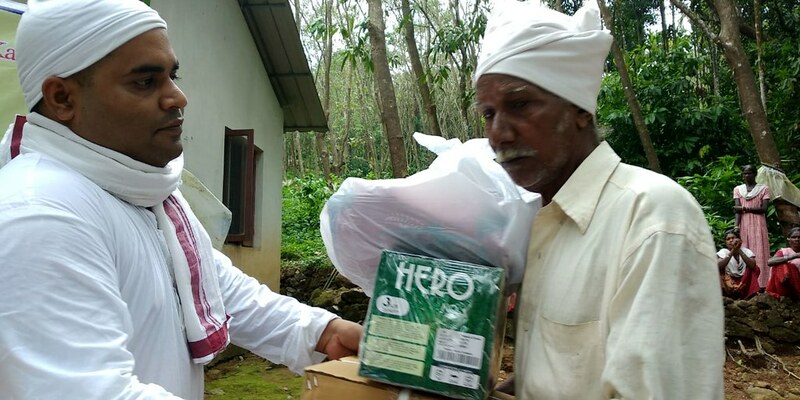 Ramakrishna Advaita Ashram, Kalady distributed Utensils , Pressure cookers and ITC garments to the Flood affected families of Kerala. 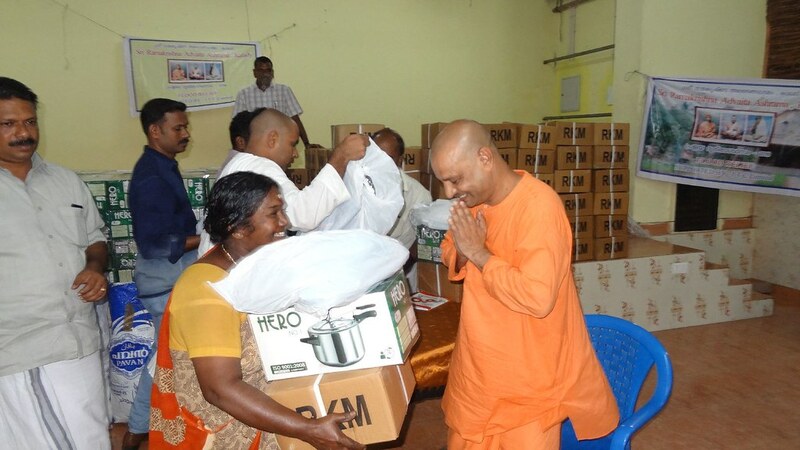 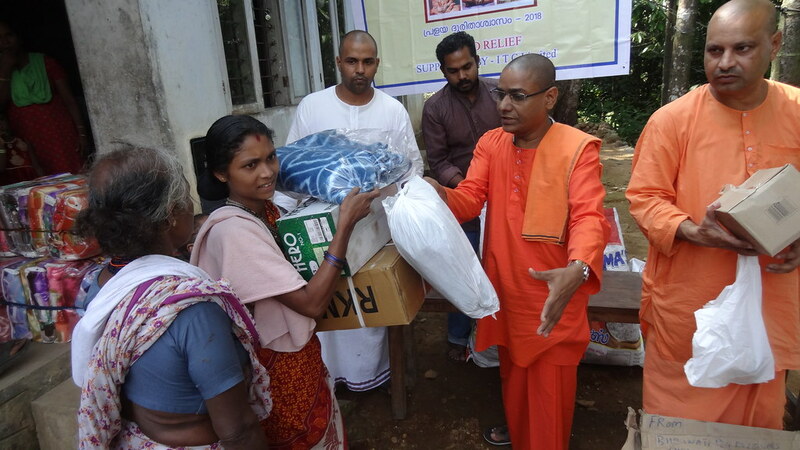 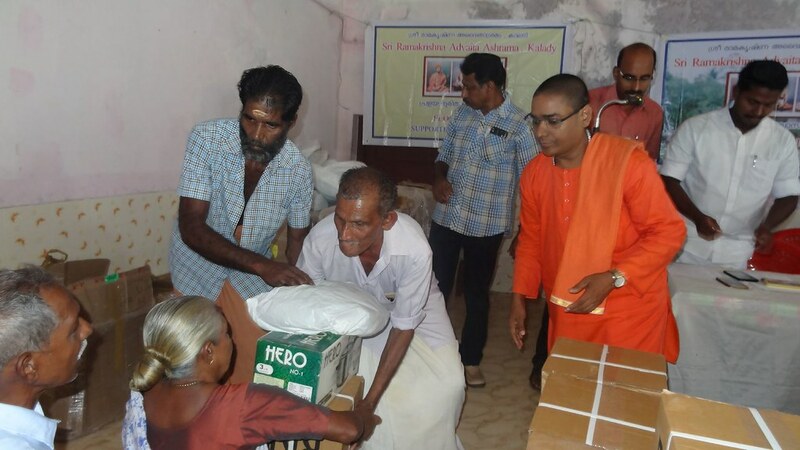 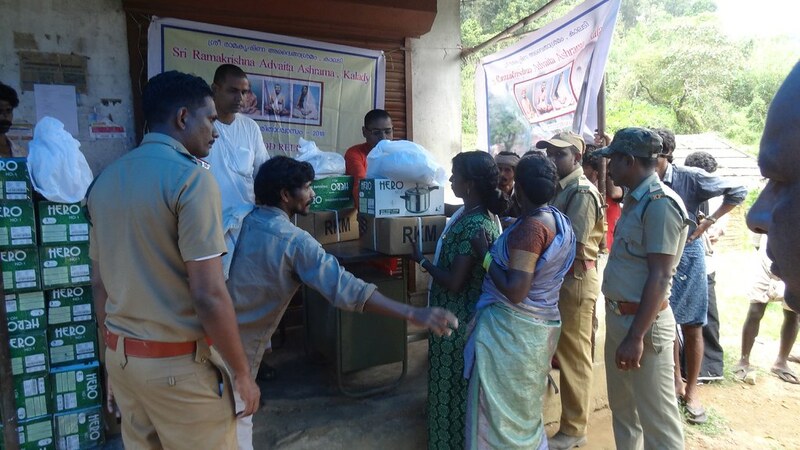 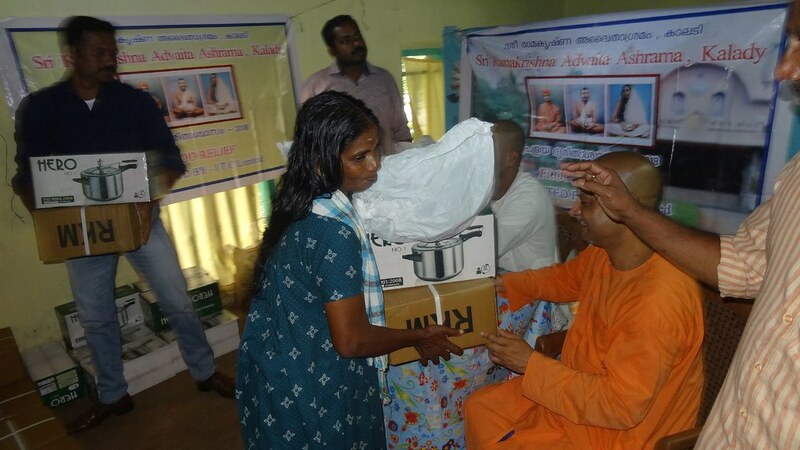 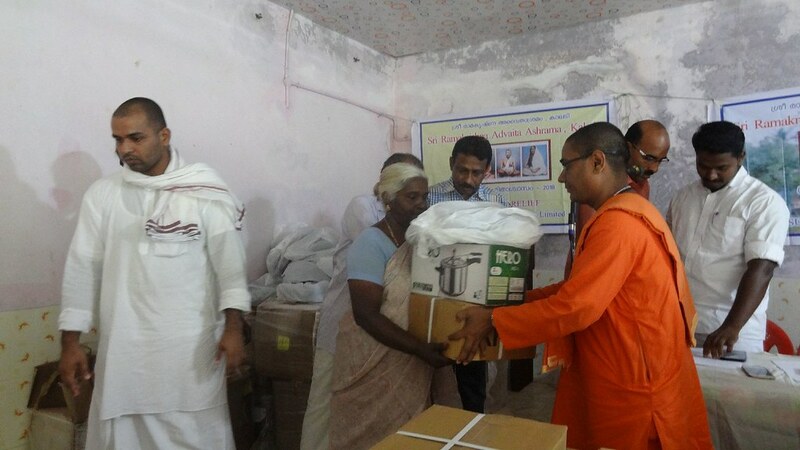 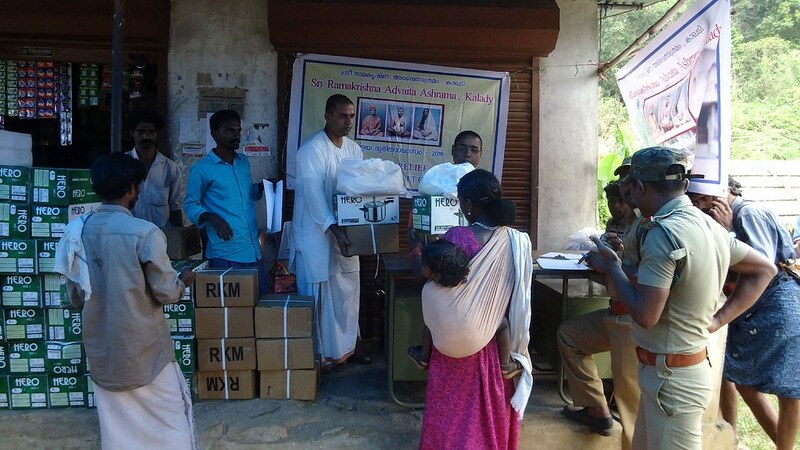 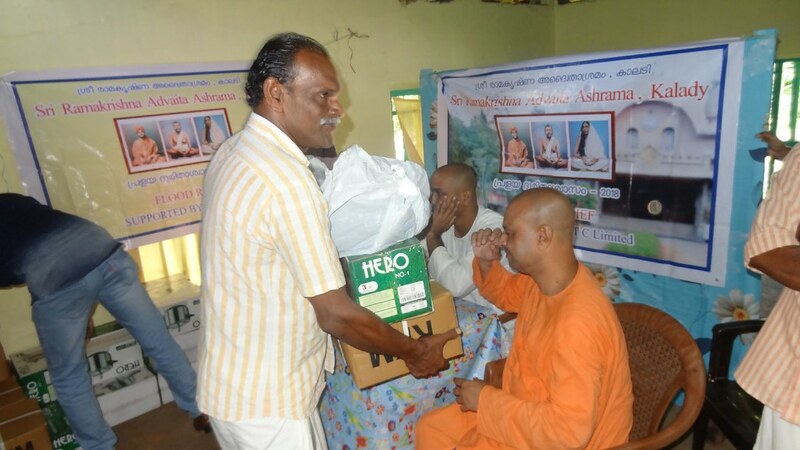 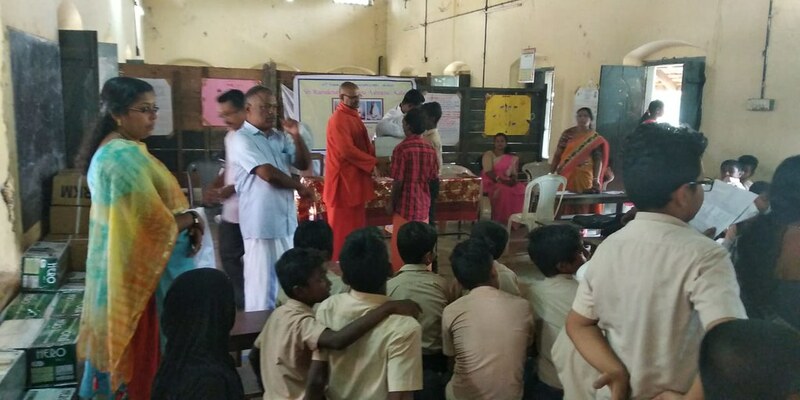 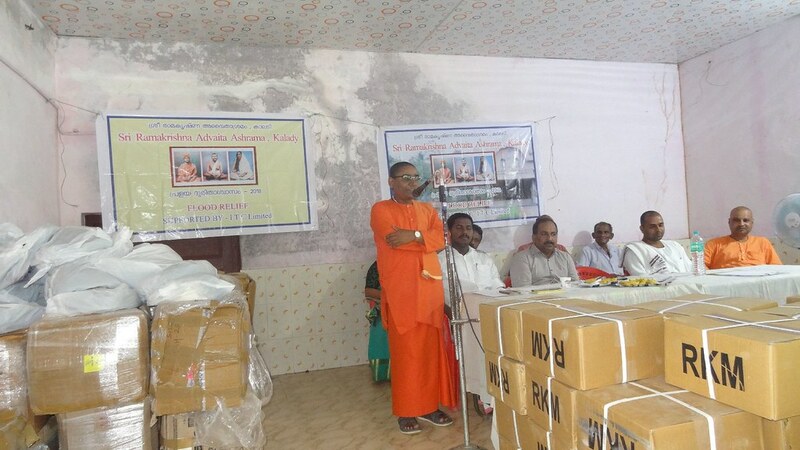 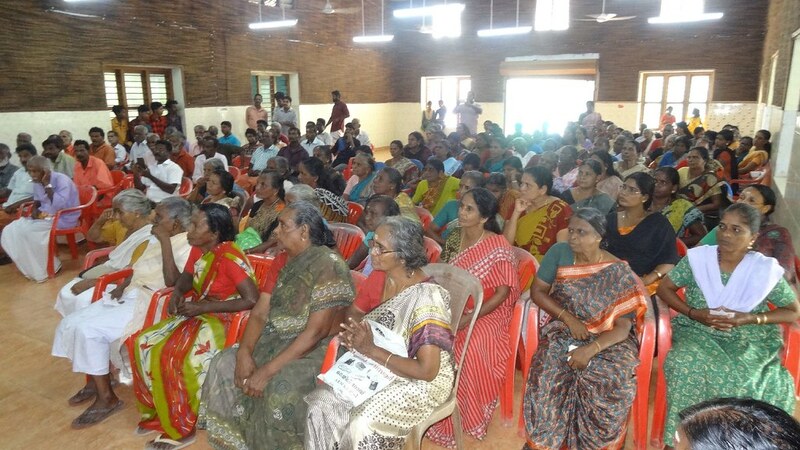 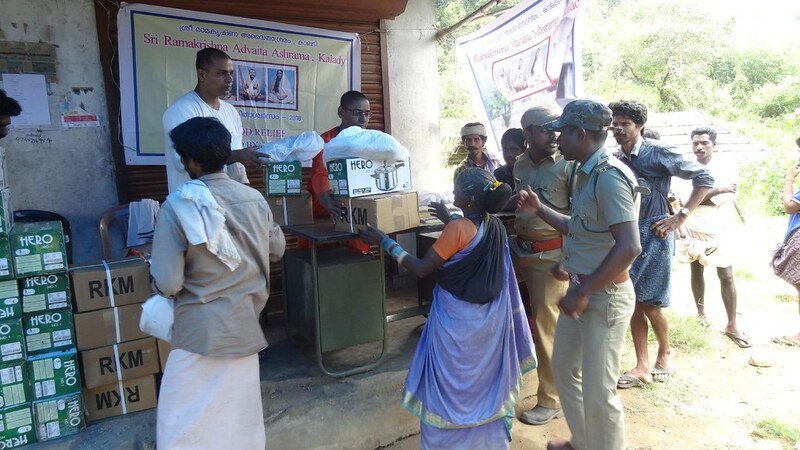 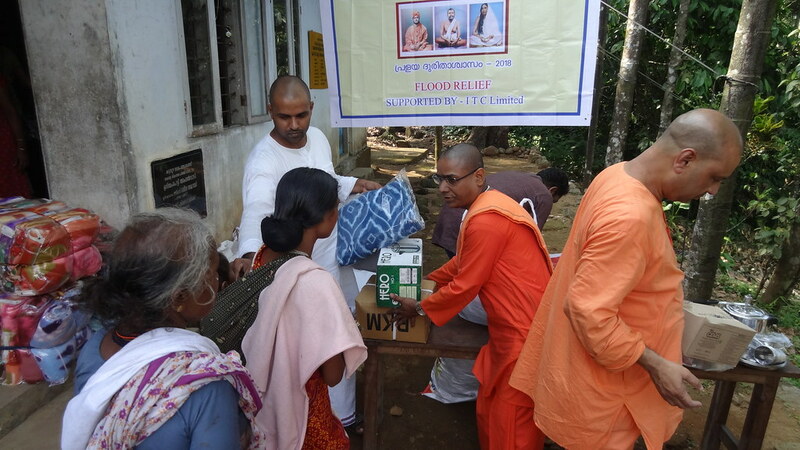 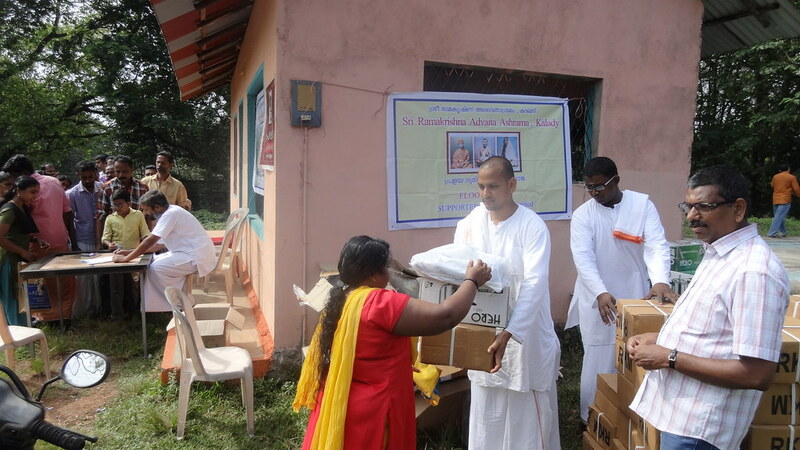 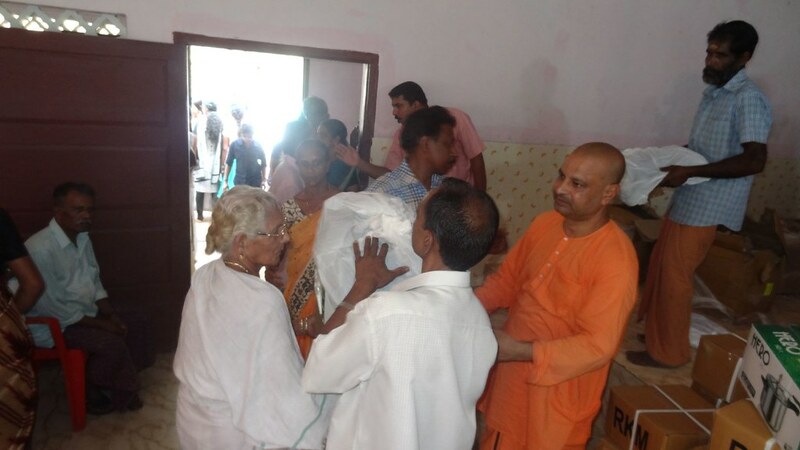 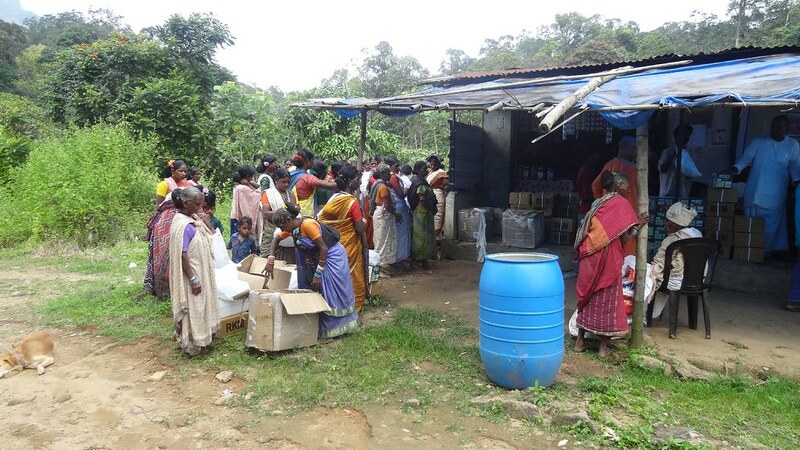 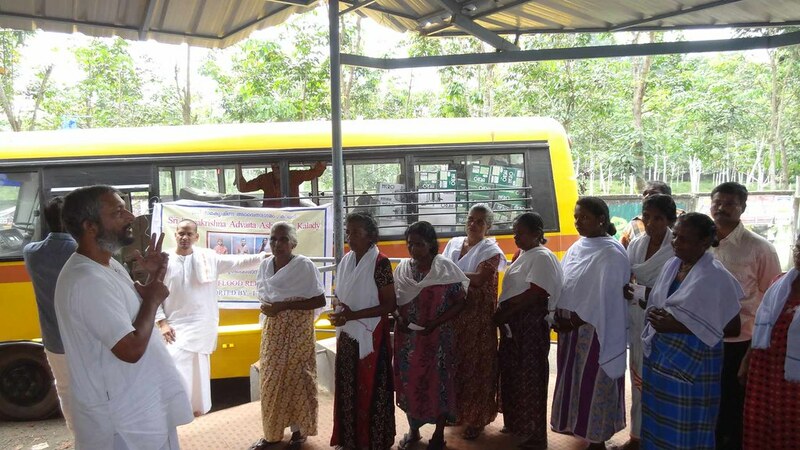 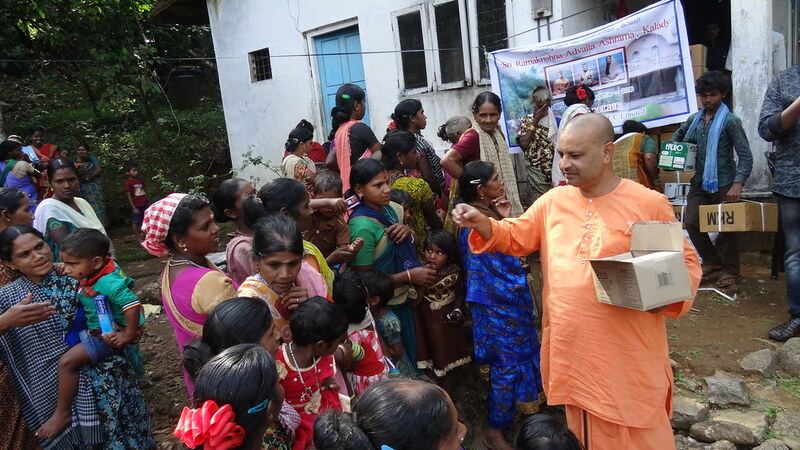 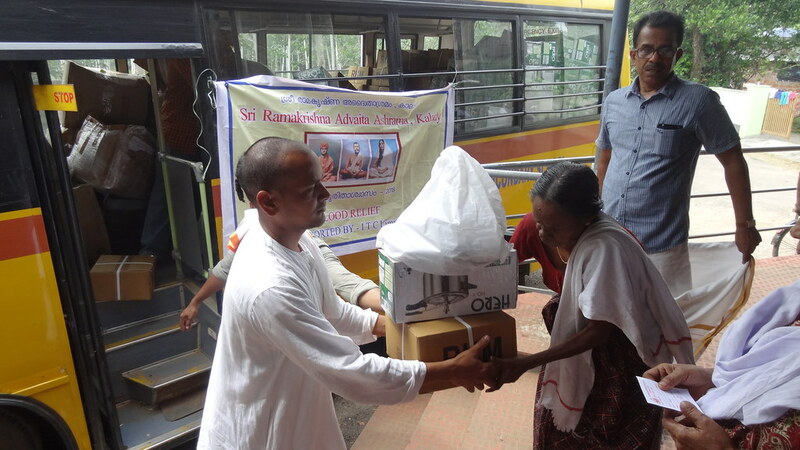 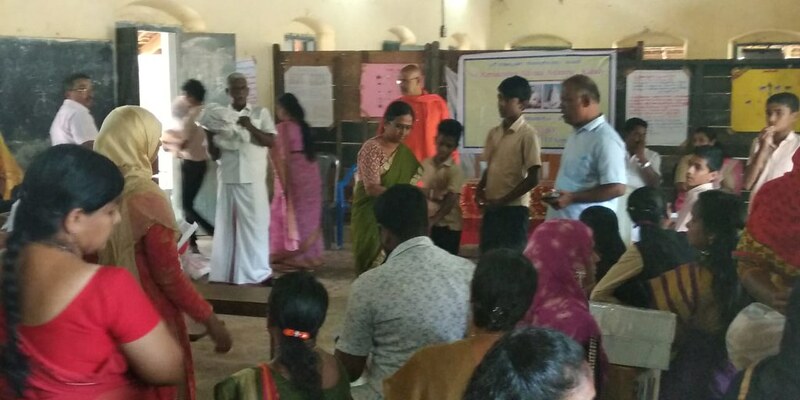 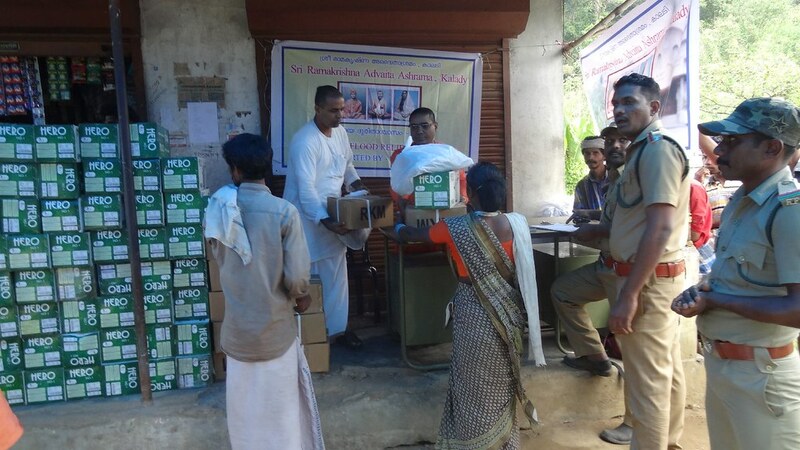 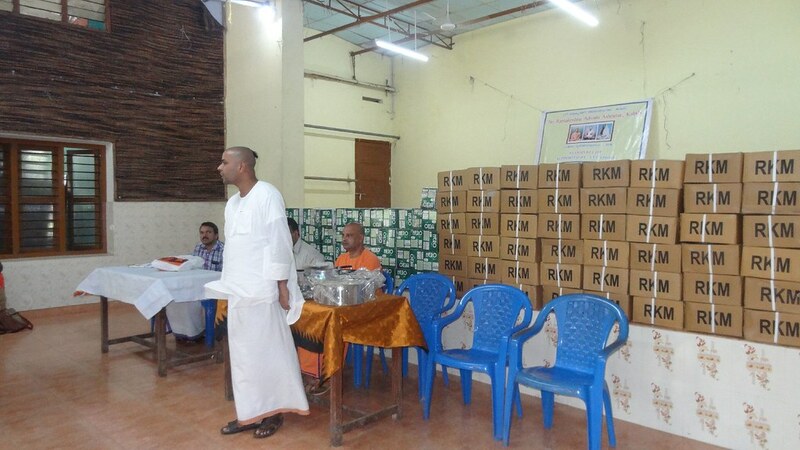 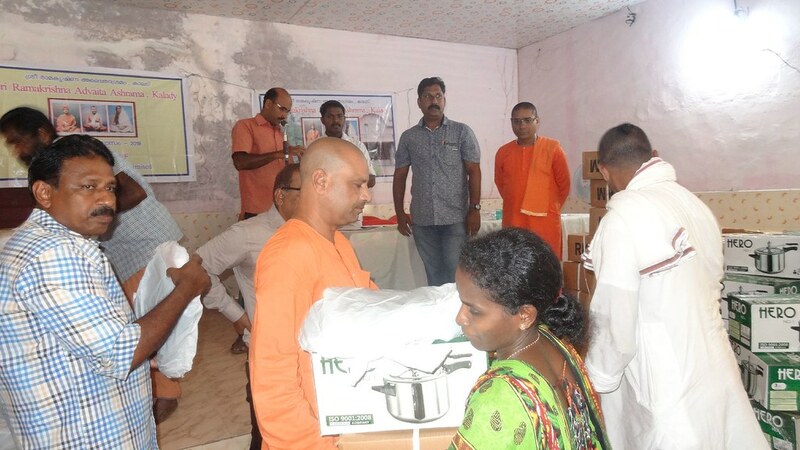 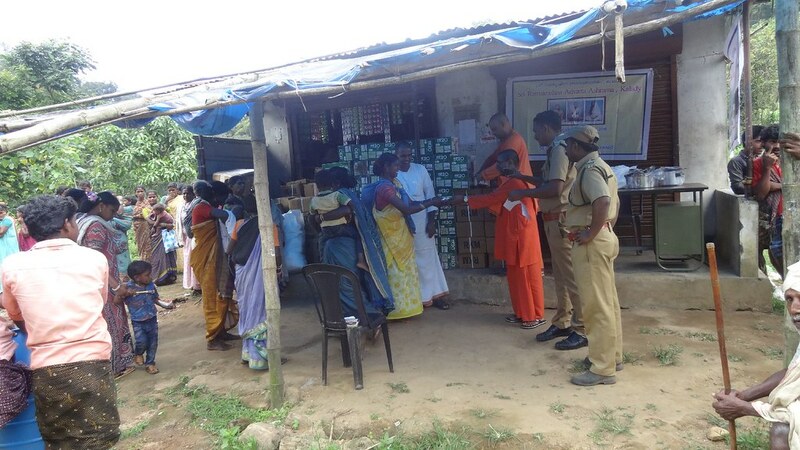 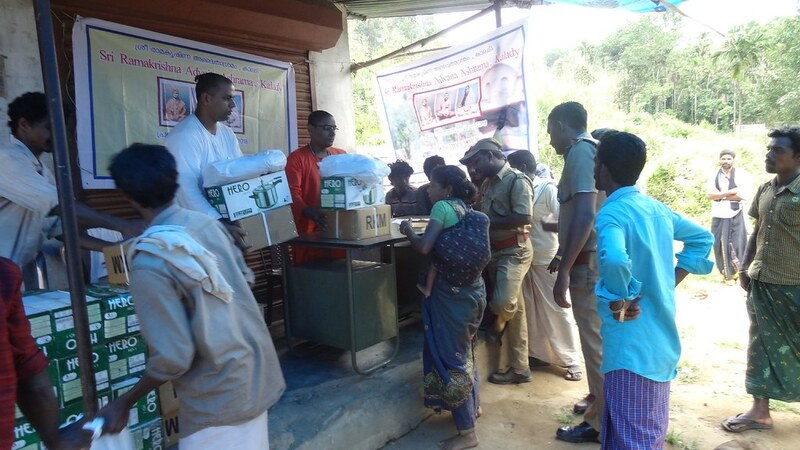 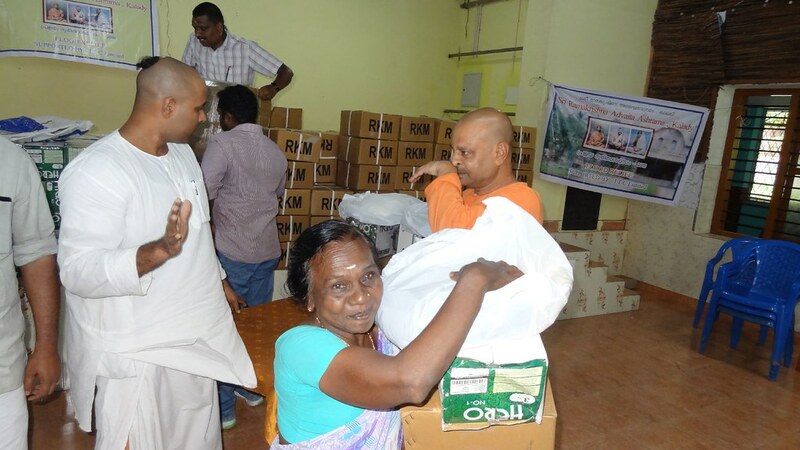 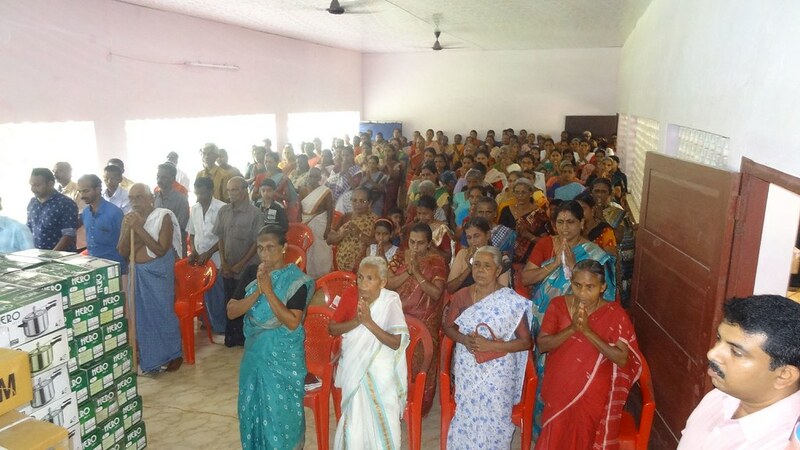 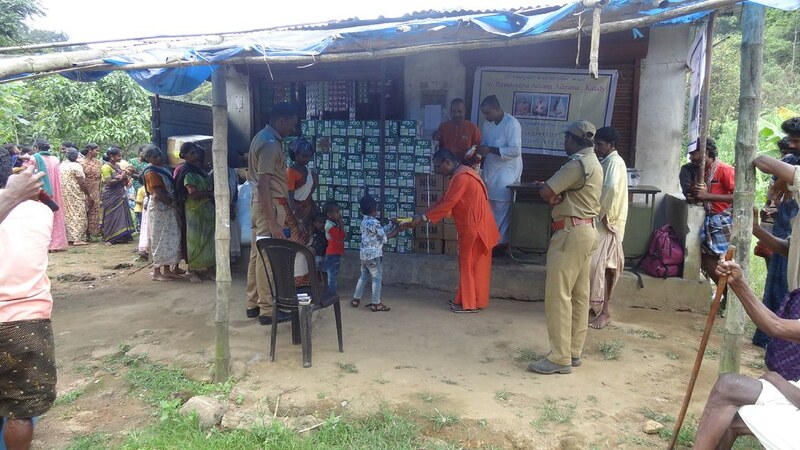 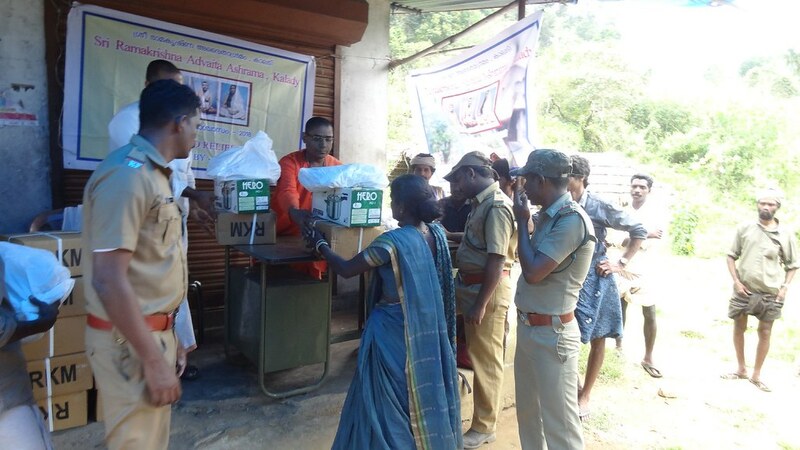 The Ashram distributed Utensils, Pressure Cooker and ITC garments to 1149 families during this period. 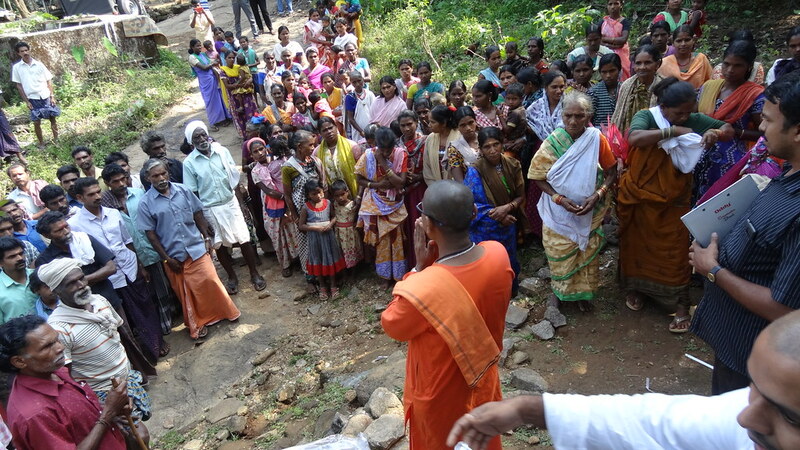 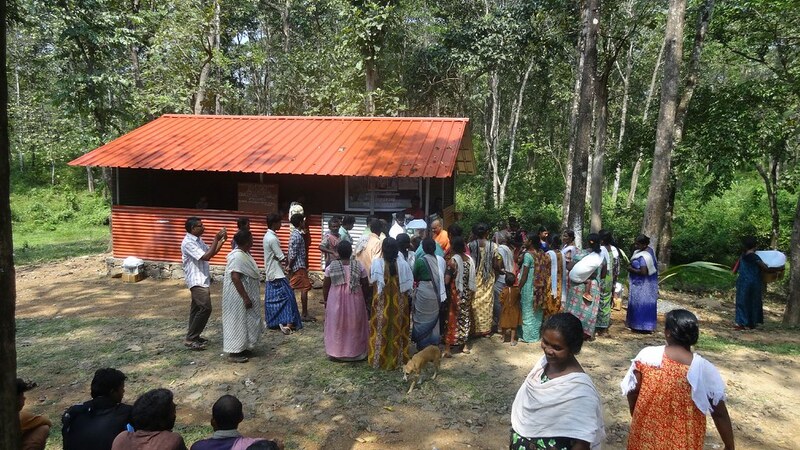 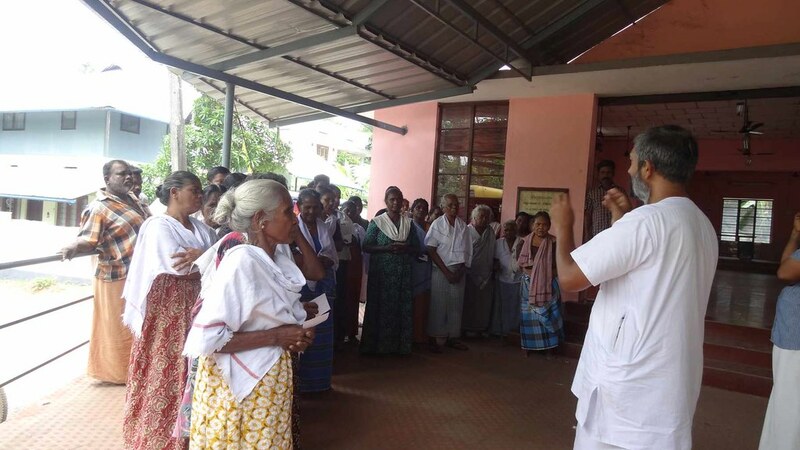 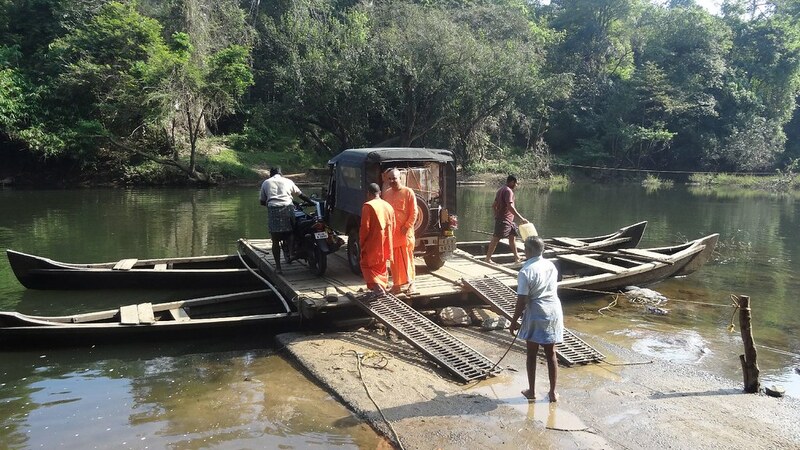 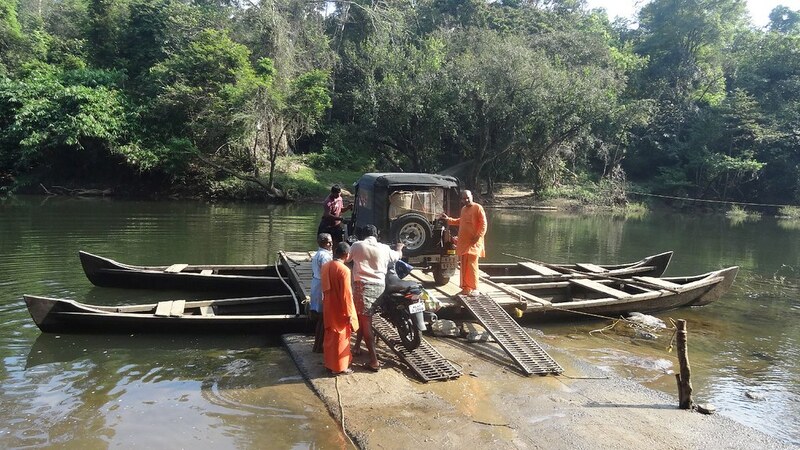 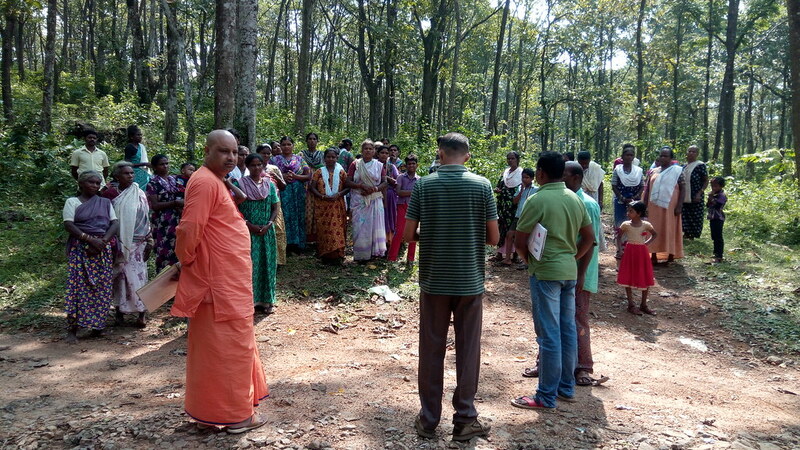 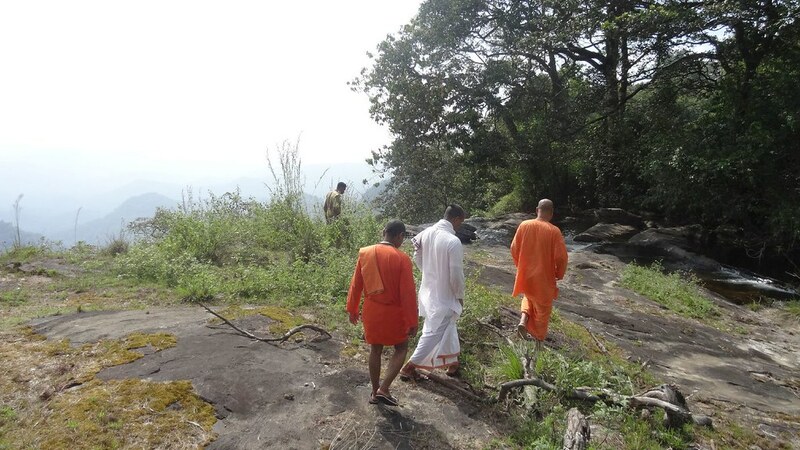 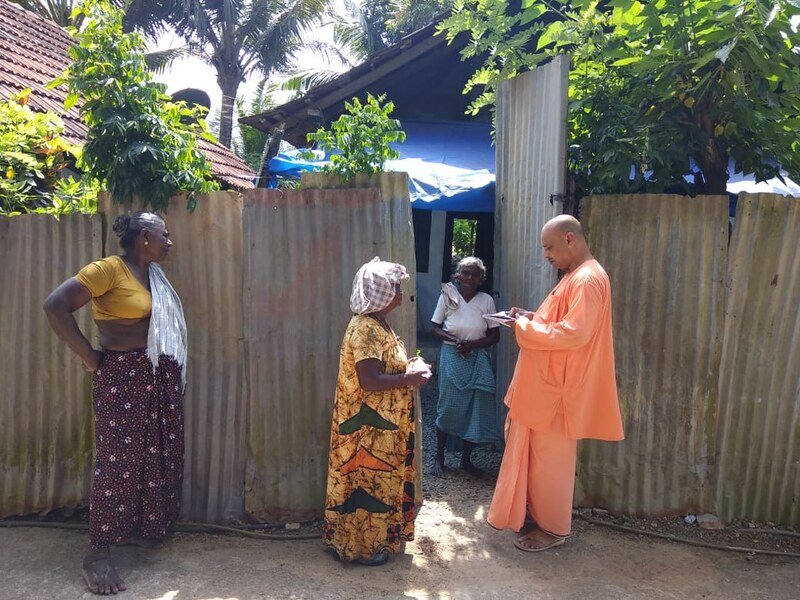 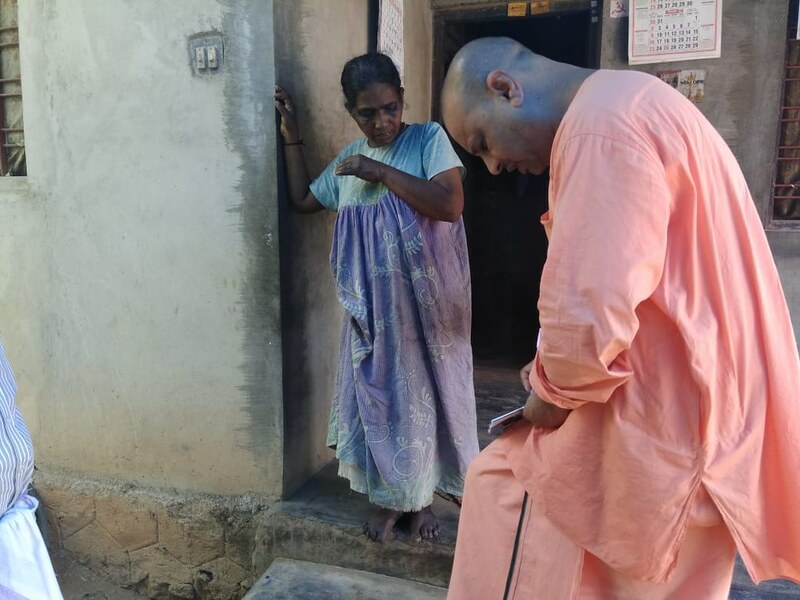 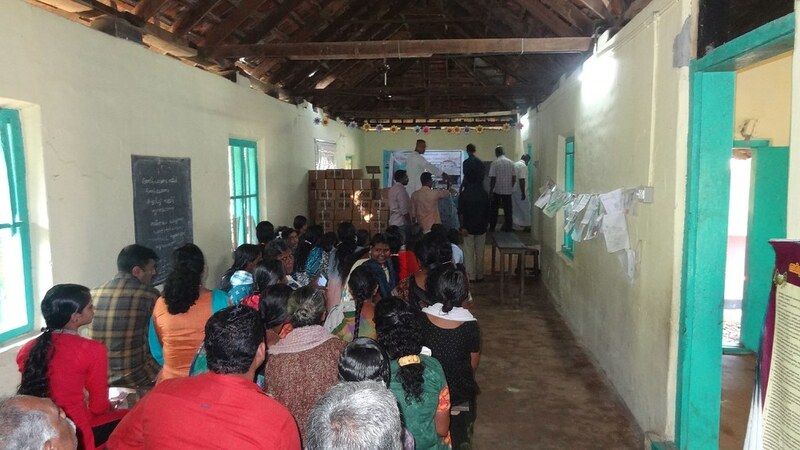 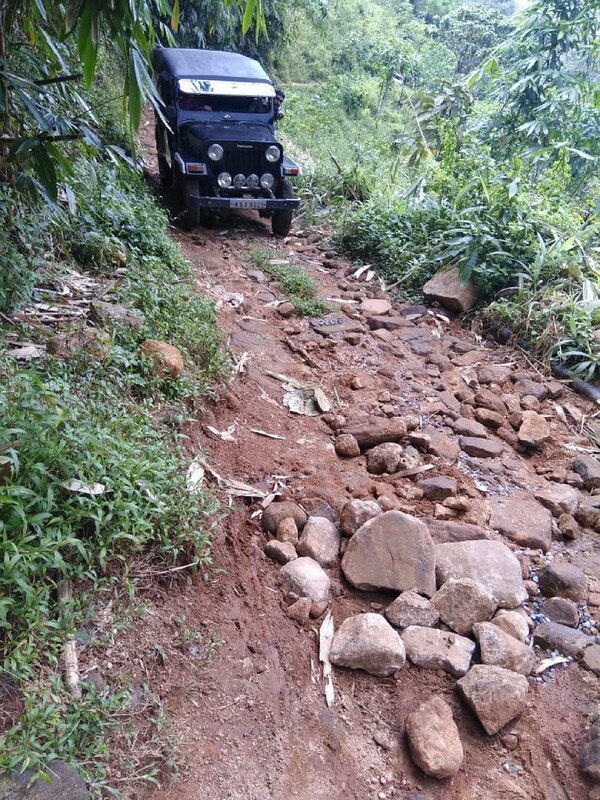 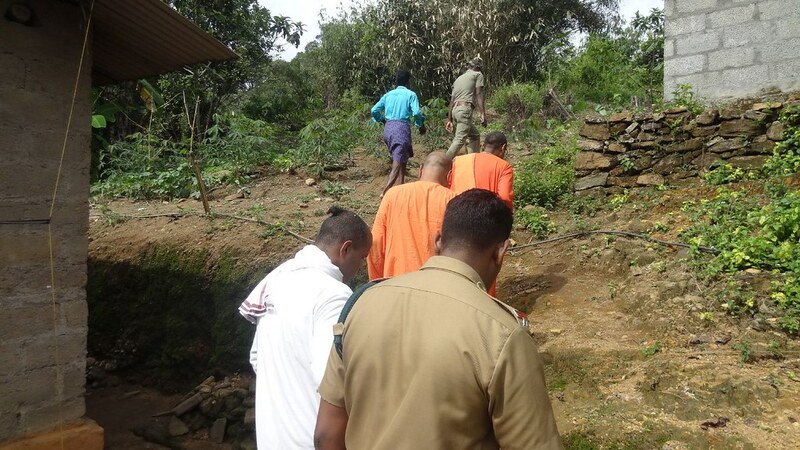 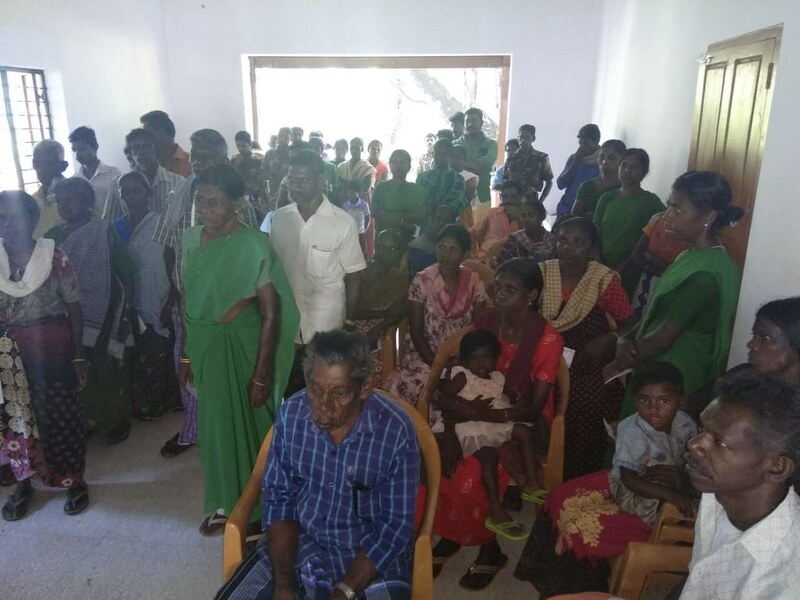 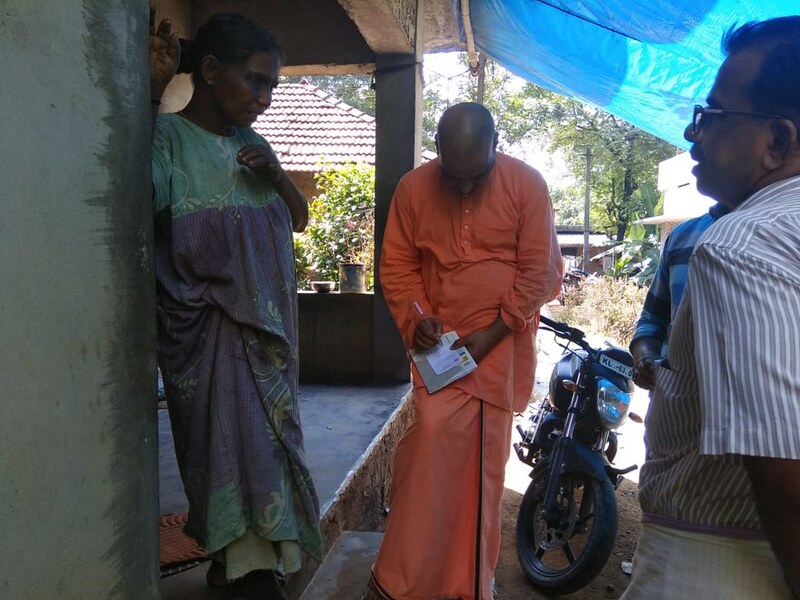 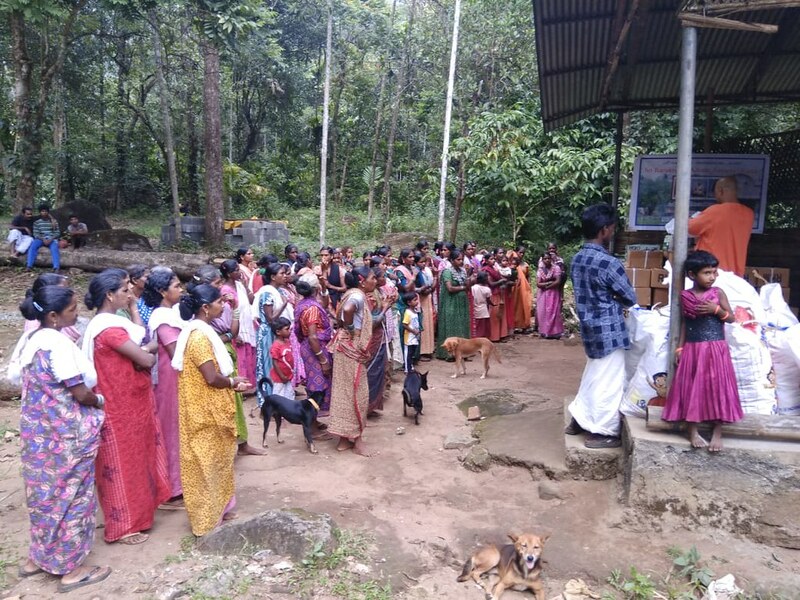 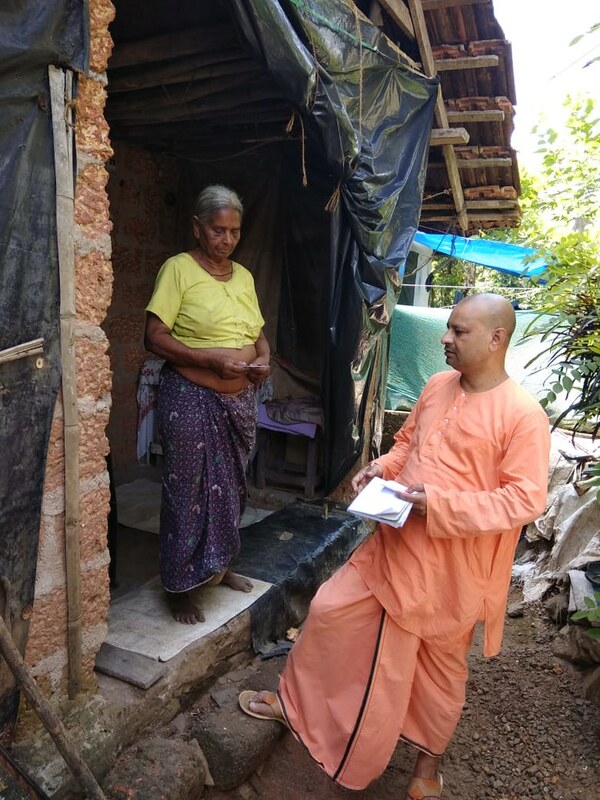 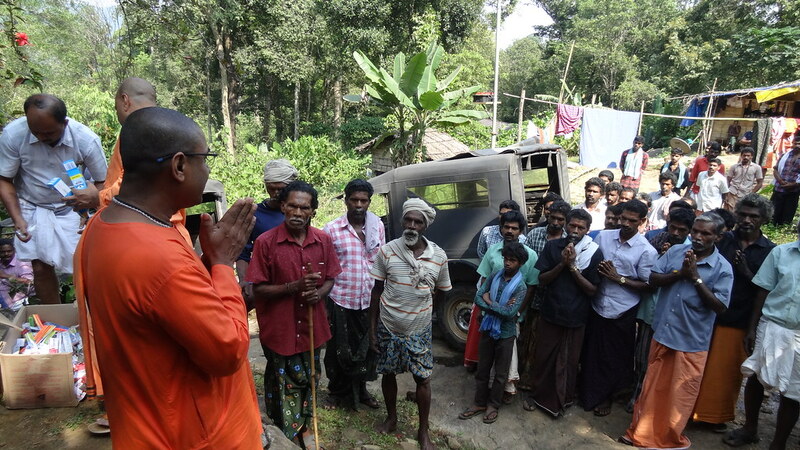 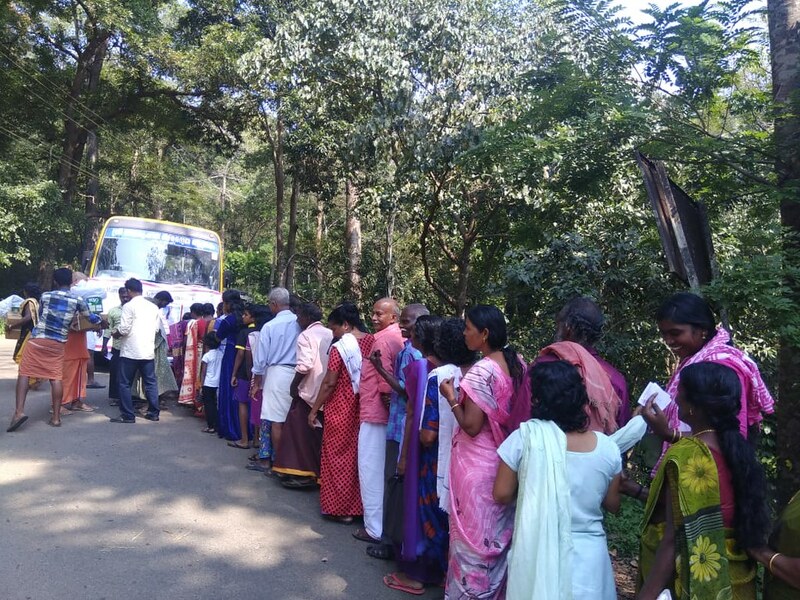 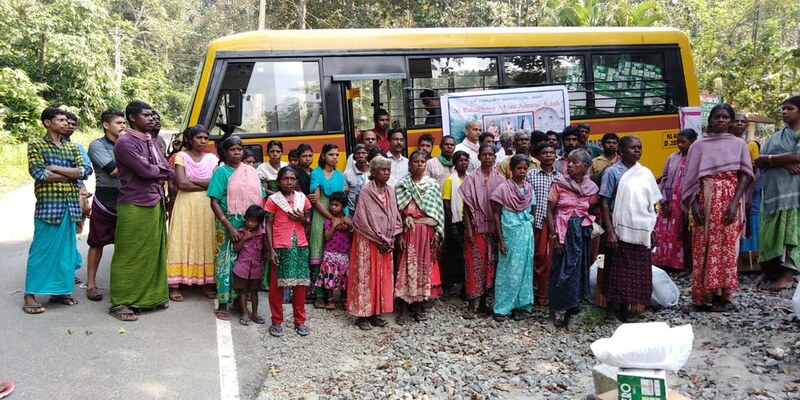 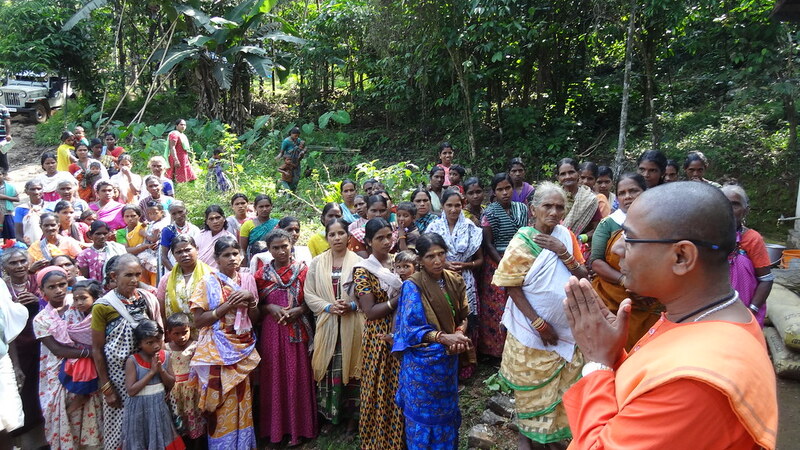 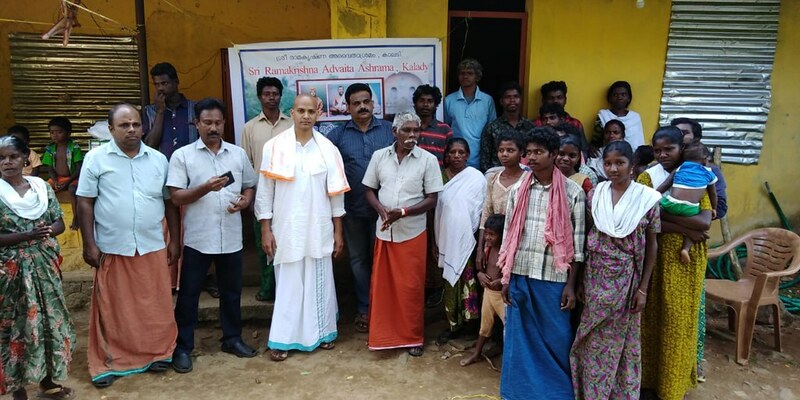 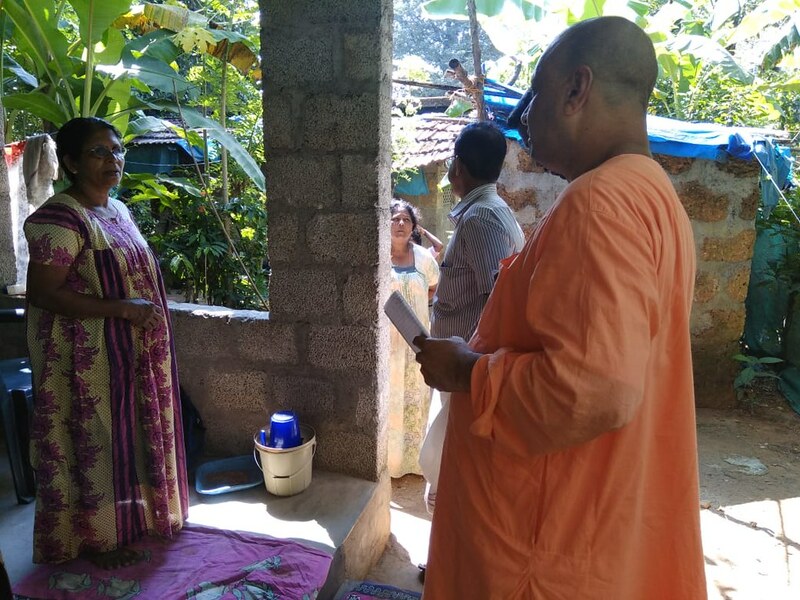 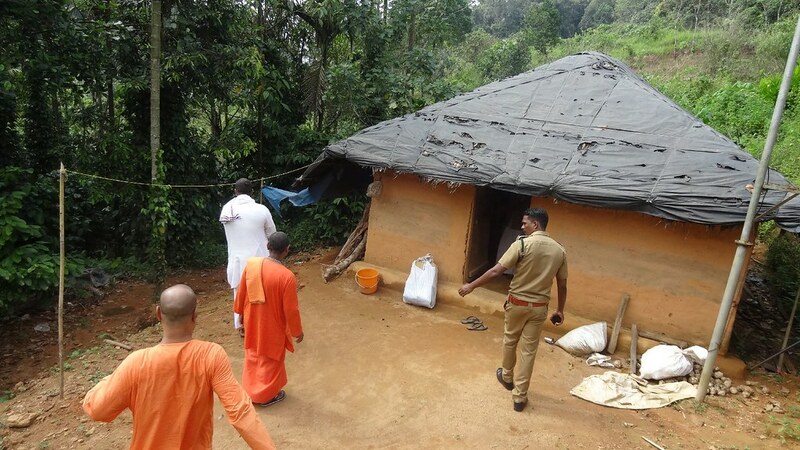 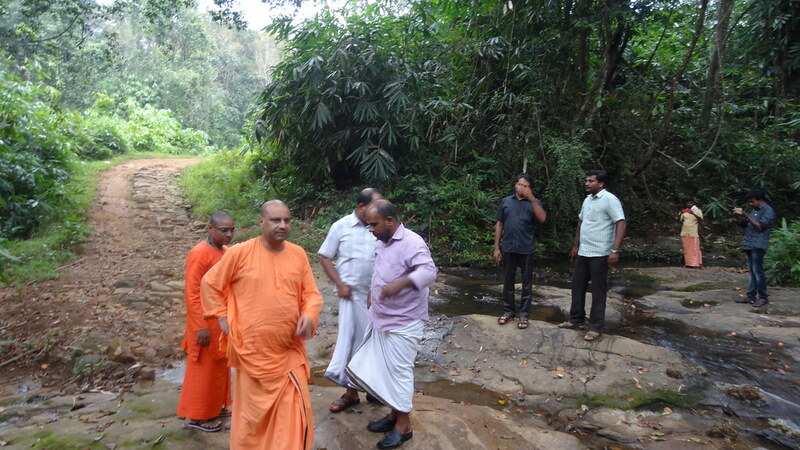 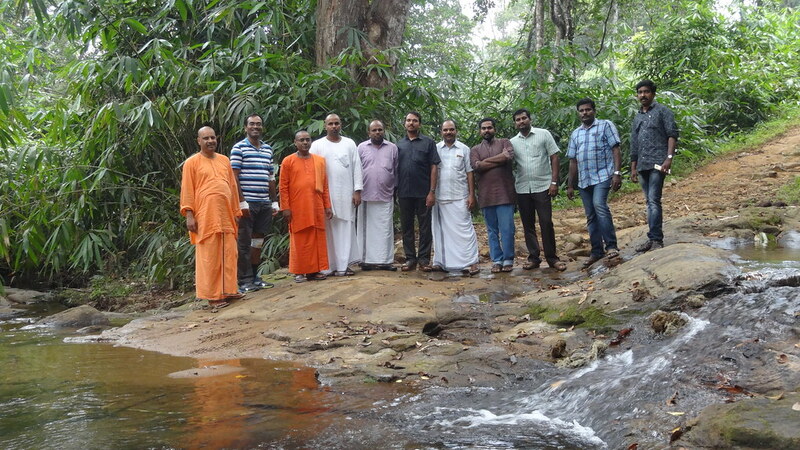 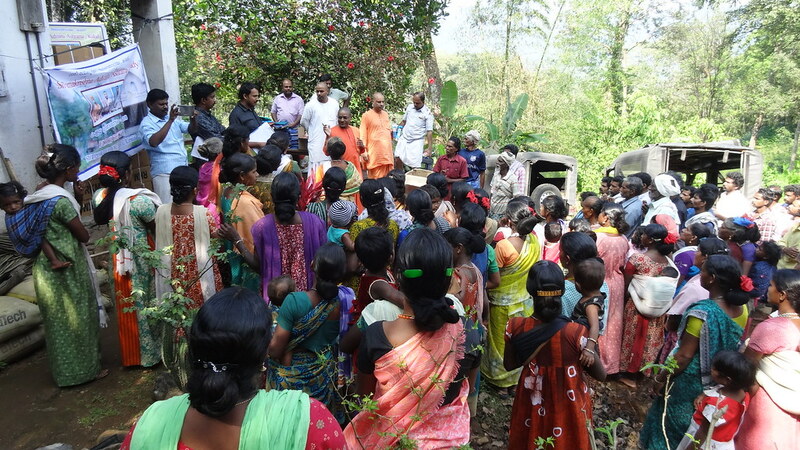 The Ashrama Carried out the service in several tribal pockets in the region of Athirapally and other worst affected villages. 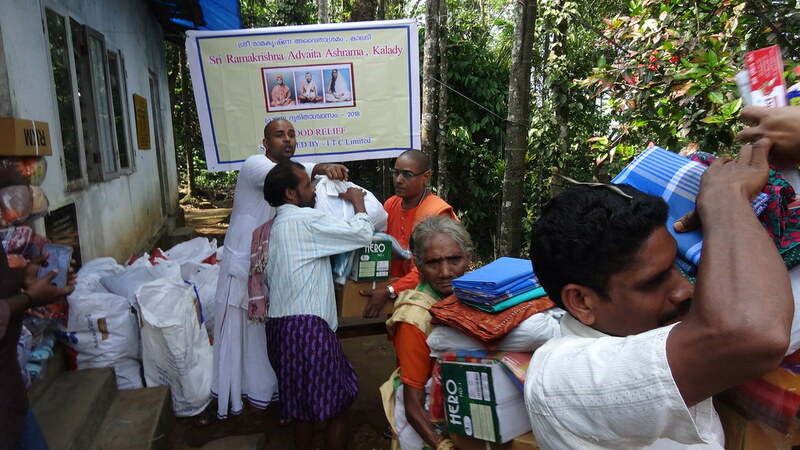 The Ashram distributed Utensils, Pressure Cooker and ITC garments to 874 families in 10 Villages and Pancayat during this period. 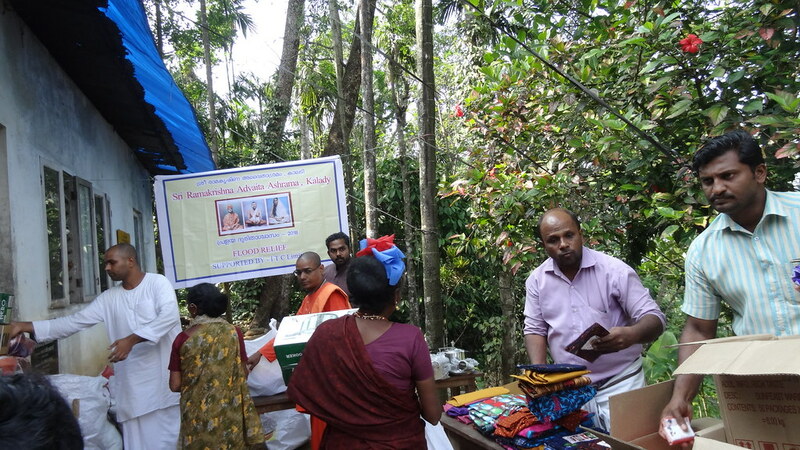 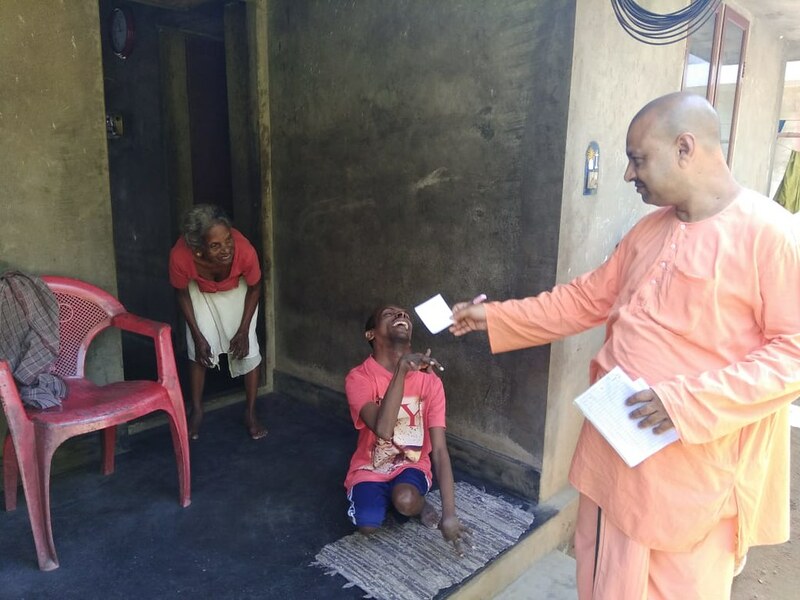 The Ashrama has distributed it in some of the Tribal Pockets where there are no basic facilities and electrical supply etc. 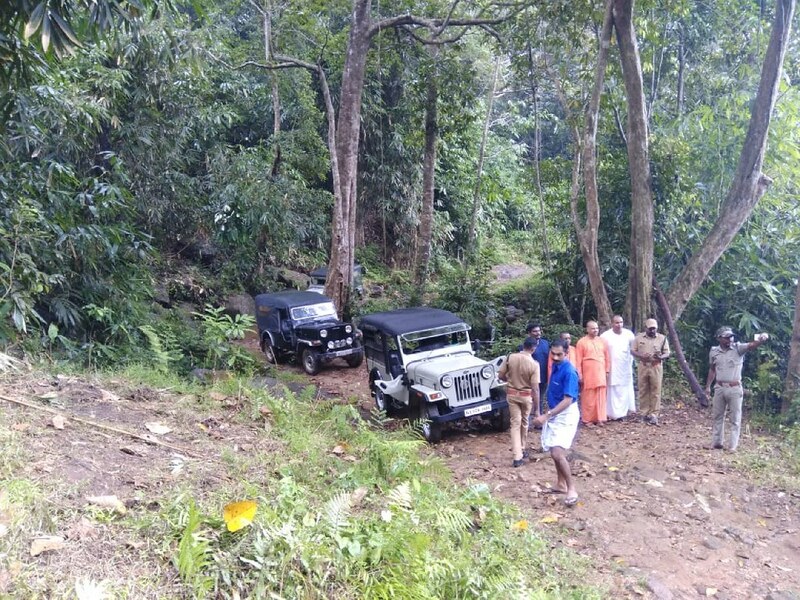 A special permission from the DFO of the range was taken. 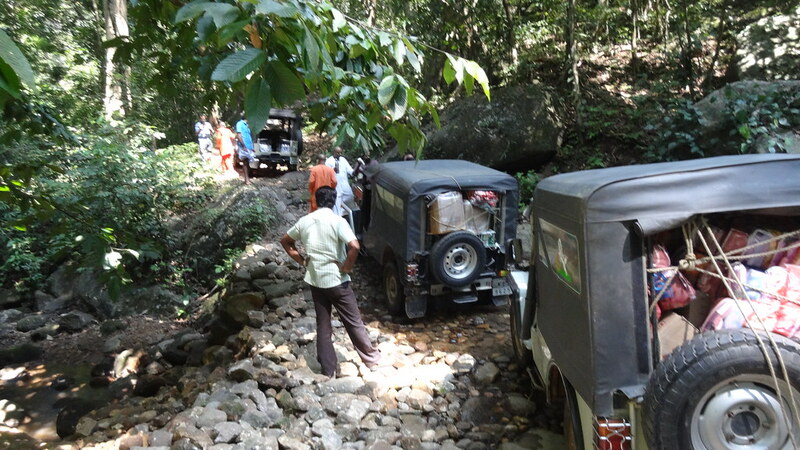 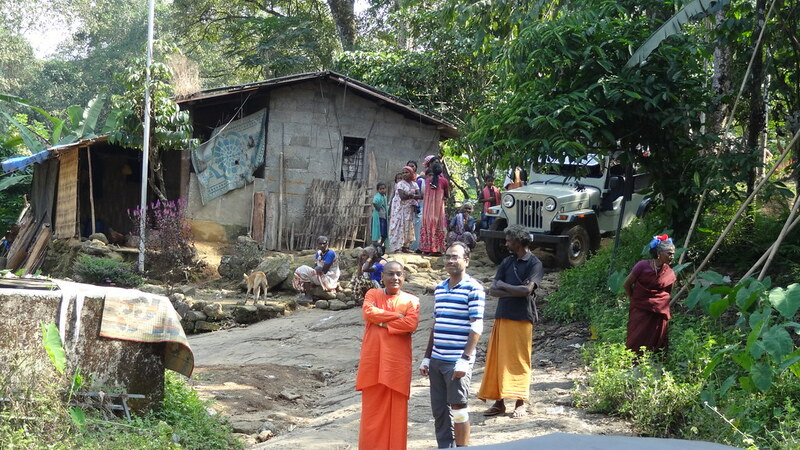 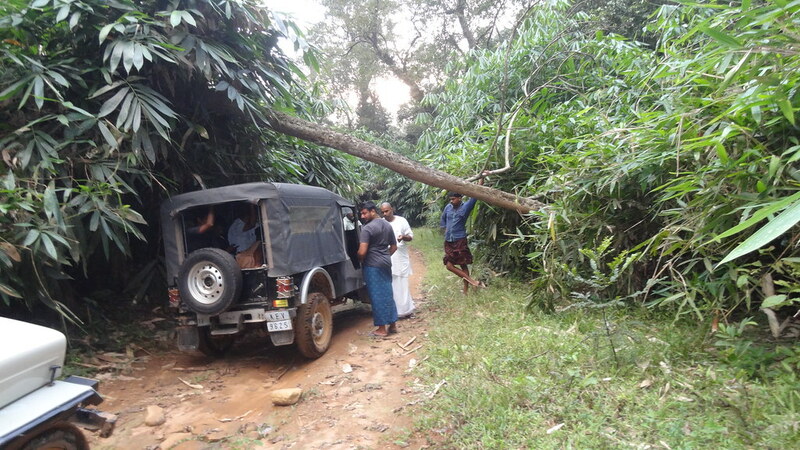 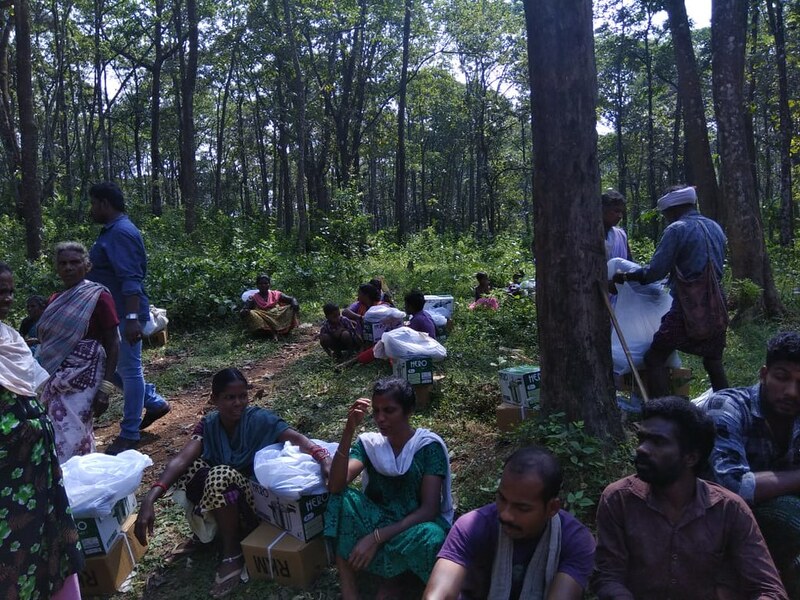 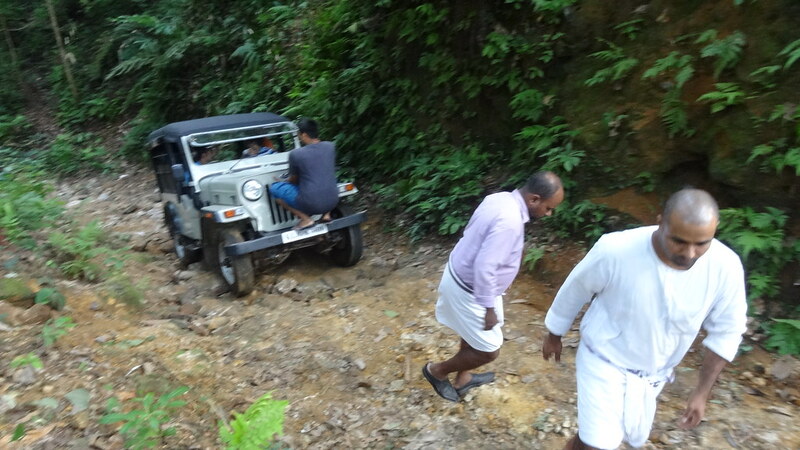 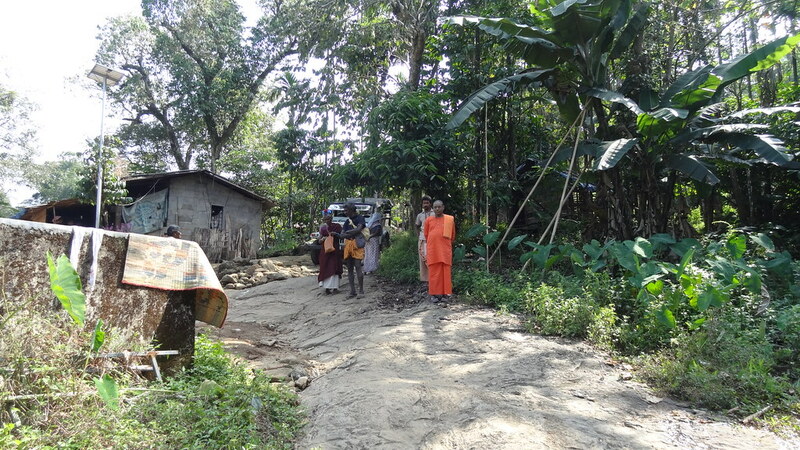 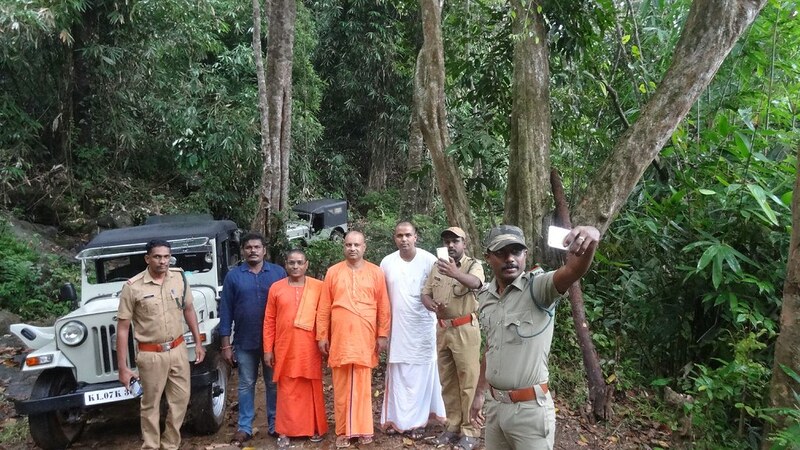 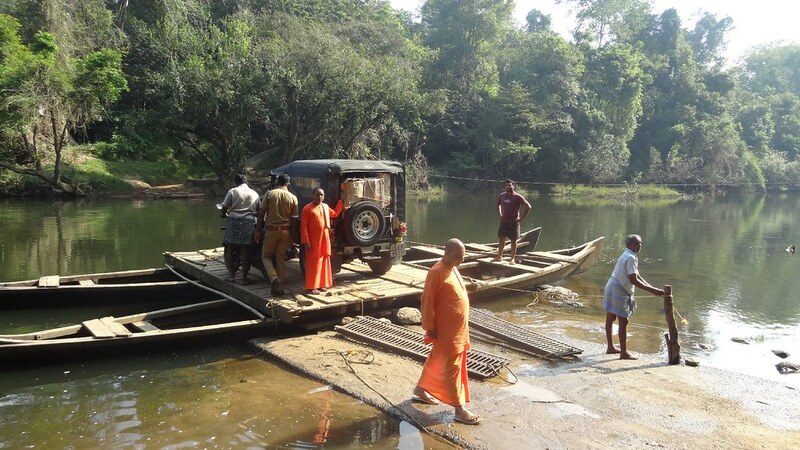 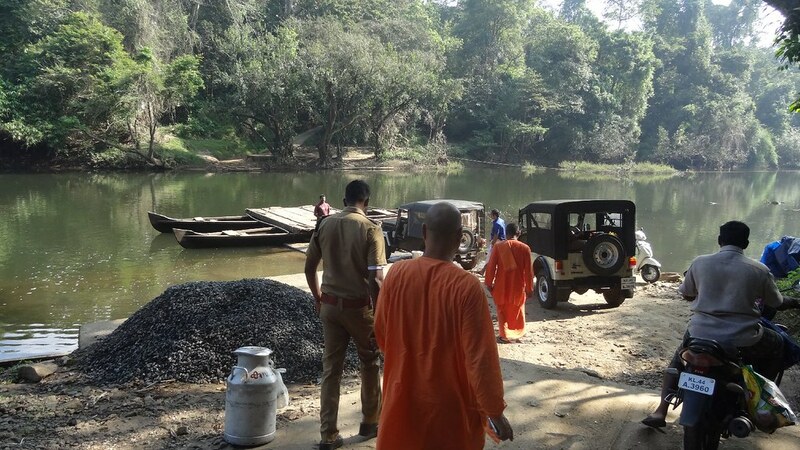 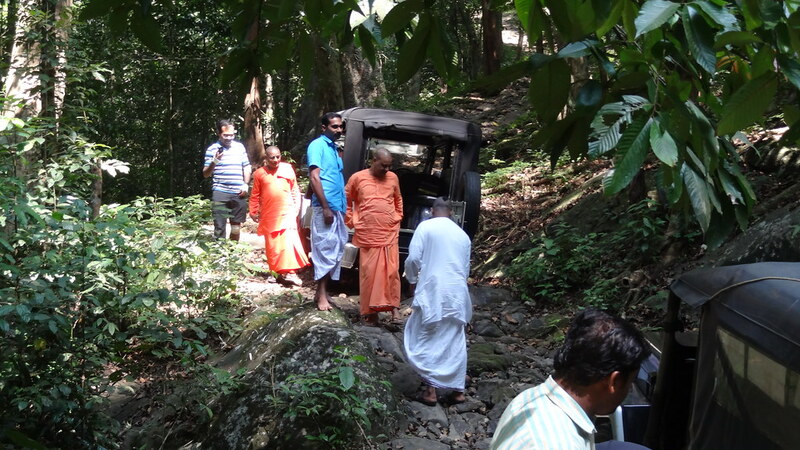 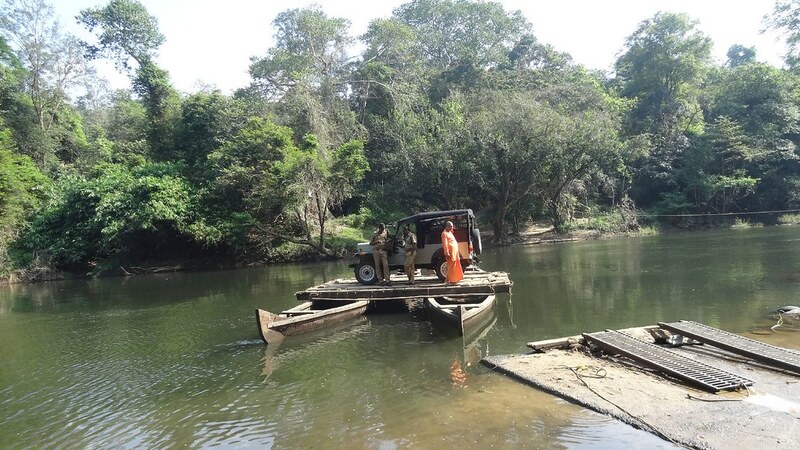 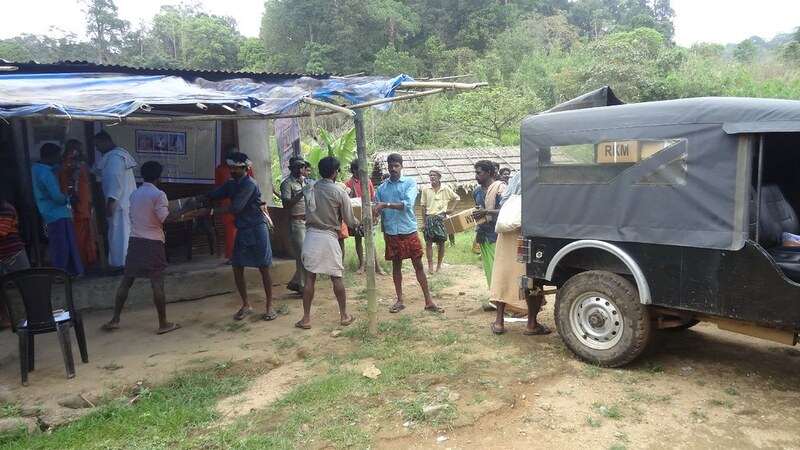 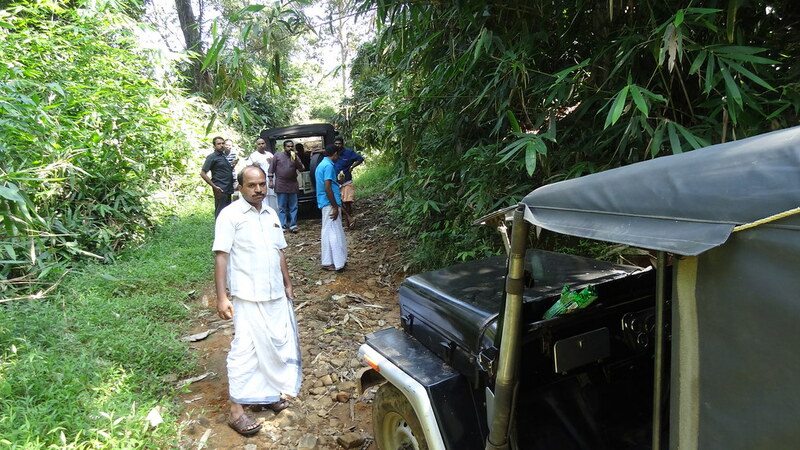 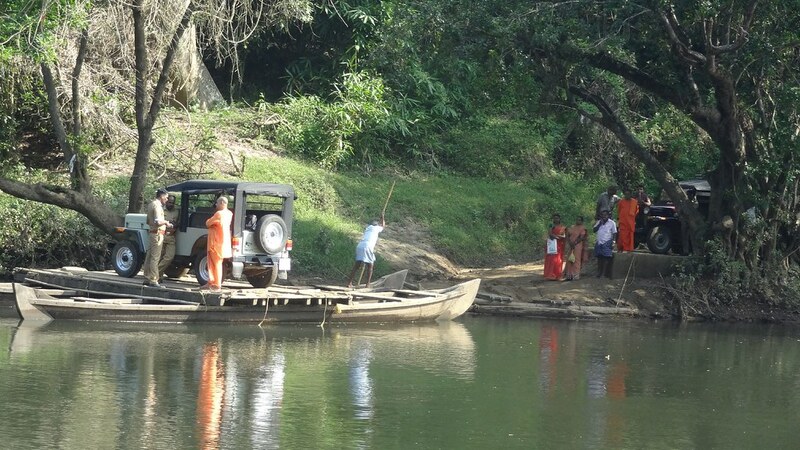 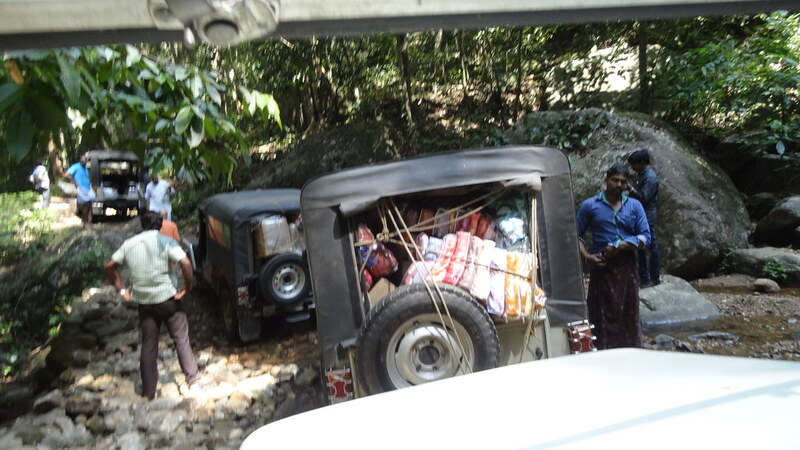 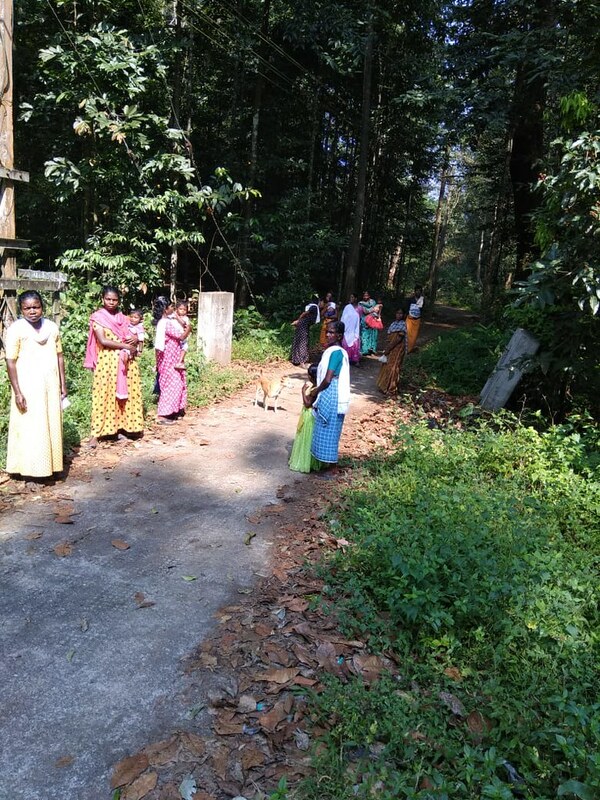 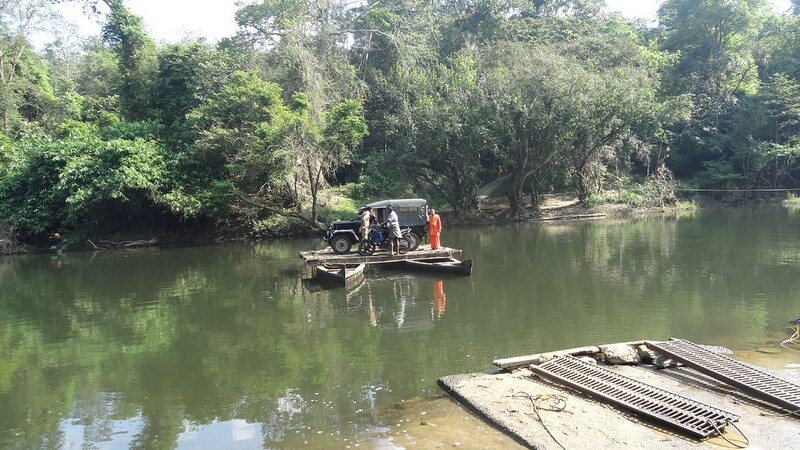 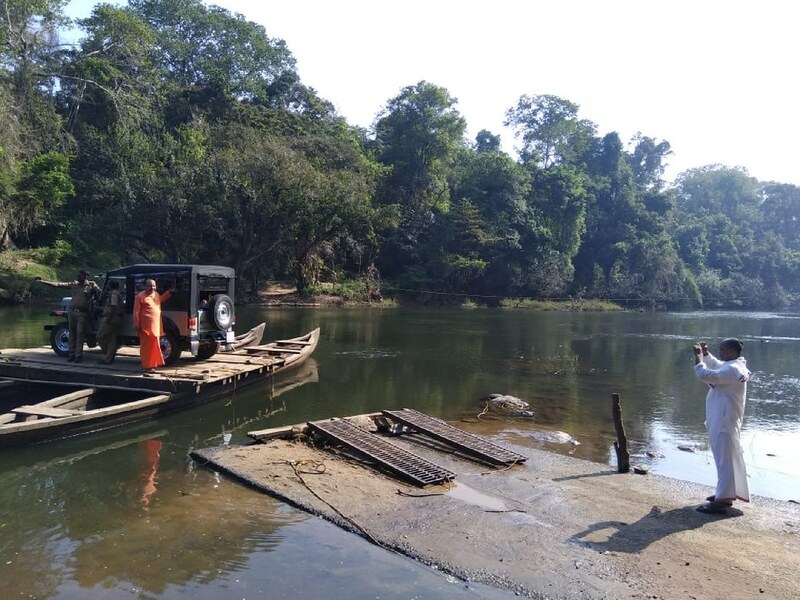 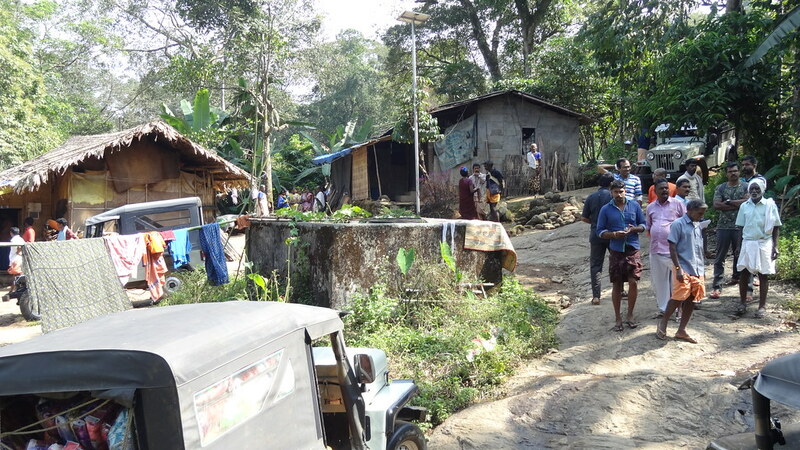 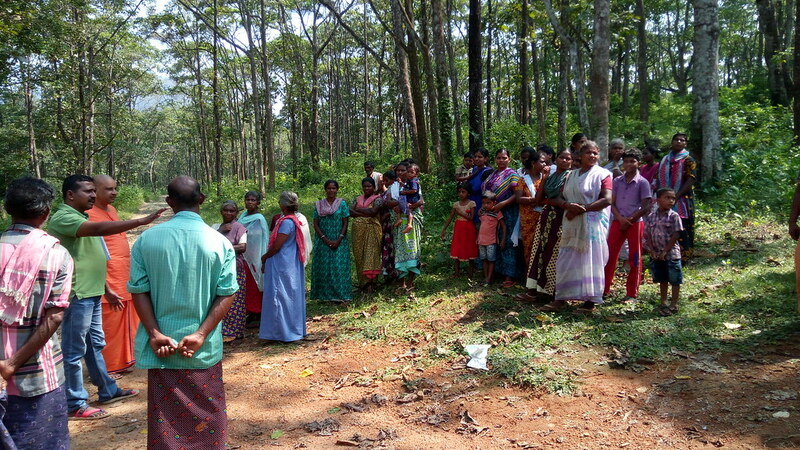 Forest officials escorted them to the Tribal Pockets. 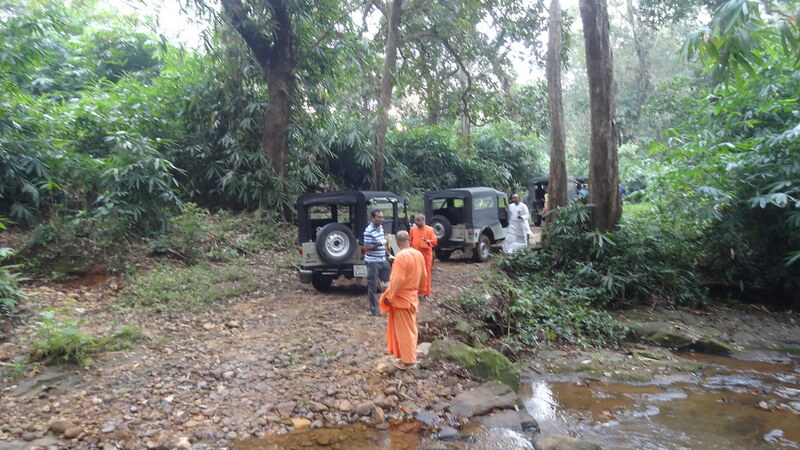 Usually the general public is not allowed to trespass these forest areas. 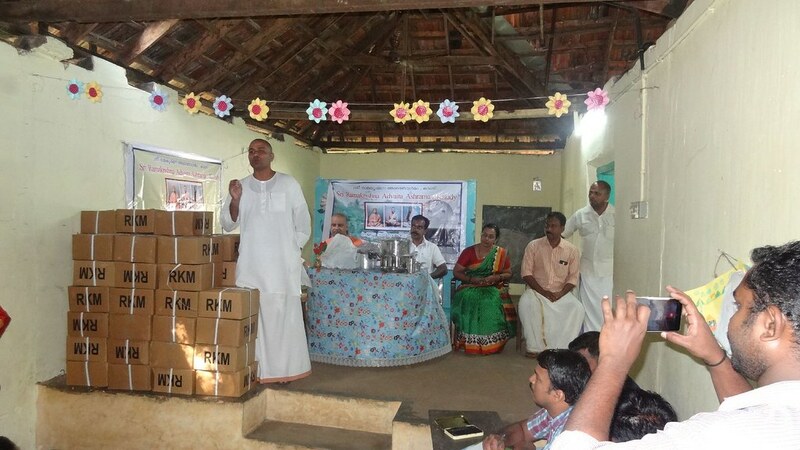 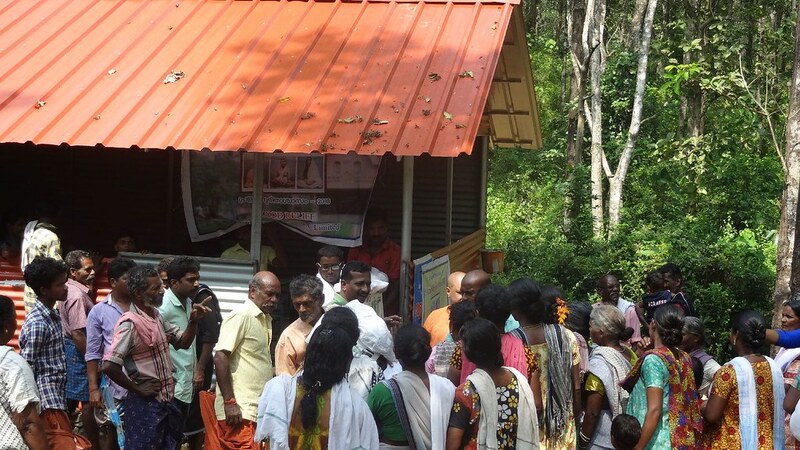 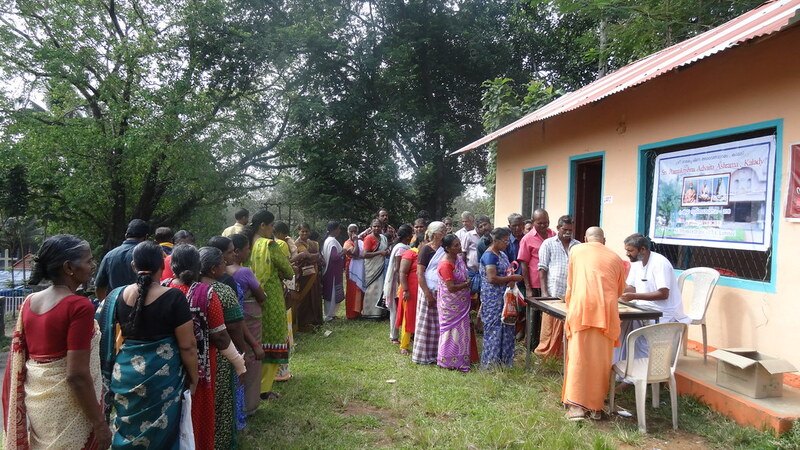 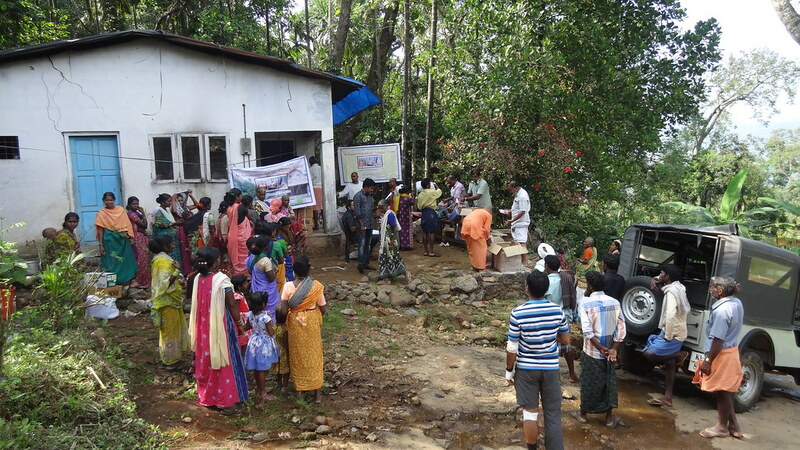 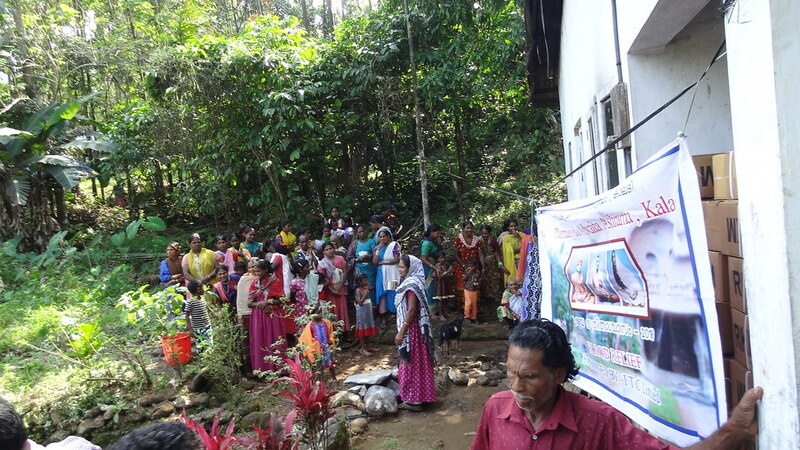 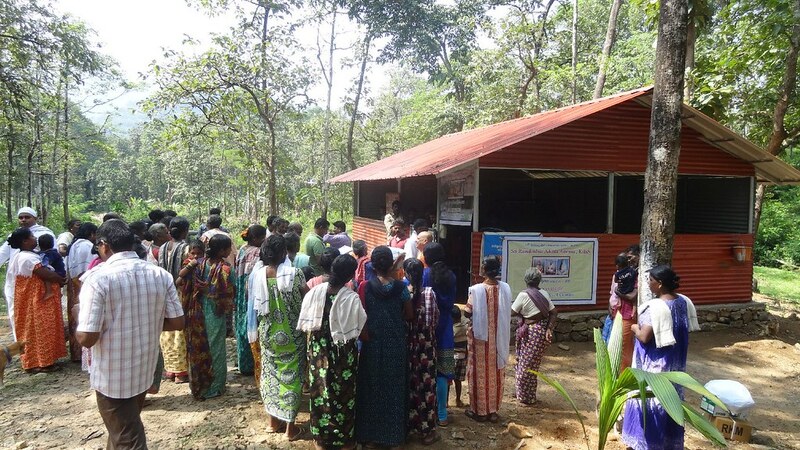 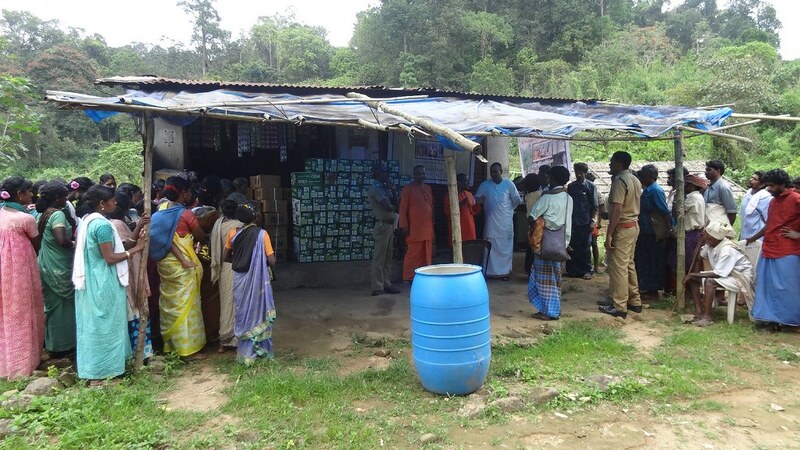 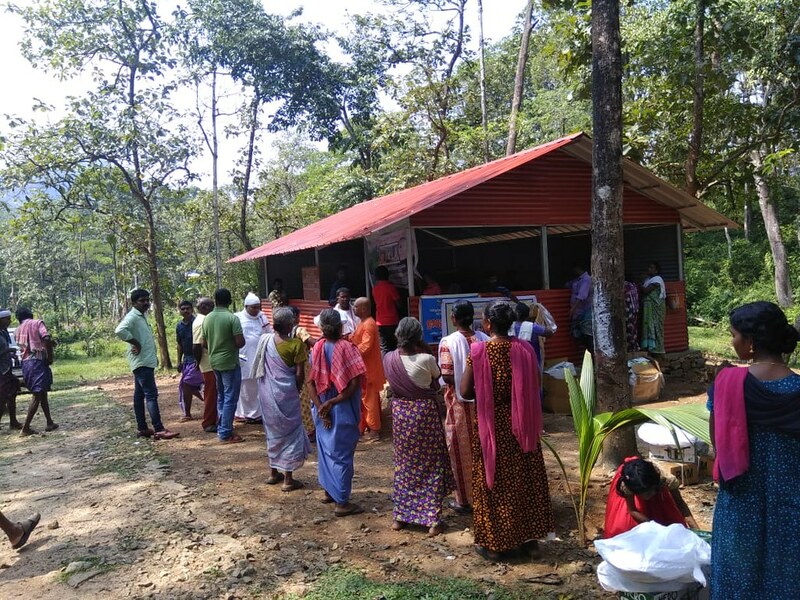 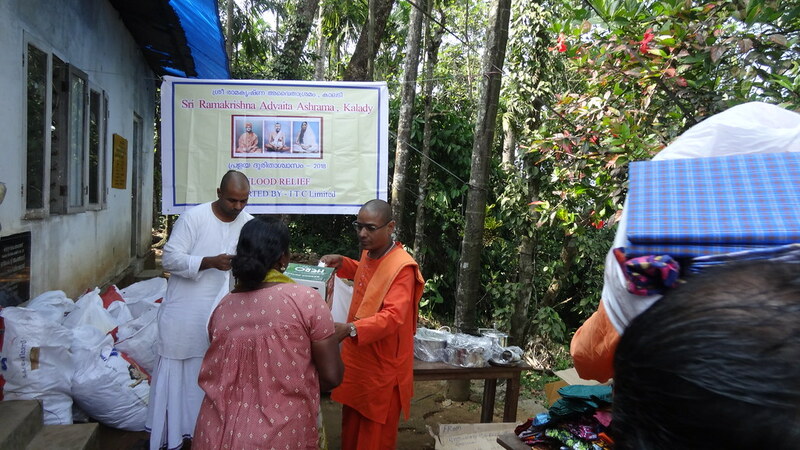 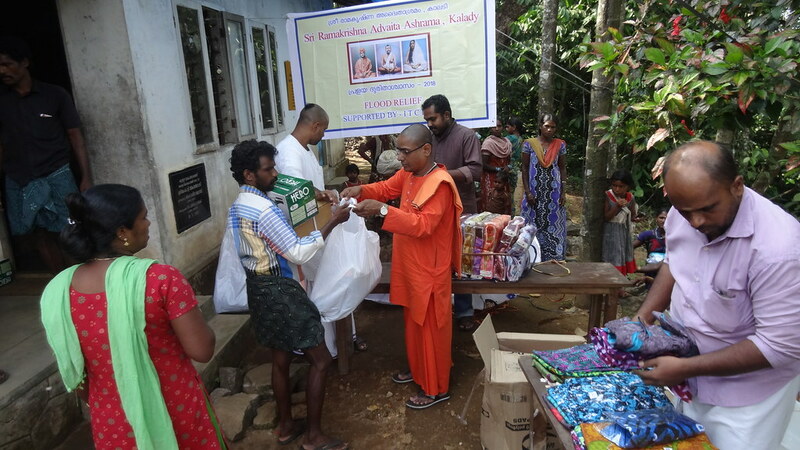 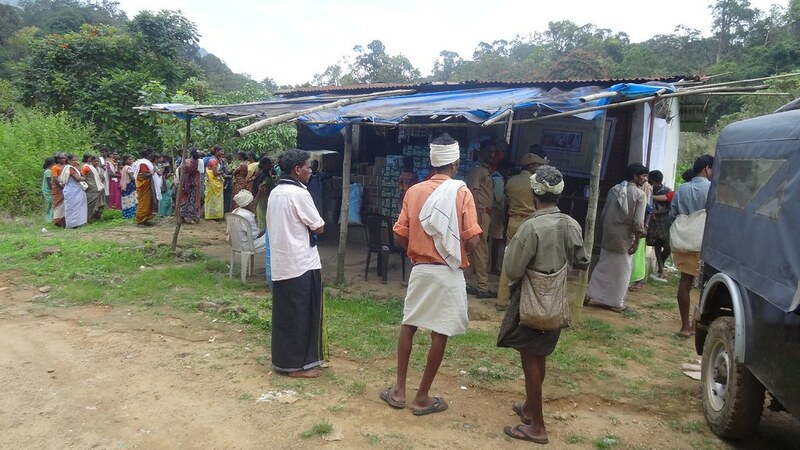 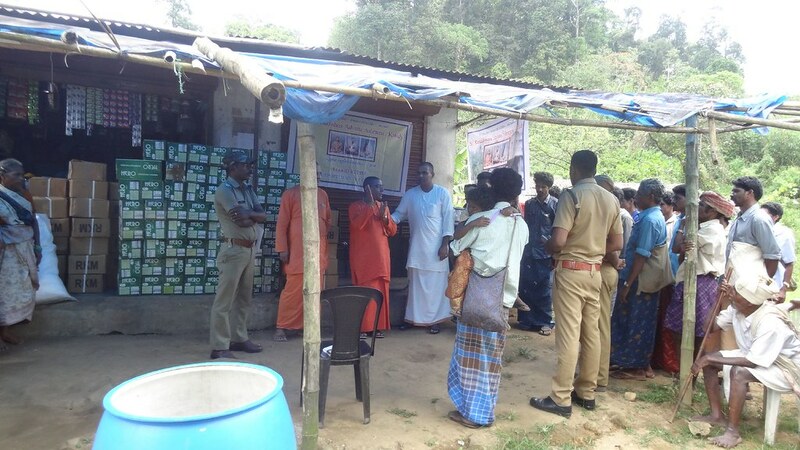 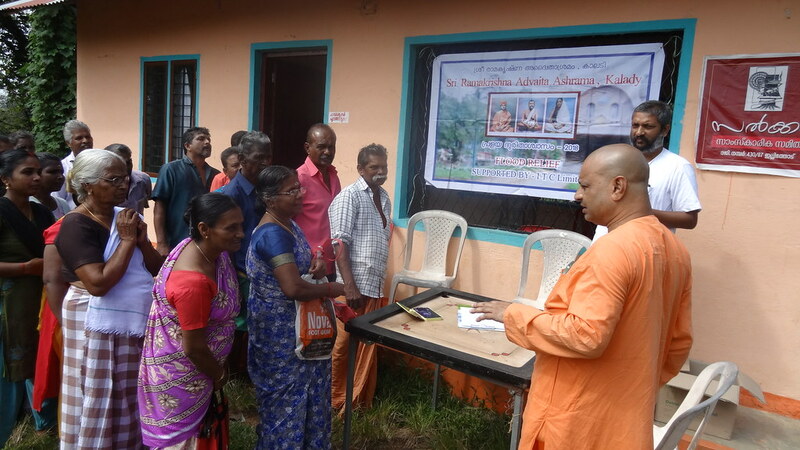 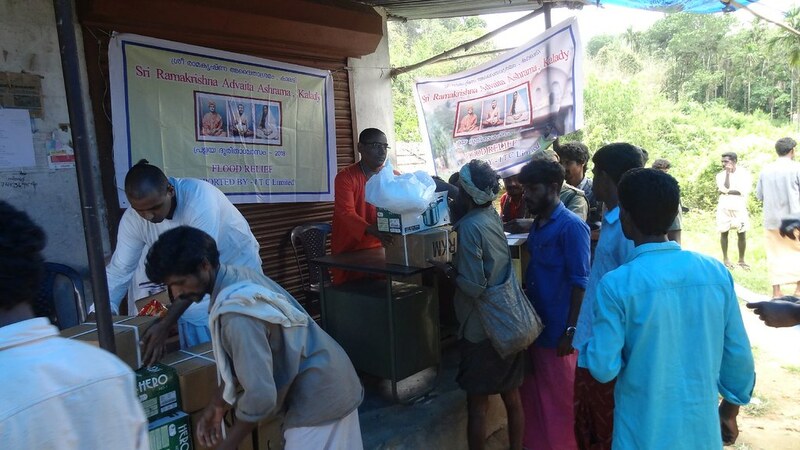 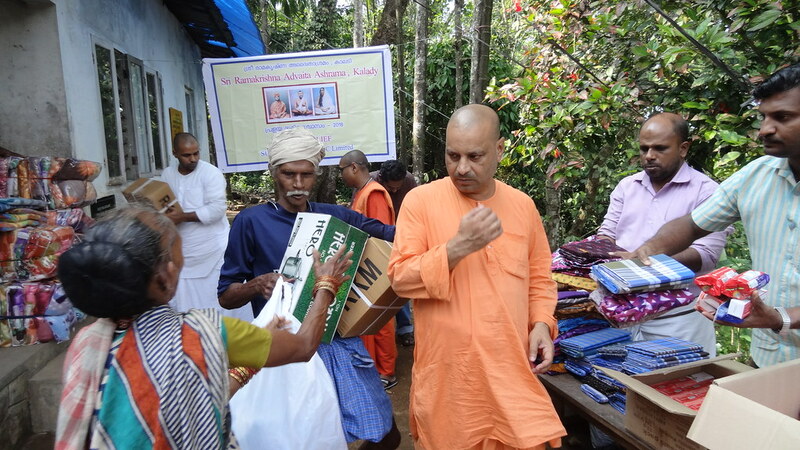 The Ashram distributed Utensils and ITC garments to 247 families in 3 villages.